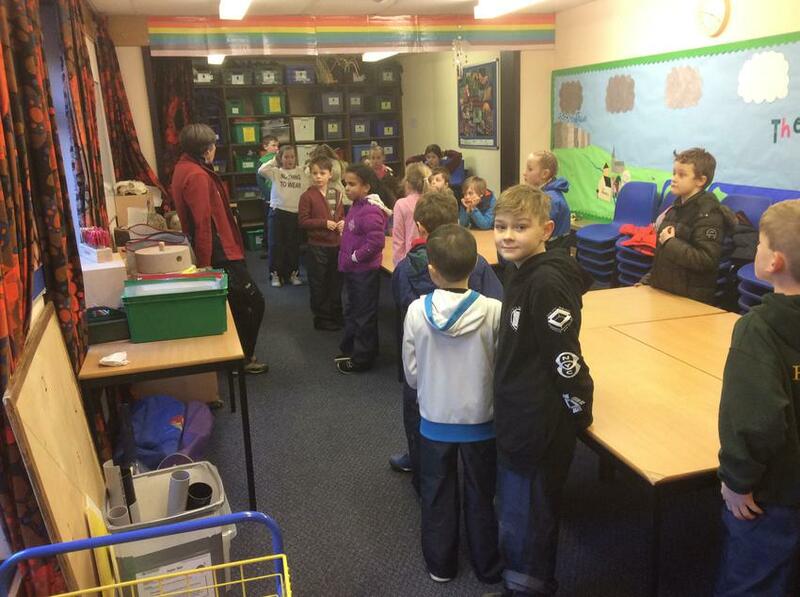 Welcome back to school for a busy Spring Term of learning. 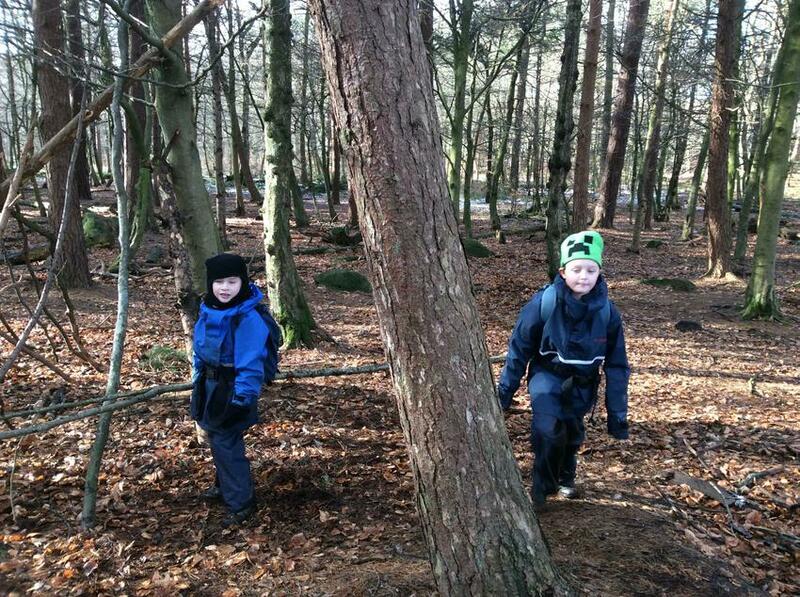 It has been great to get outside over the past couple of weeks. 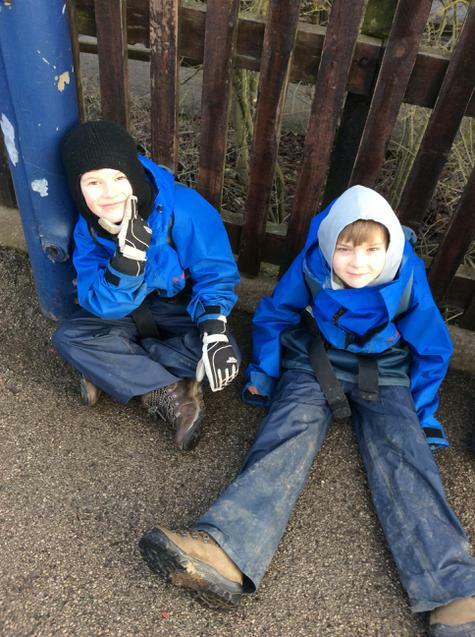 The children have been really enjoying the athletics on a Tuesday afternoon with Mrs Burdell and Hockey on a Friday. 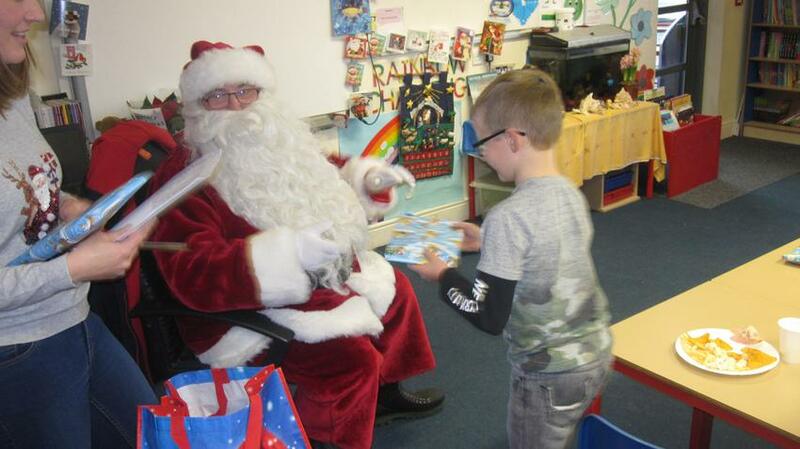 The new Hockey equipment supplied by the PFA class budget has gone down really well. 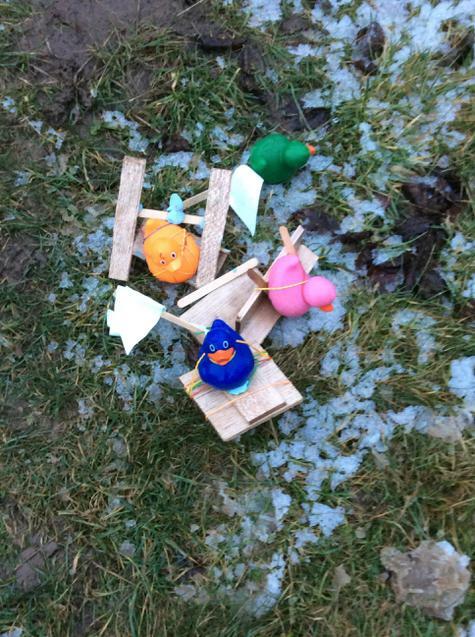 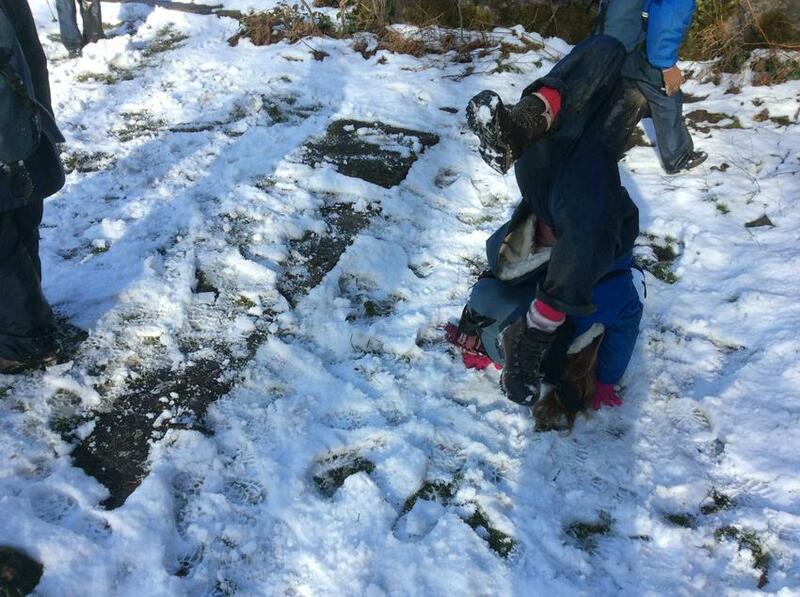 Not surprisingly the children have been extremely competitive. 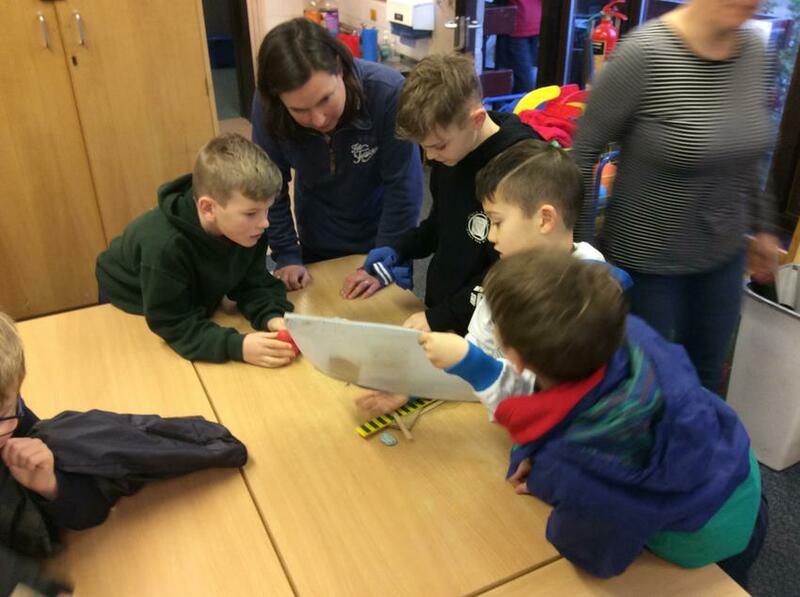 New skills and techniques have been picked up really quickly. 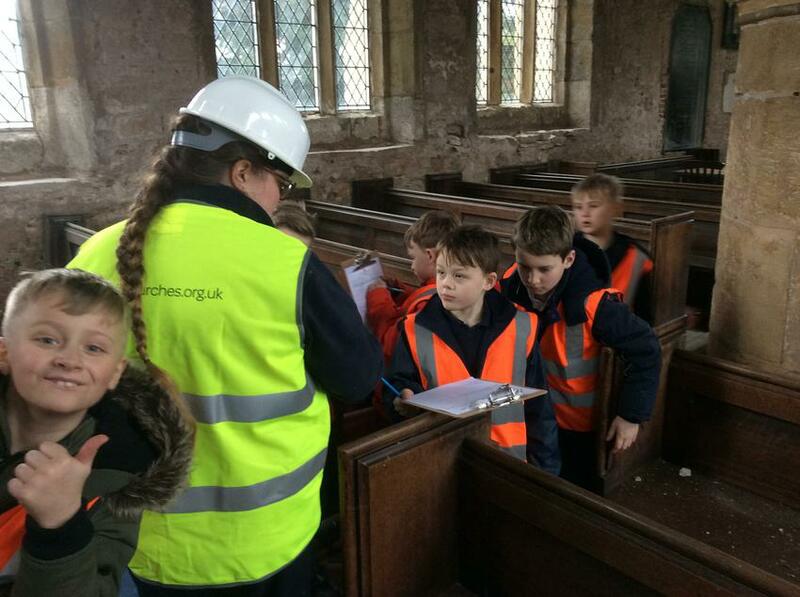 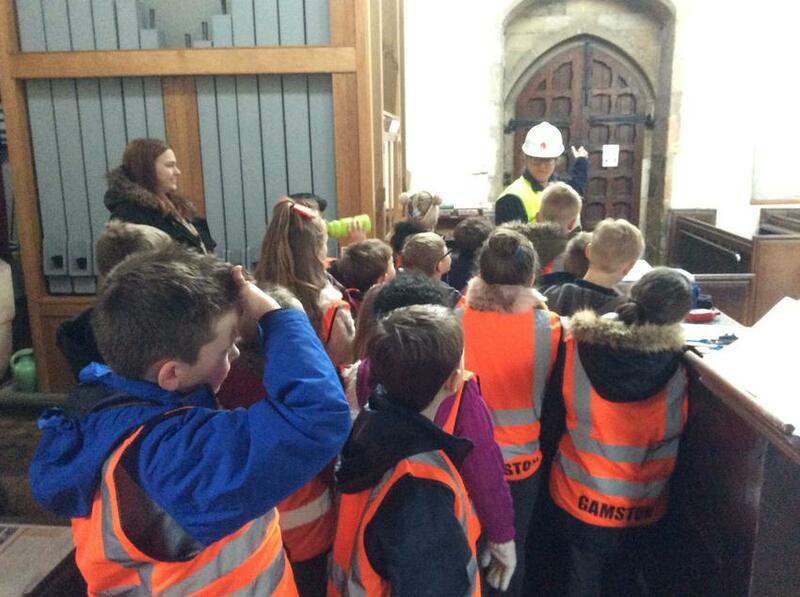 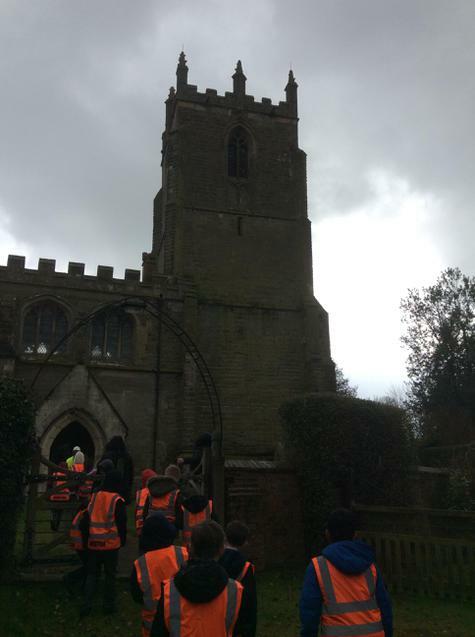 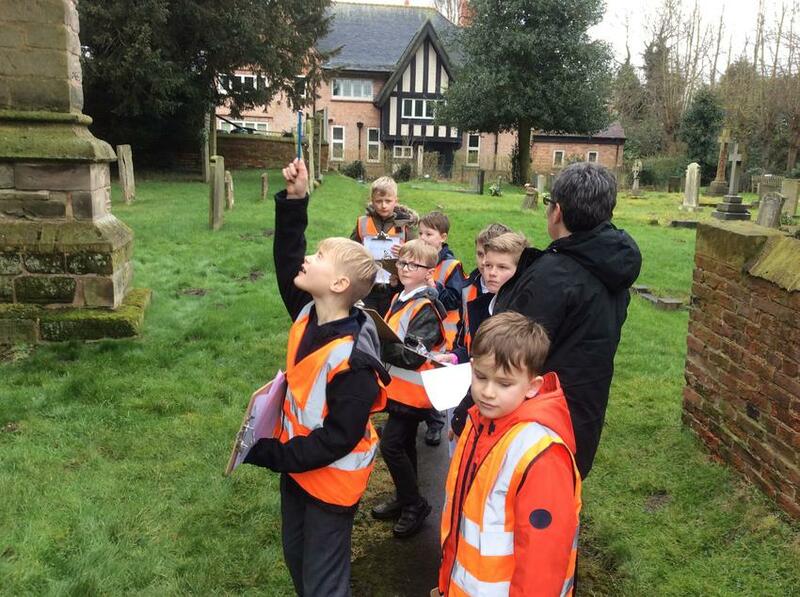 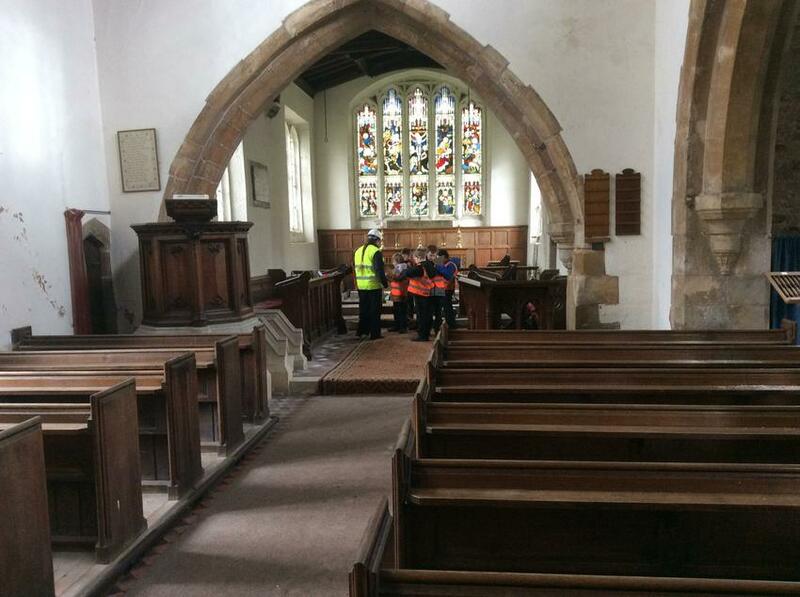 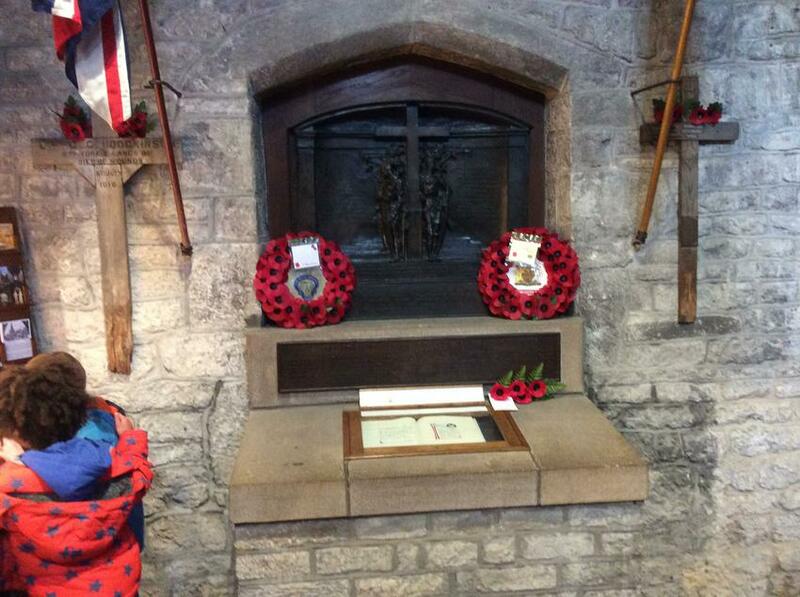 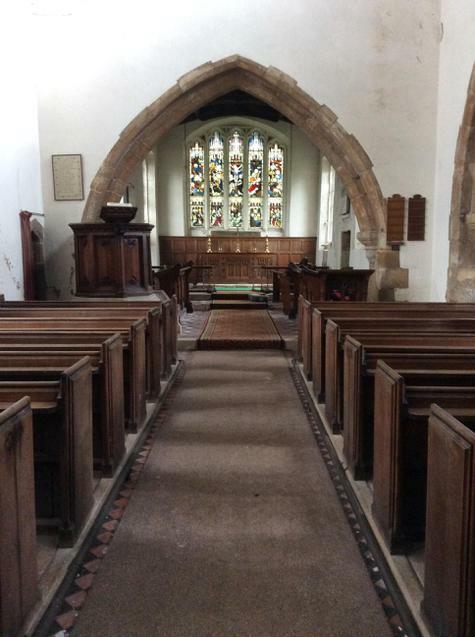 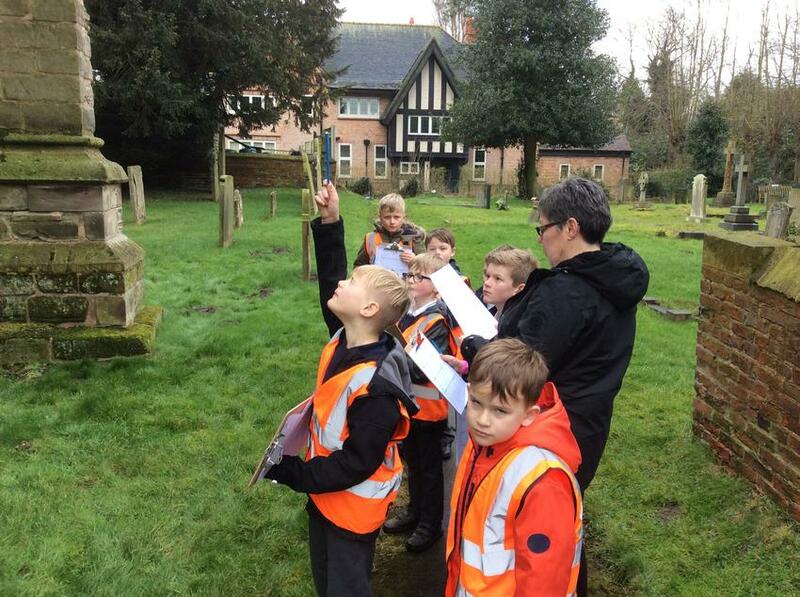 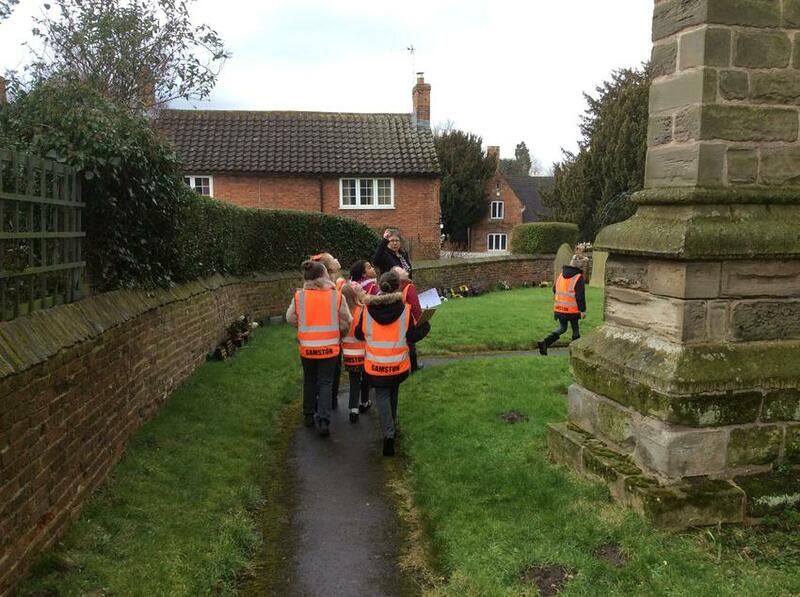 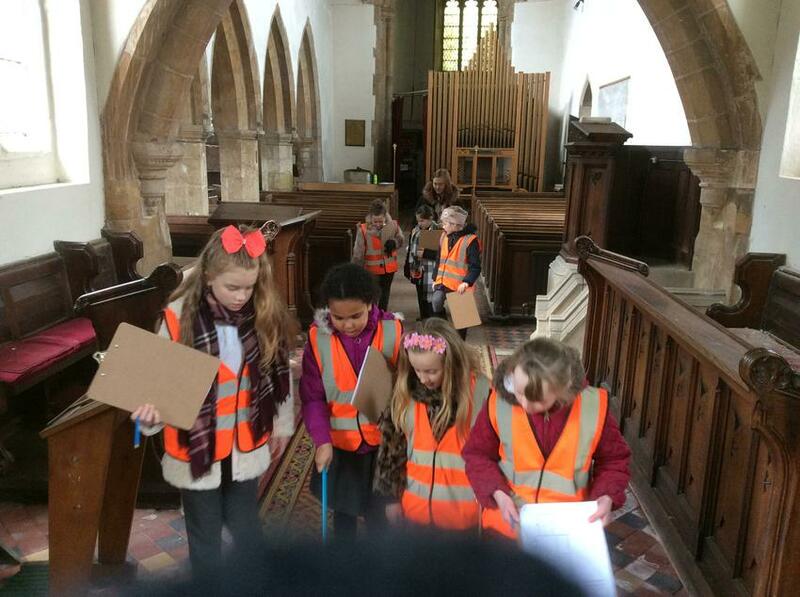 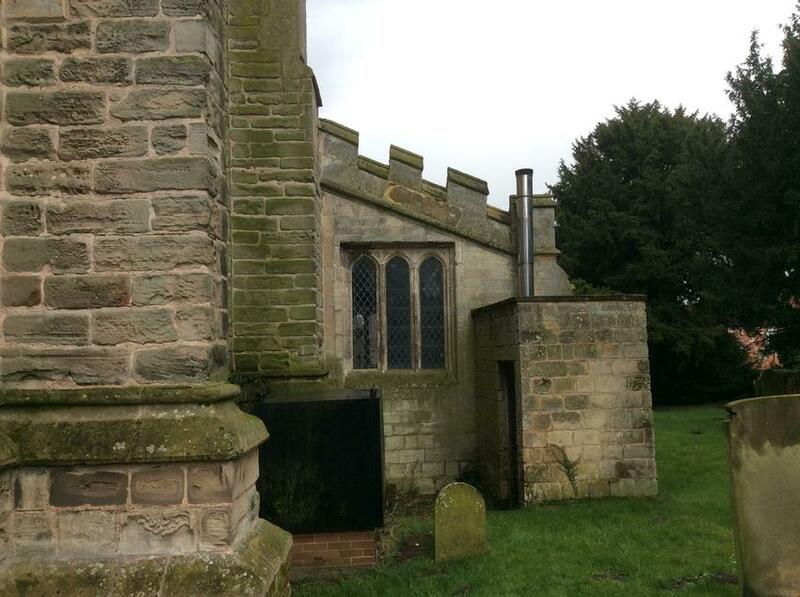 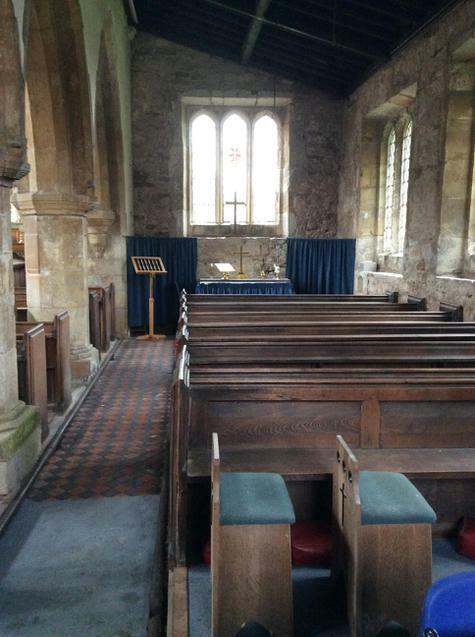 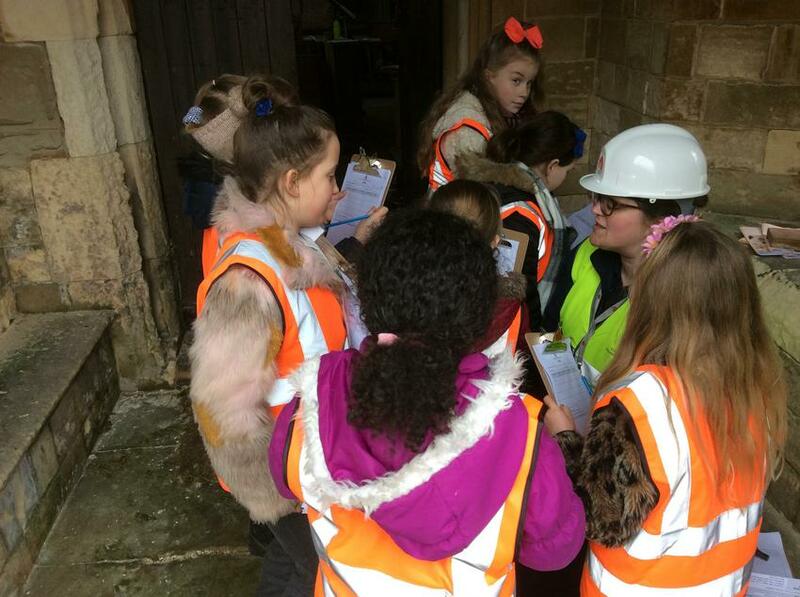 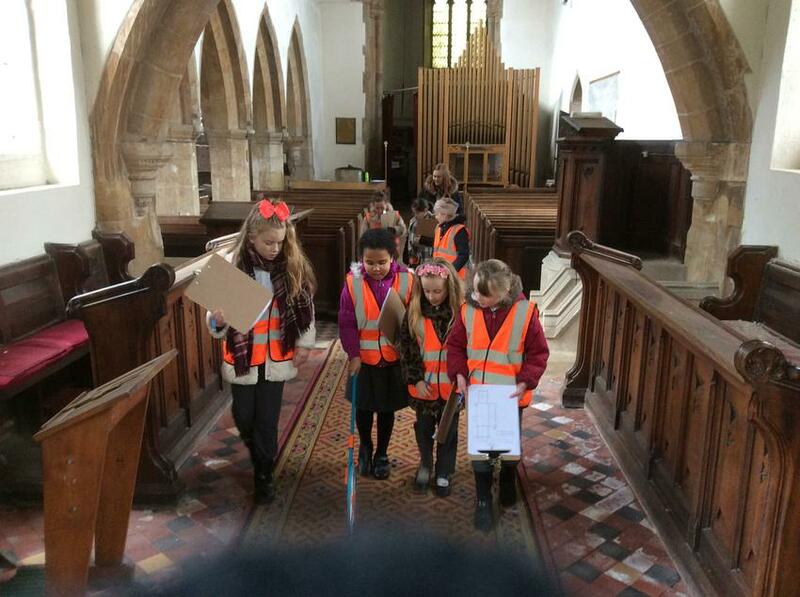 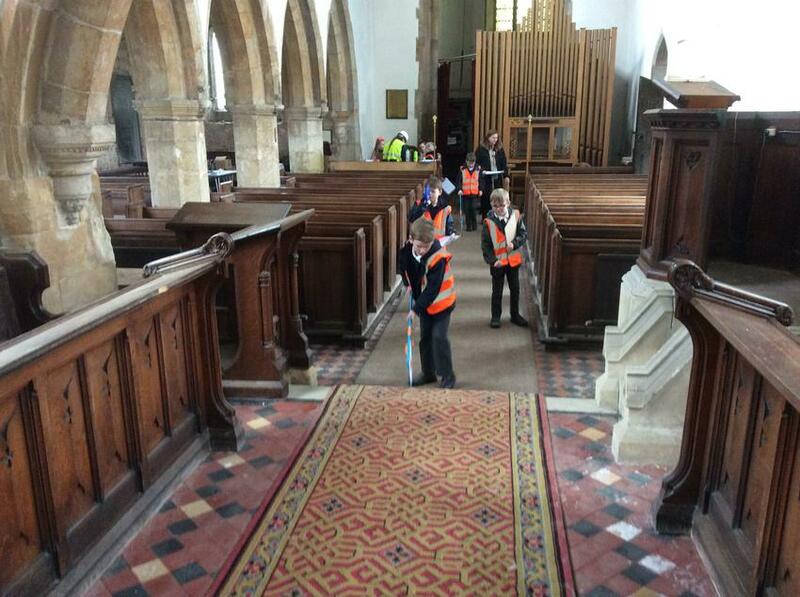 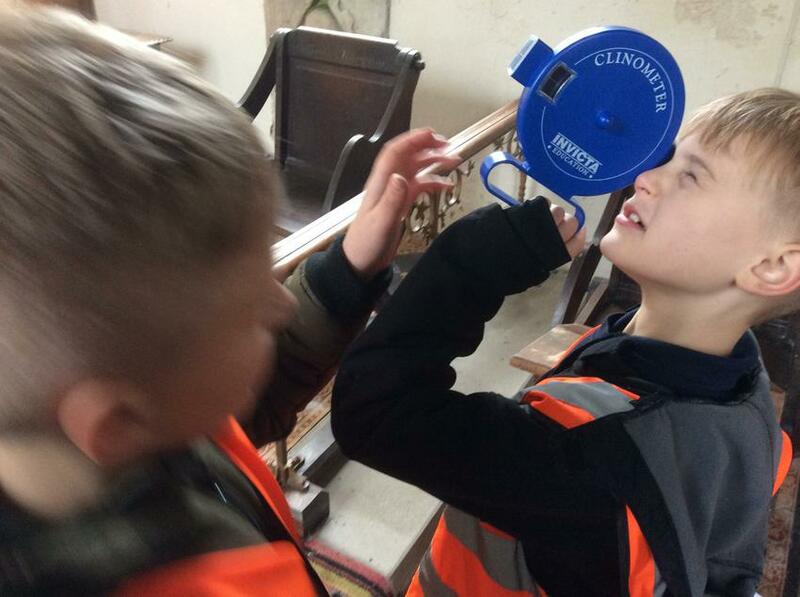 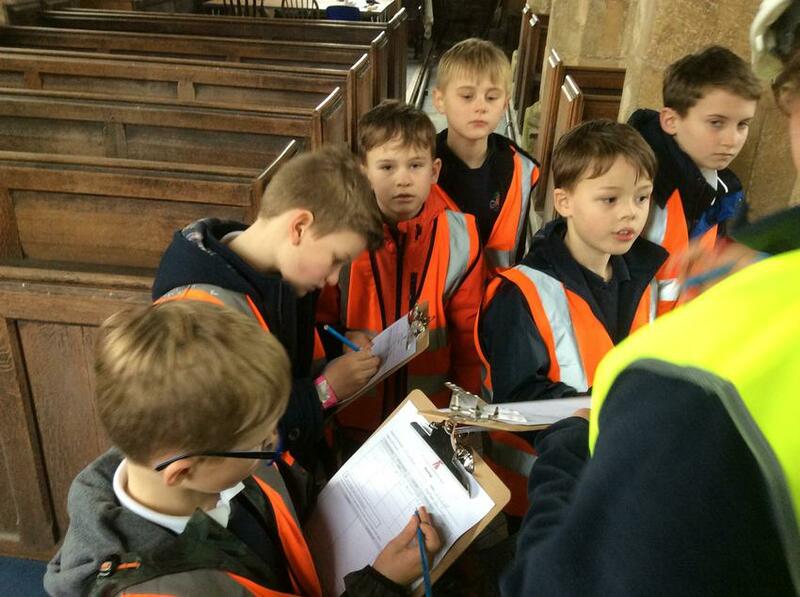 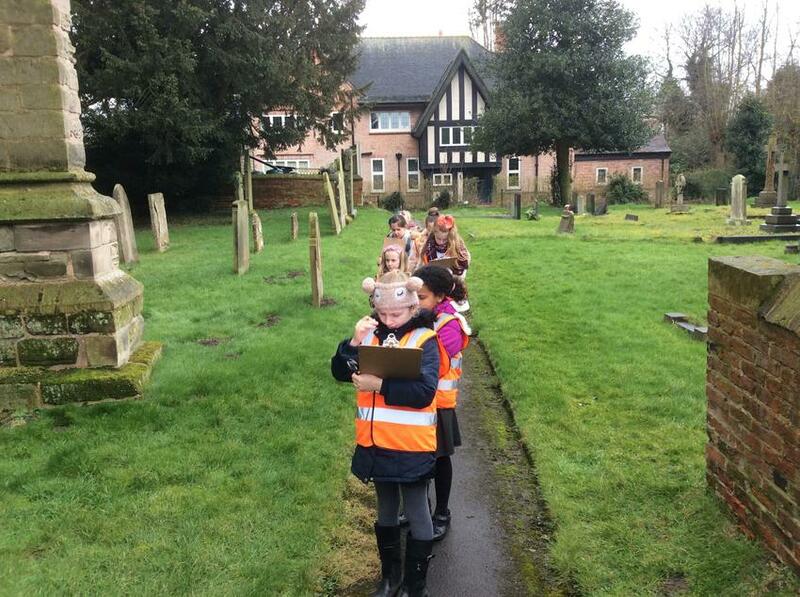 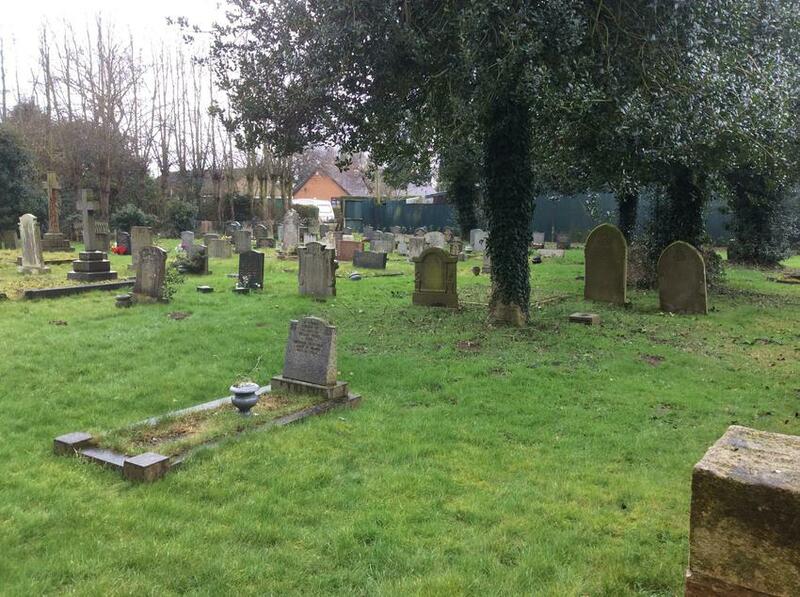 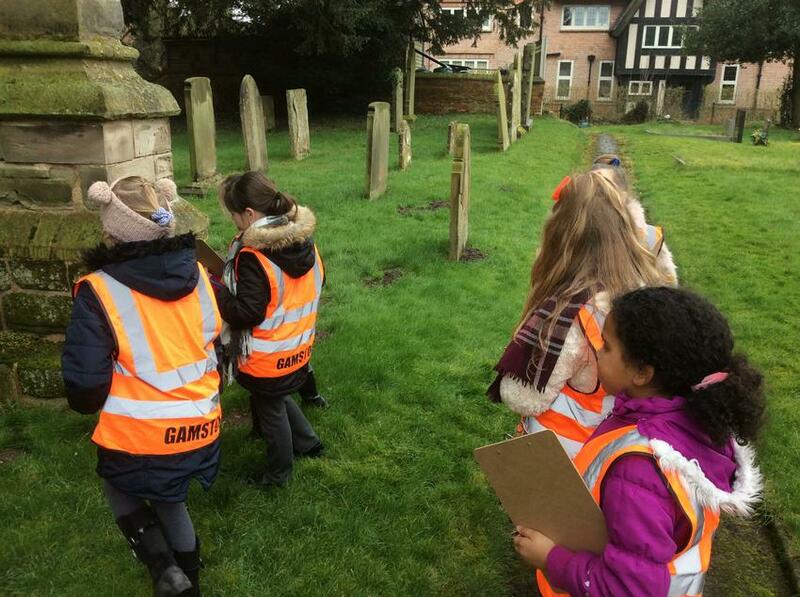 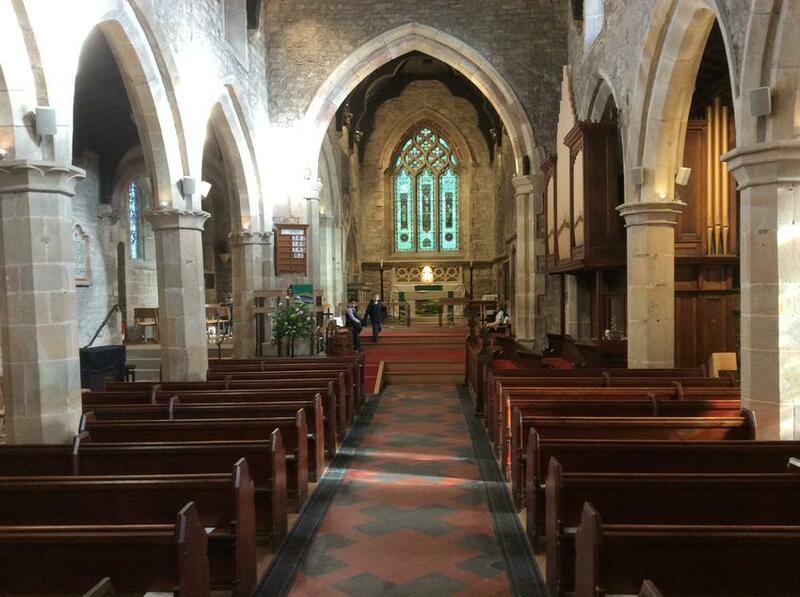 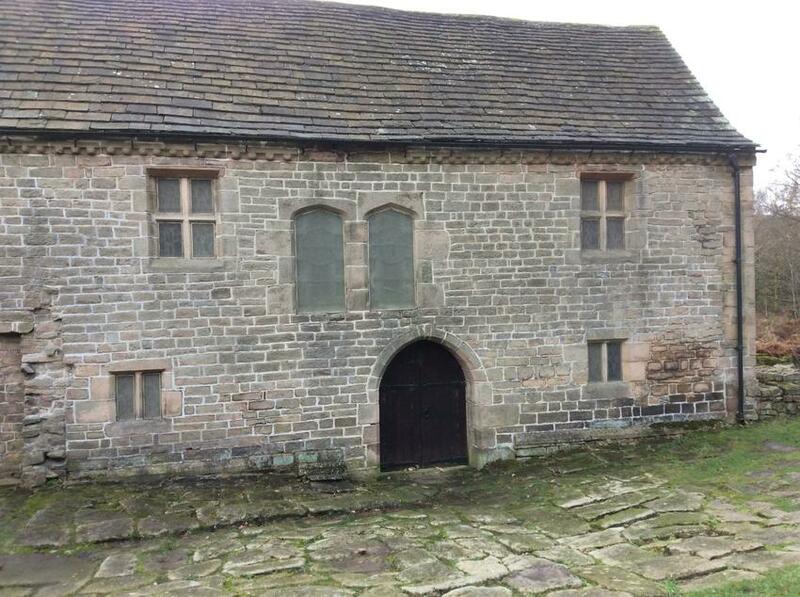 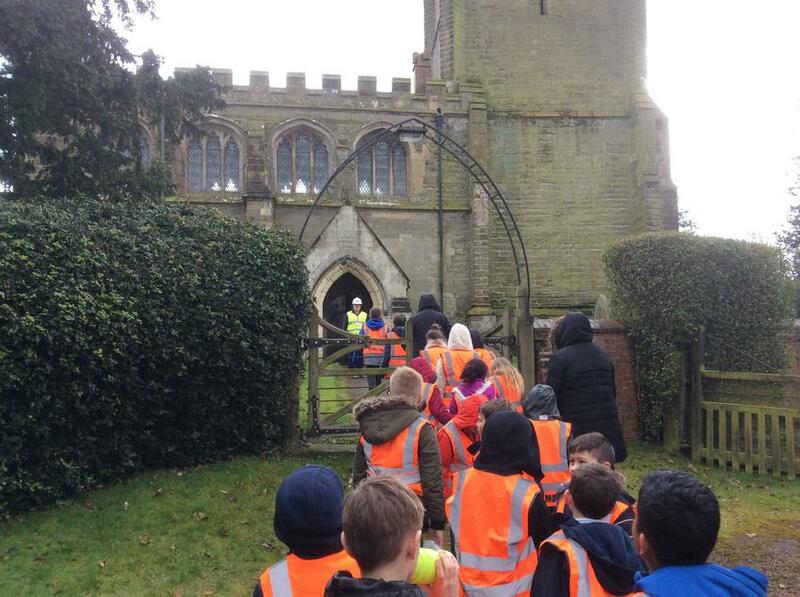 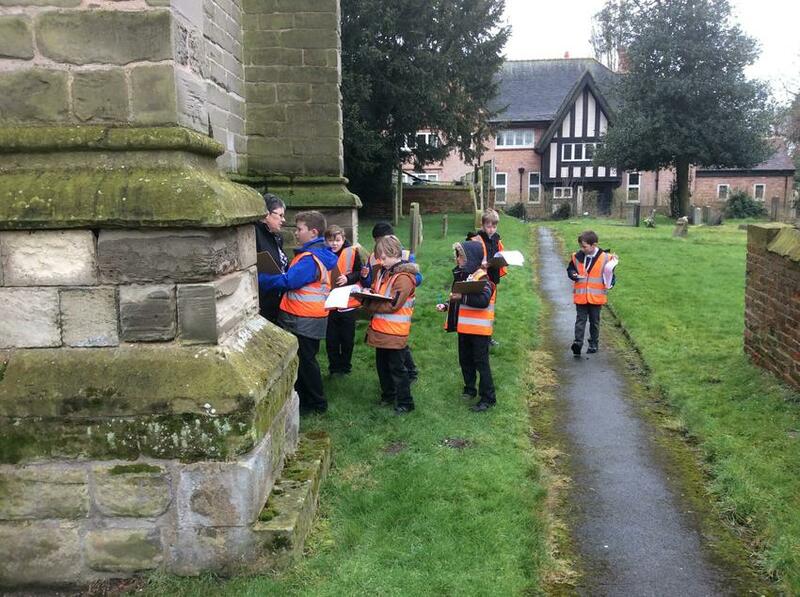 As part of the regeneration of the church by the CCT, Tyndale class undertook work inside the church. 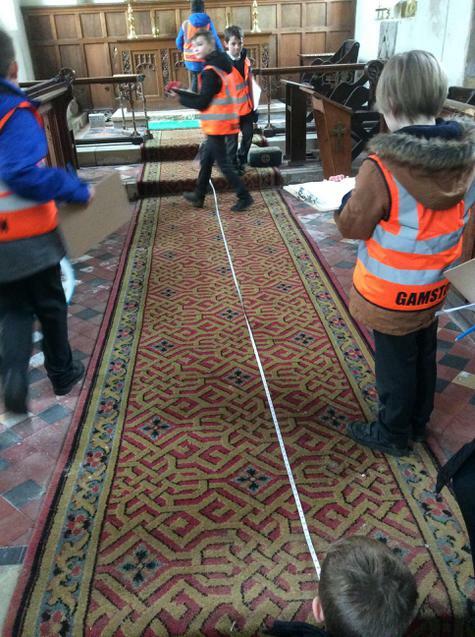 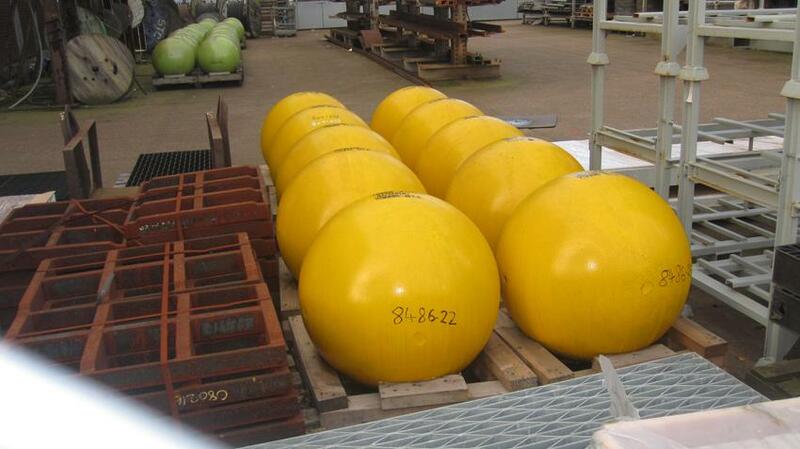 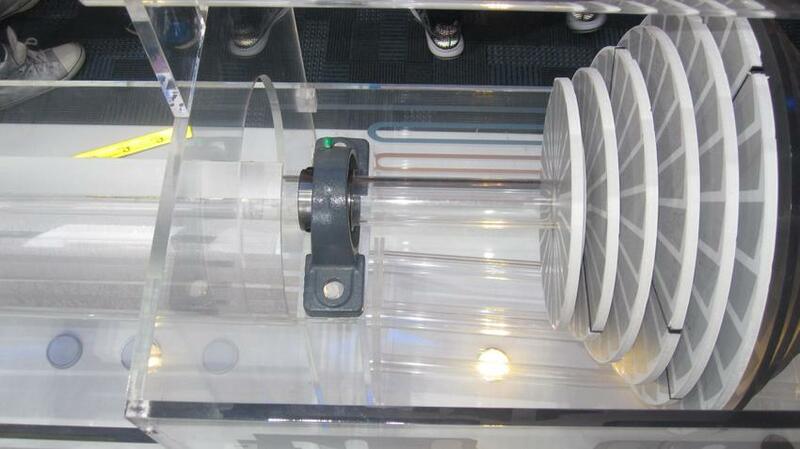 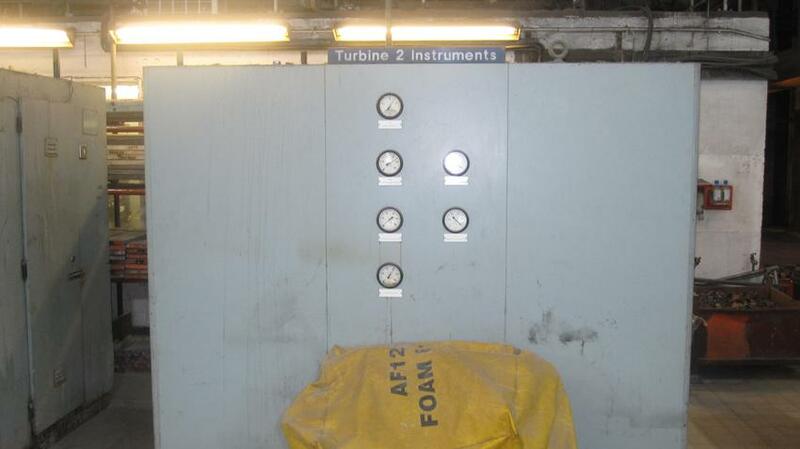 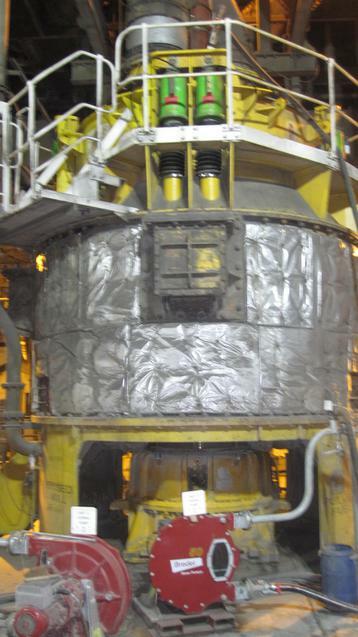 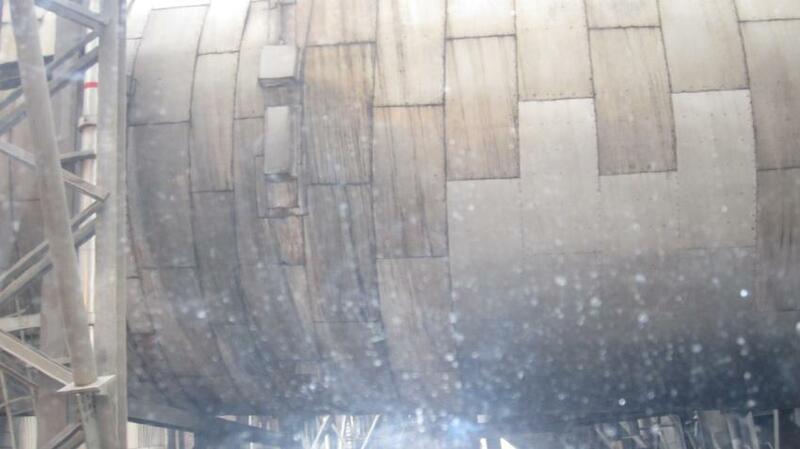 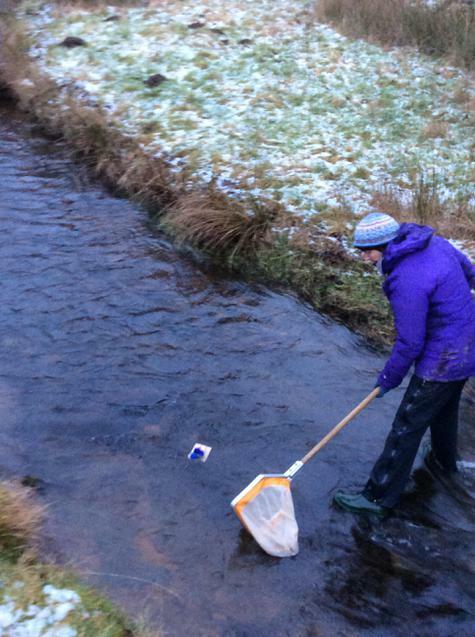 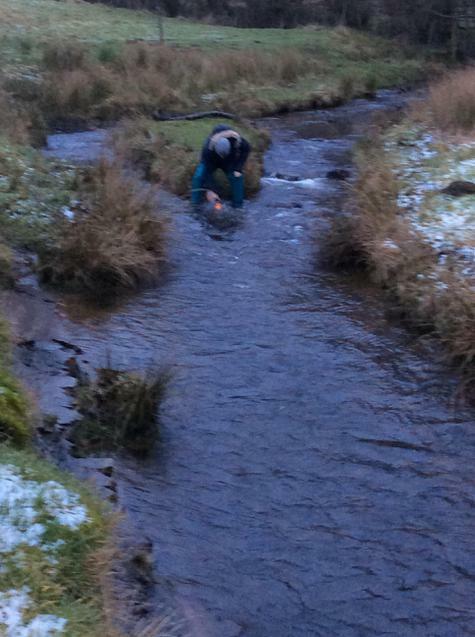 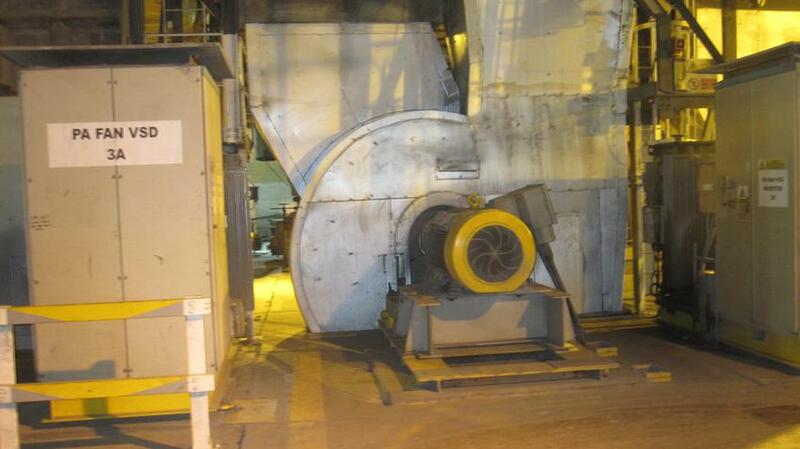 Measurements were taken using trundle wheels and tape measures. 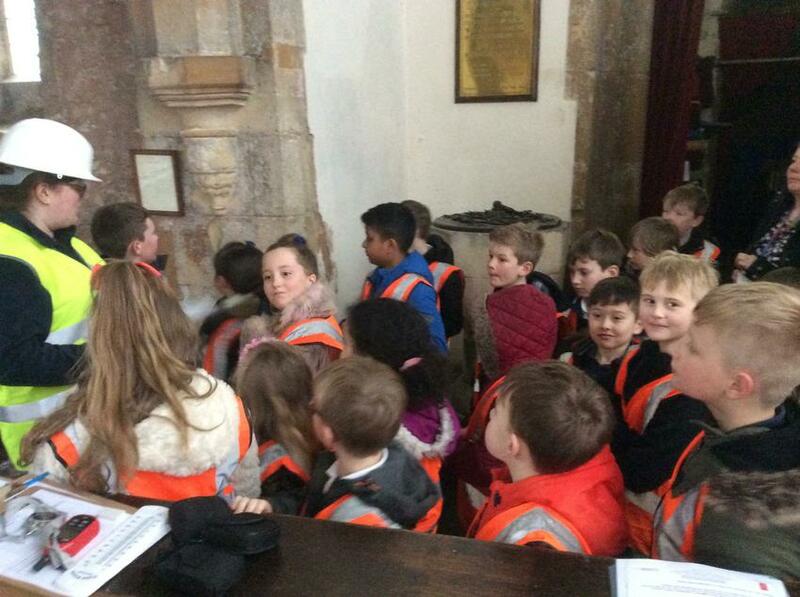 Temperatures were taken both inside and outside of the church. 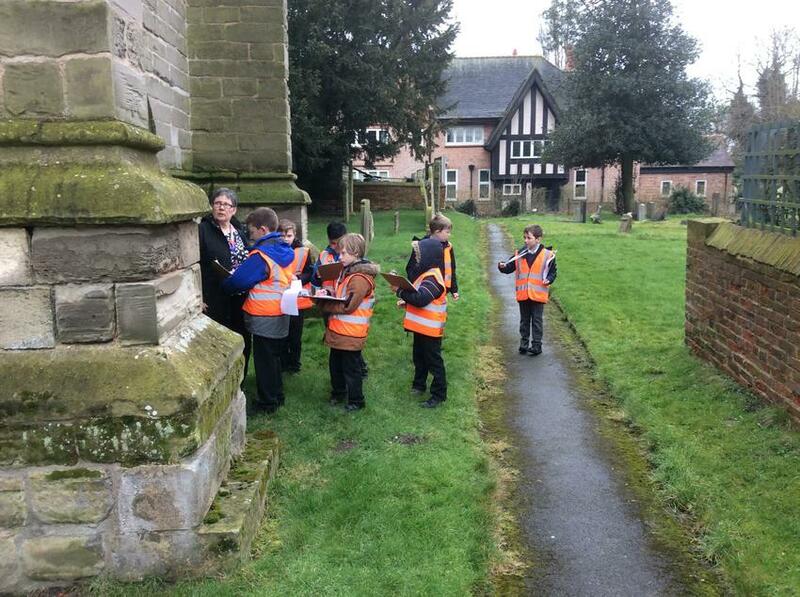 Finally the children focused on different monuments to see how much they had eroded. 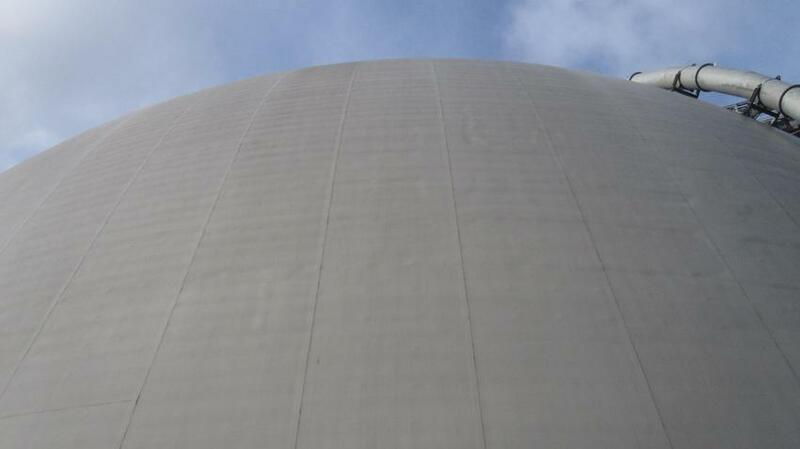 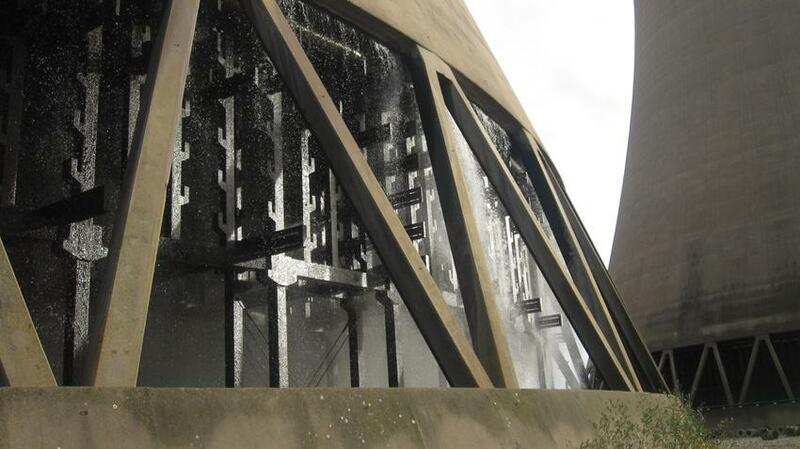 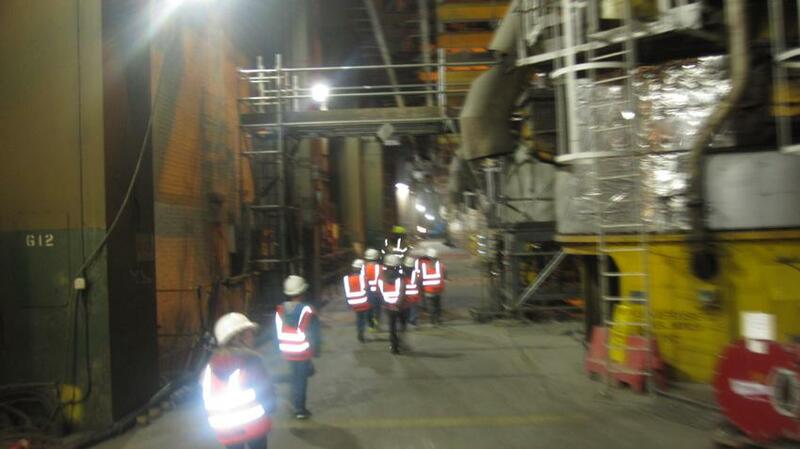 Hopefully we will return soon to see how the work is progressing. 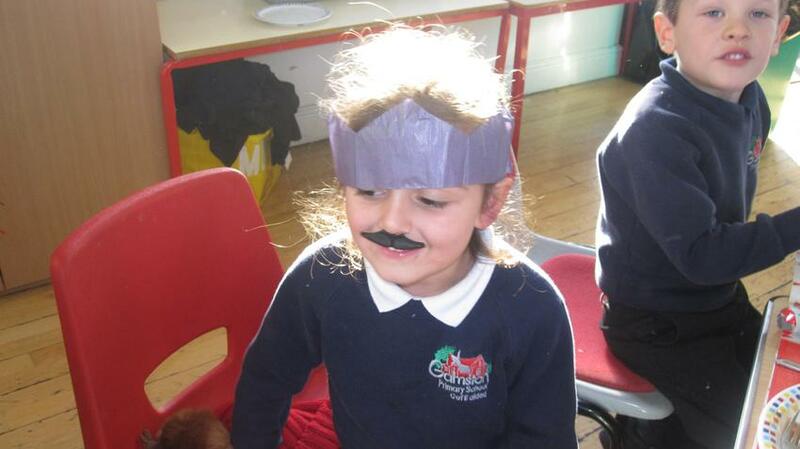 Firstly, I wanted to start by saying a big thank you to the PFA for organising what has been a fantastic day of drama for all the children. 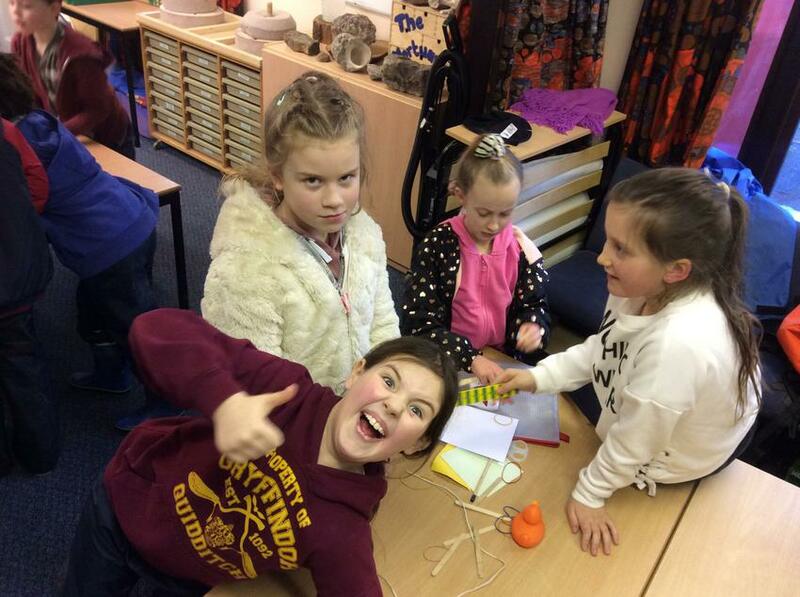 Tyndale class spent an hour with the girls working on characters from Roald Dahl and perfecting their own drama techniques. 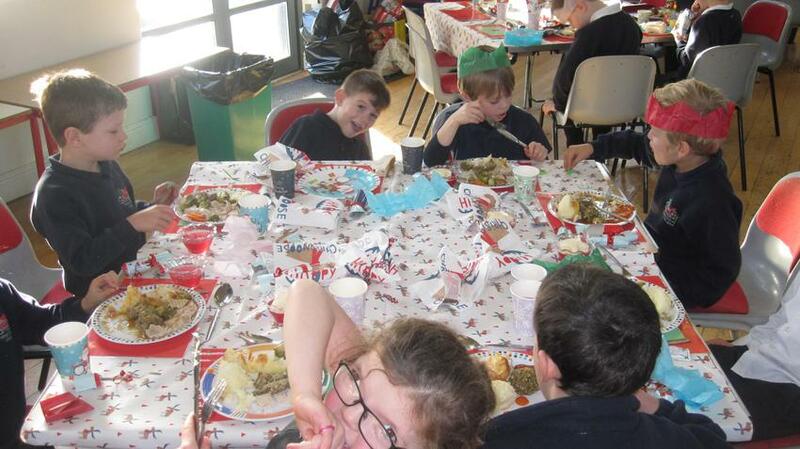 As you can see from the pictures some need more than others. 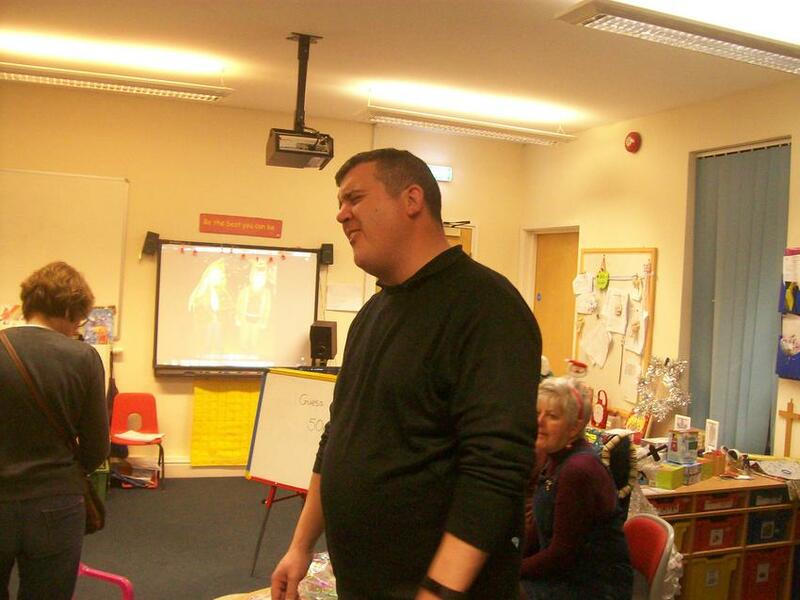 The afternoon was completed with a pantomime about different forms of bullying which carried a powerful message to the whole school. 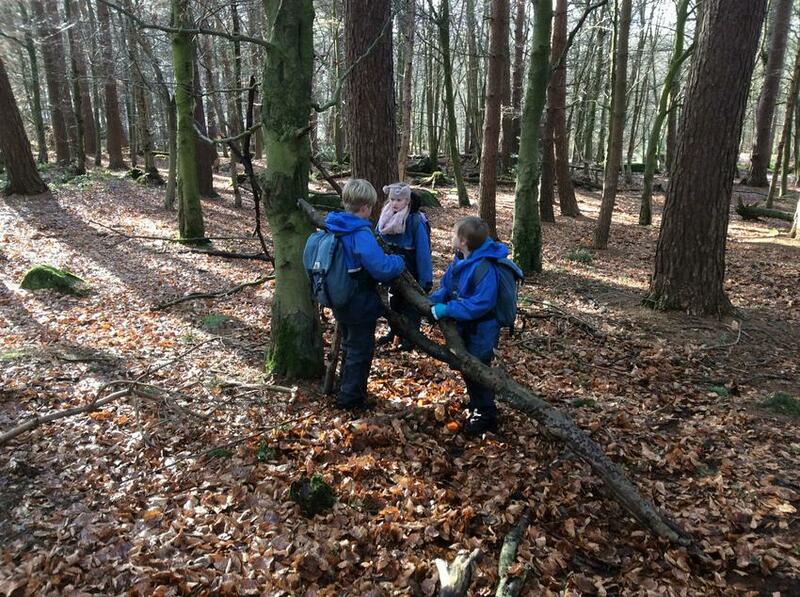 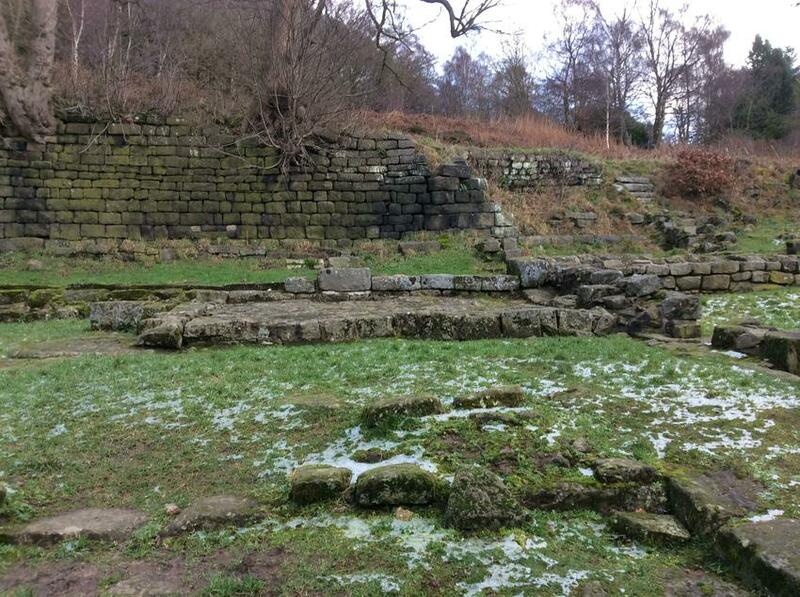 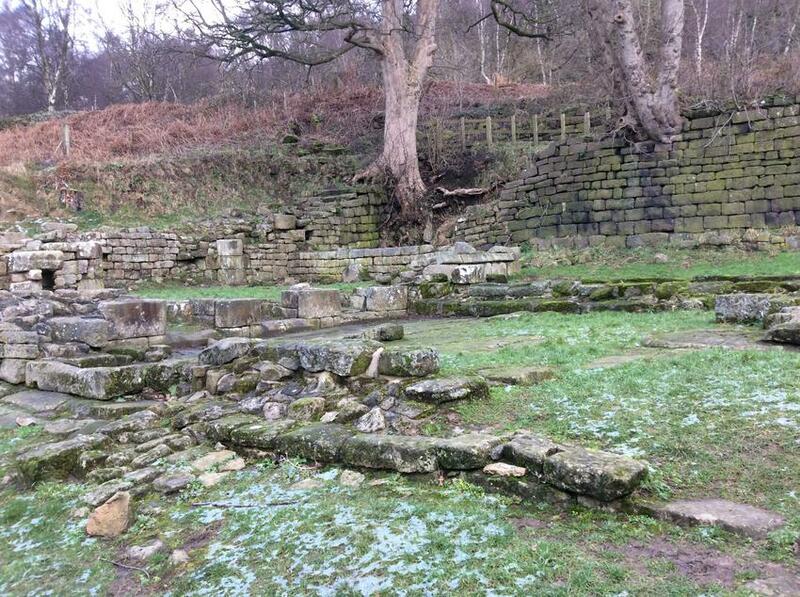 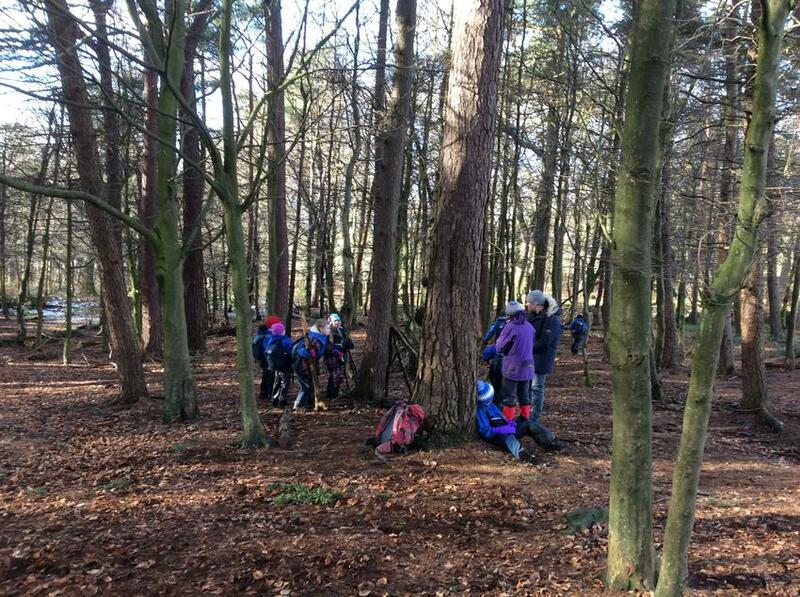 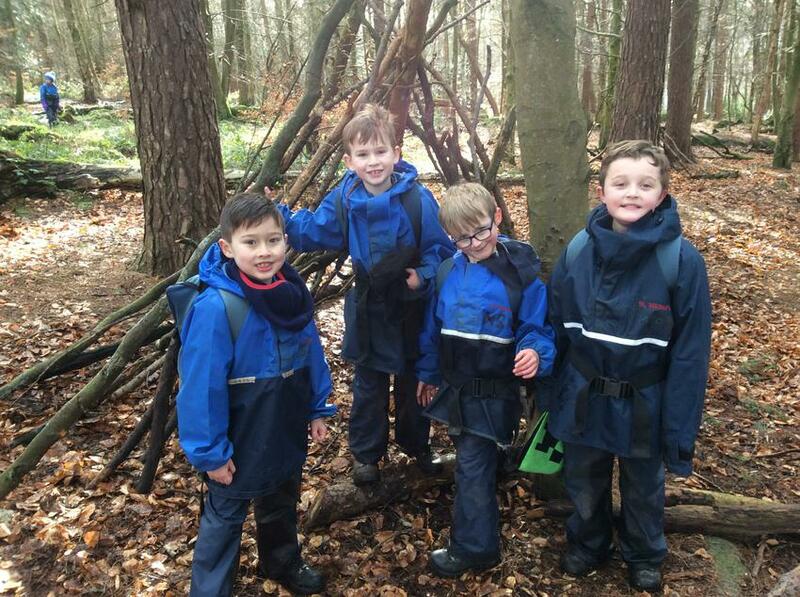 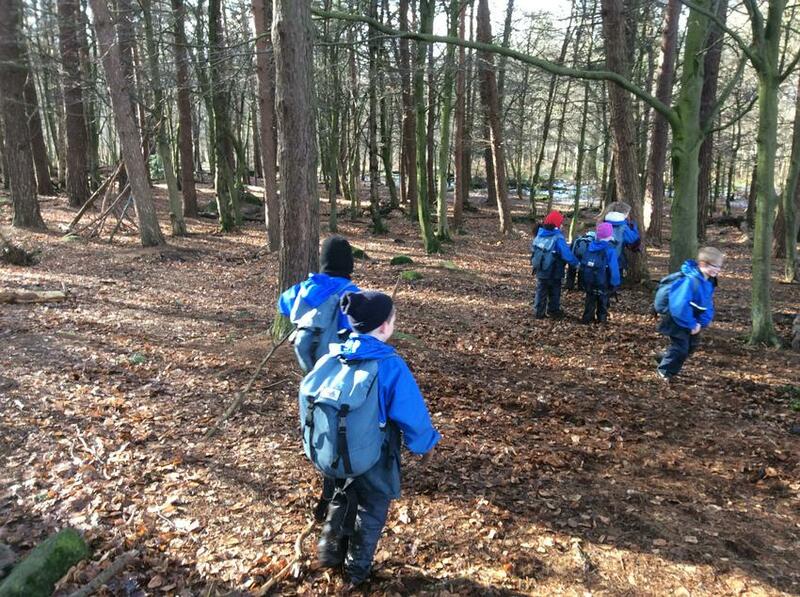 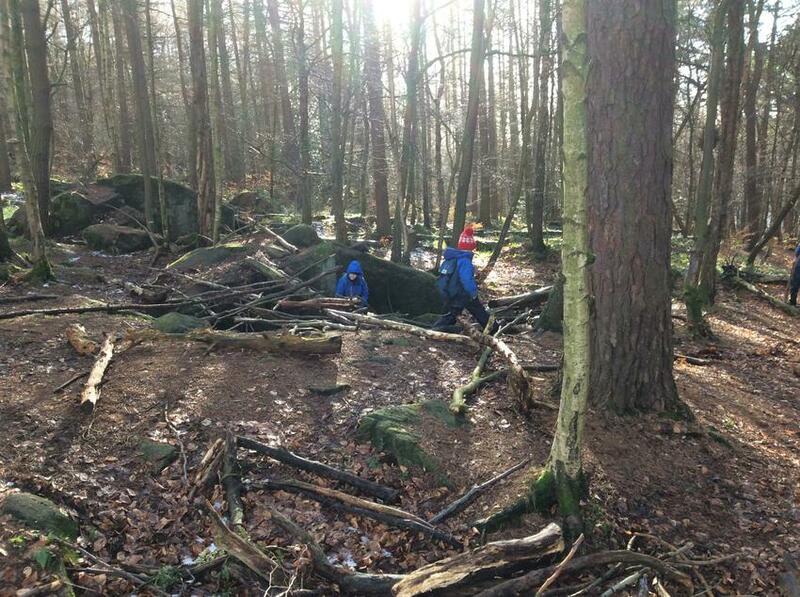 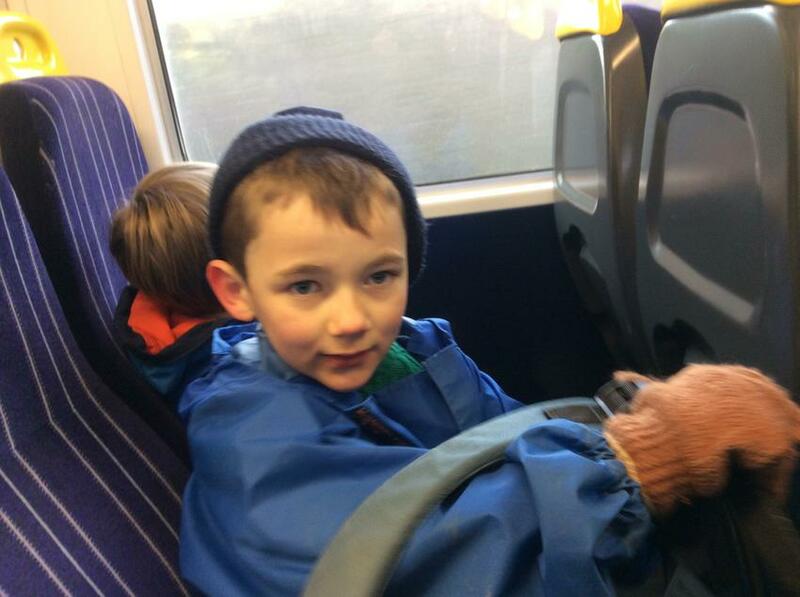 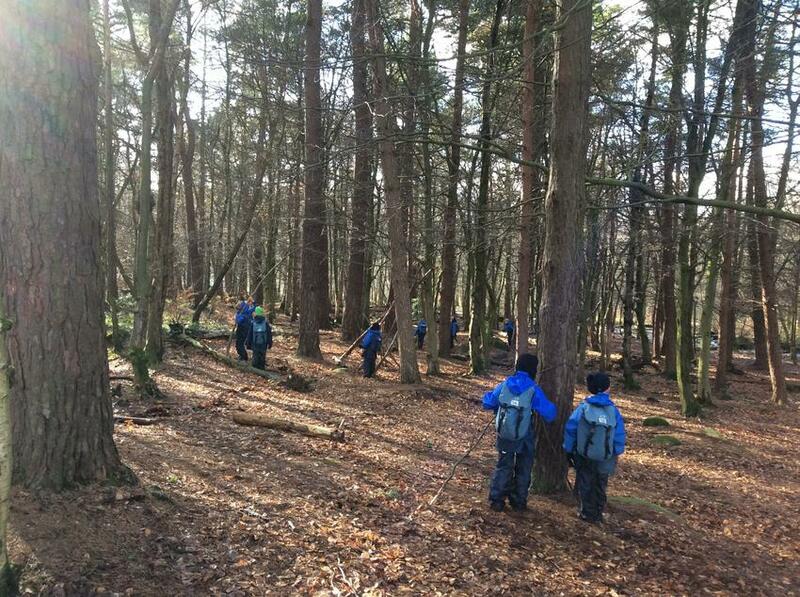 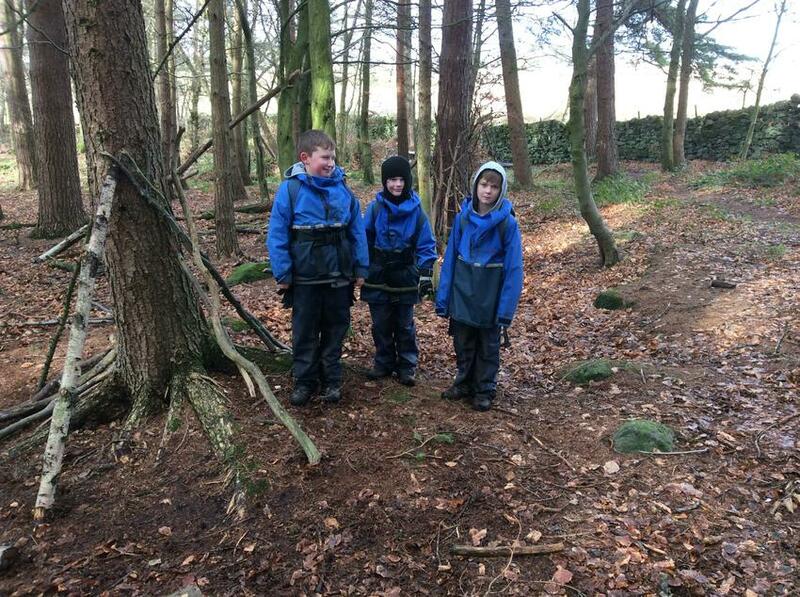 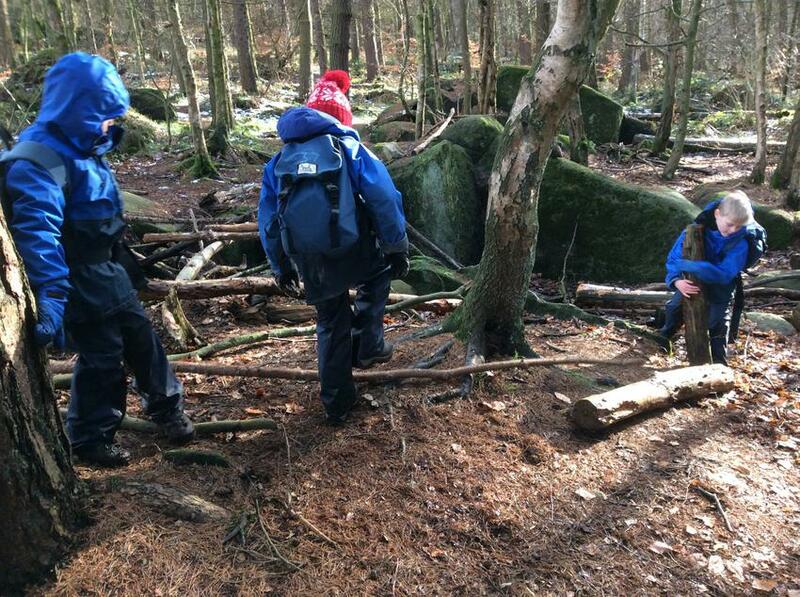 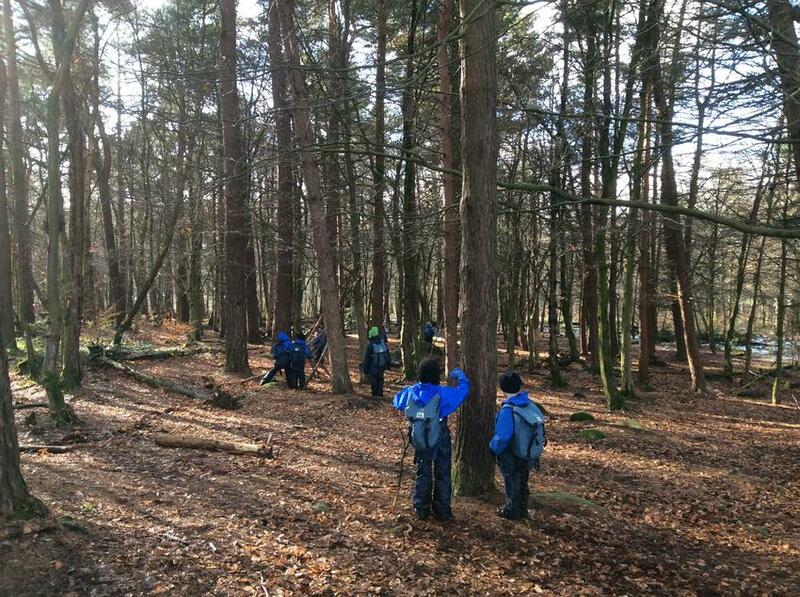 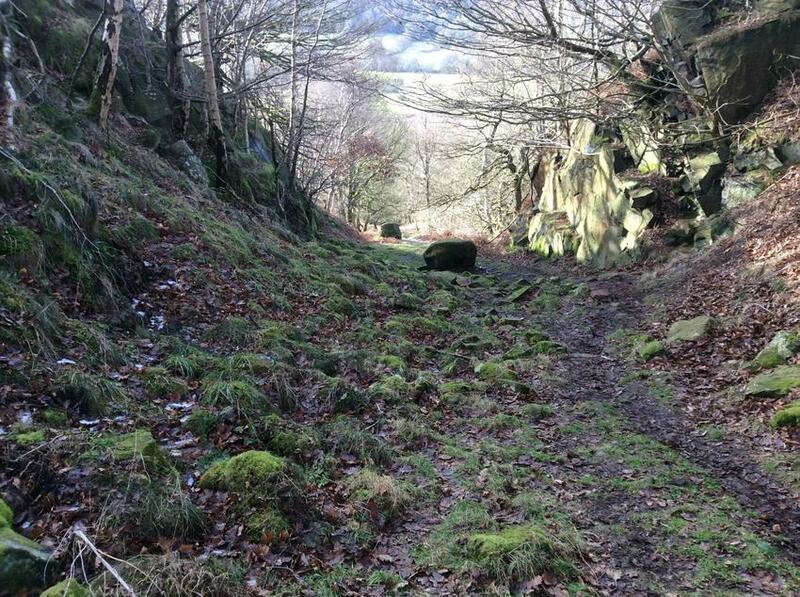 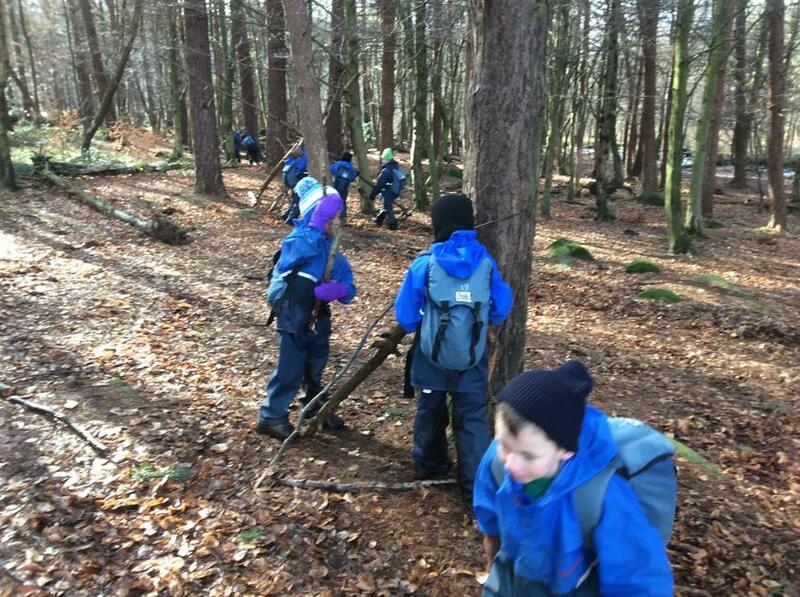 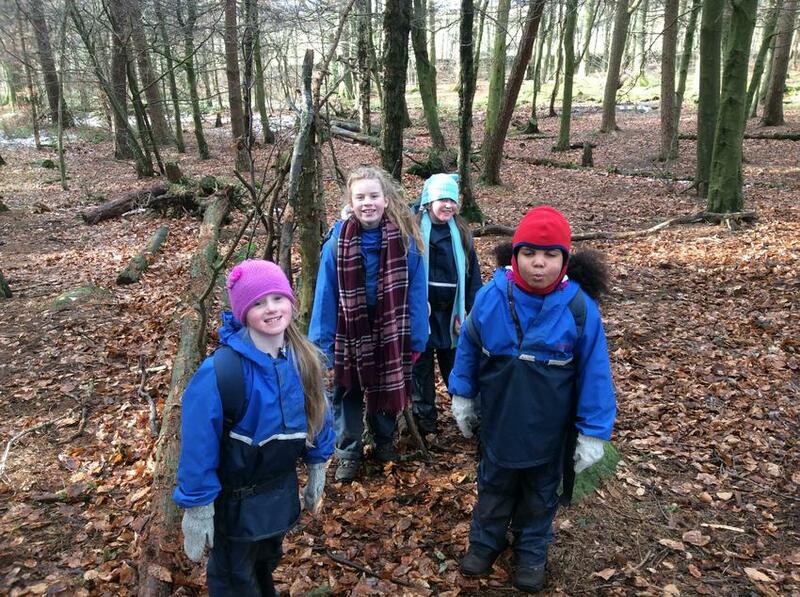 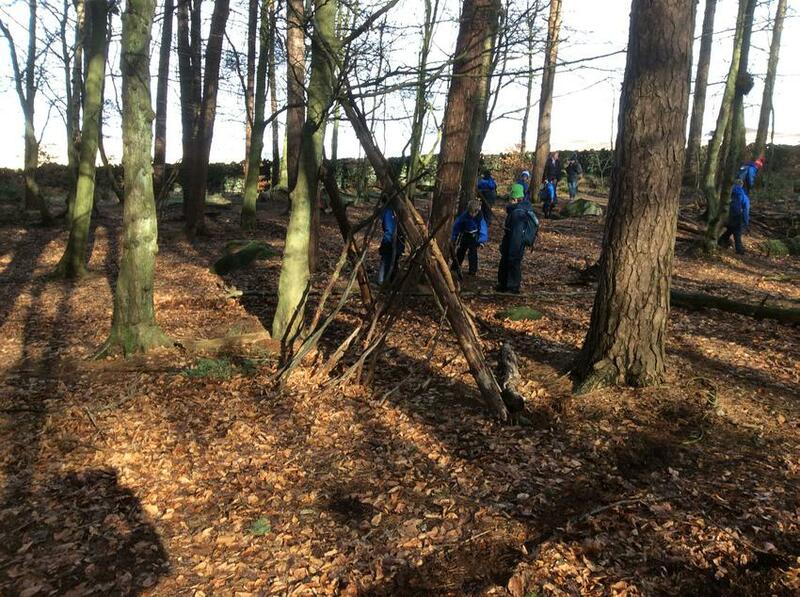 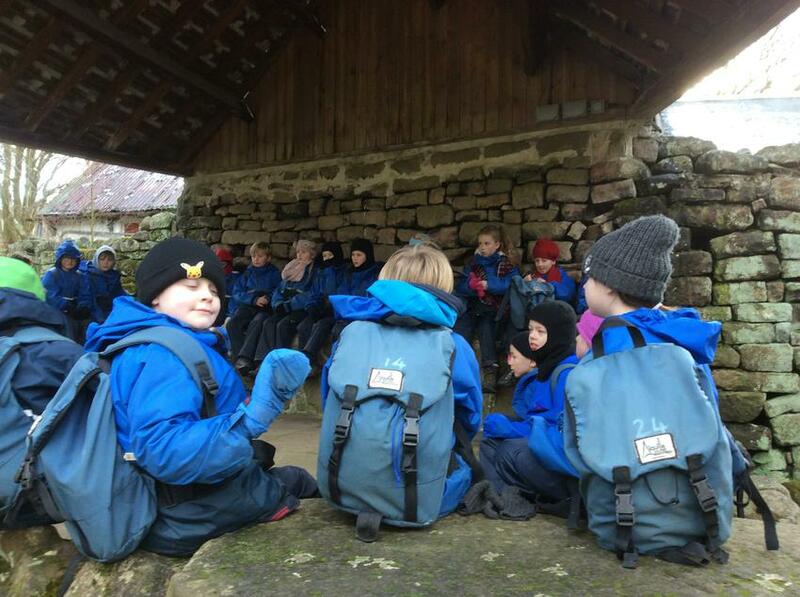 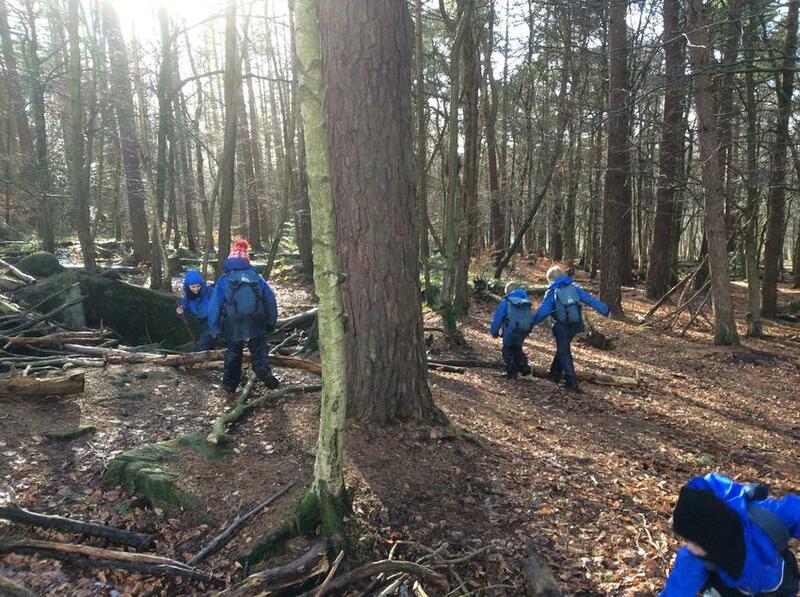 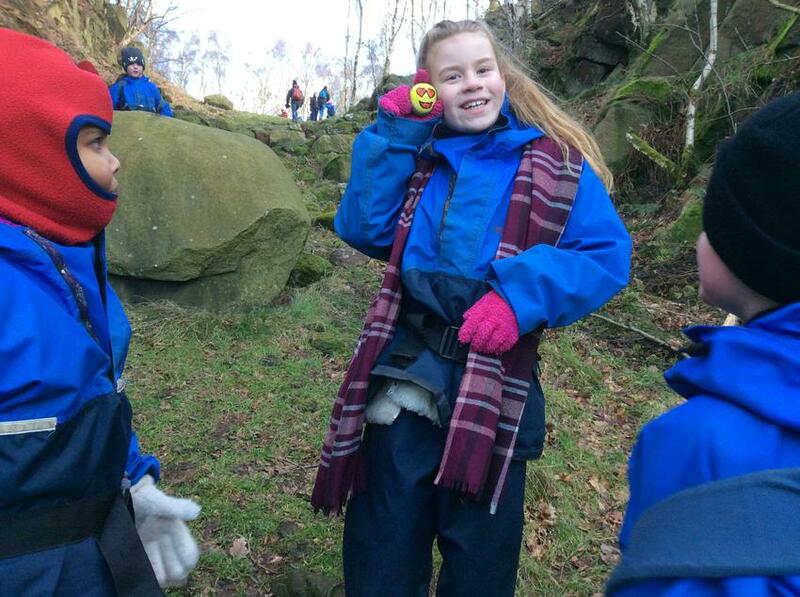 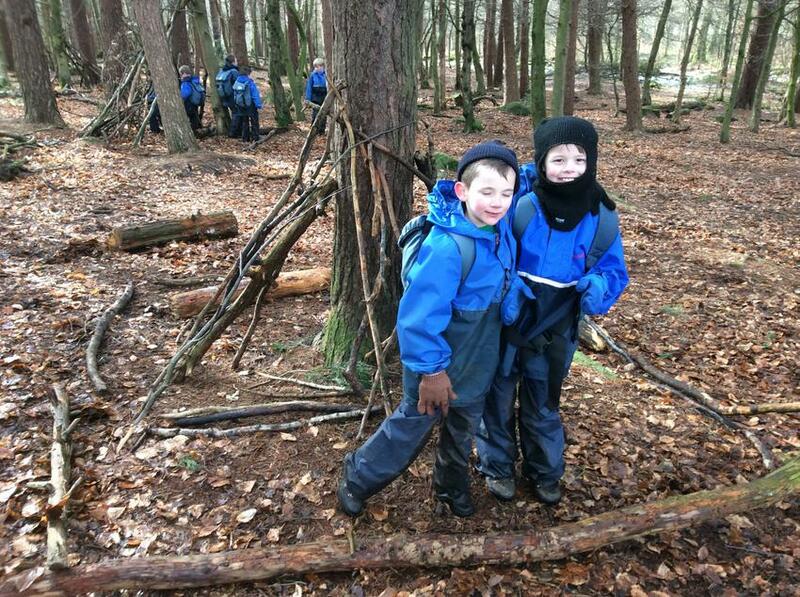 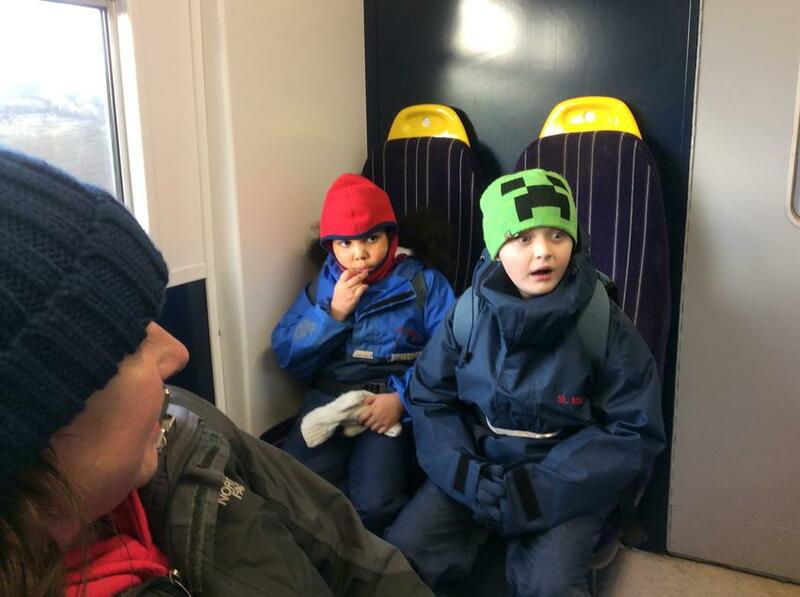 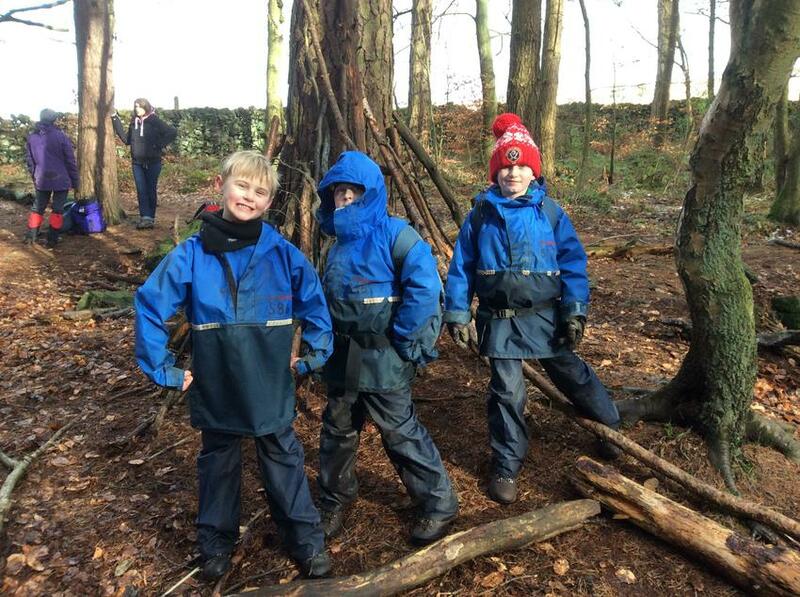 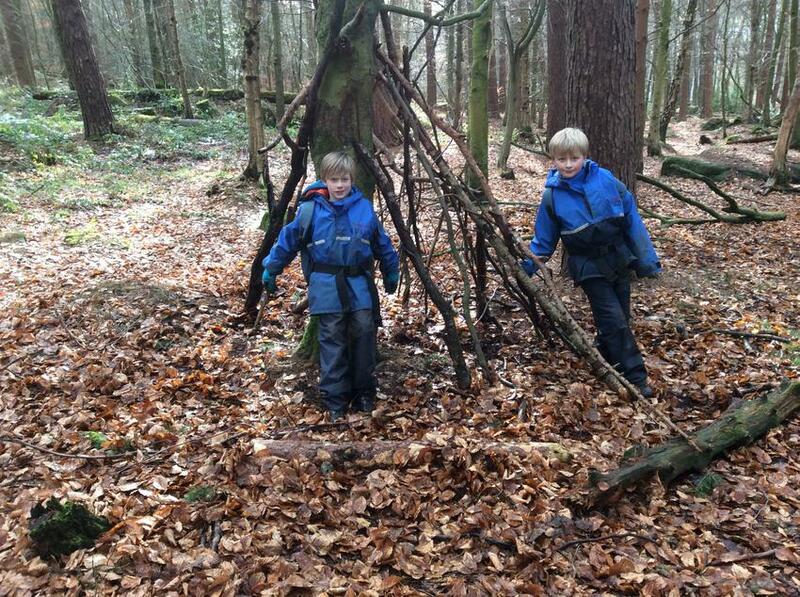 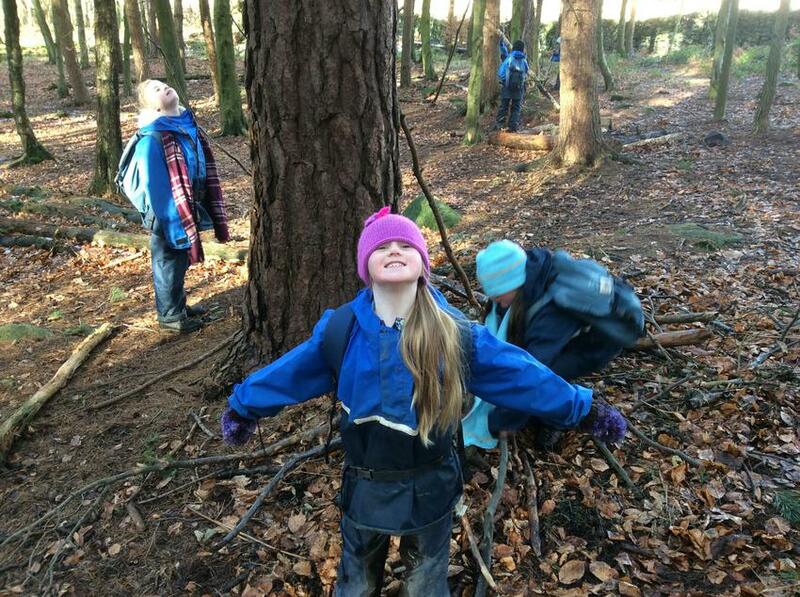 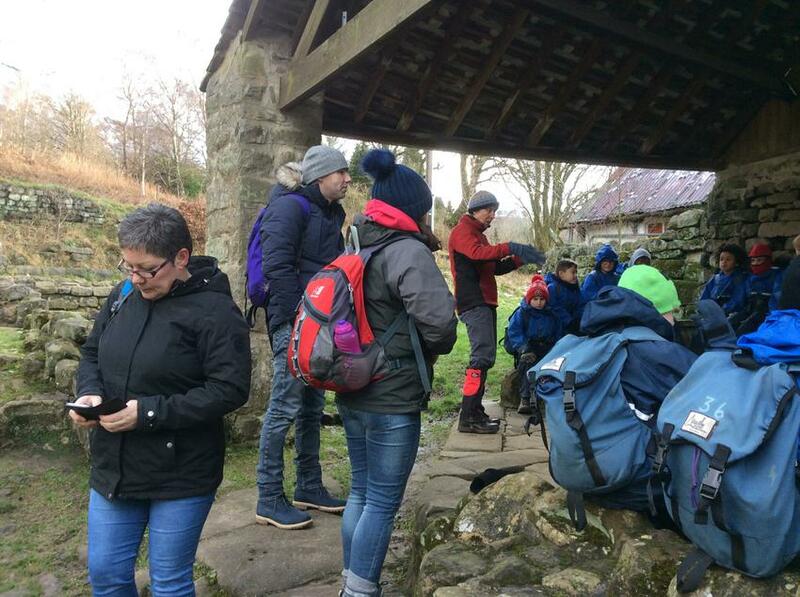 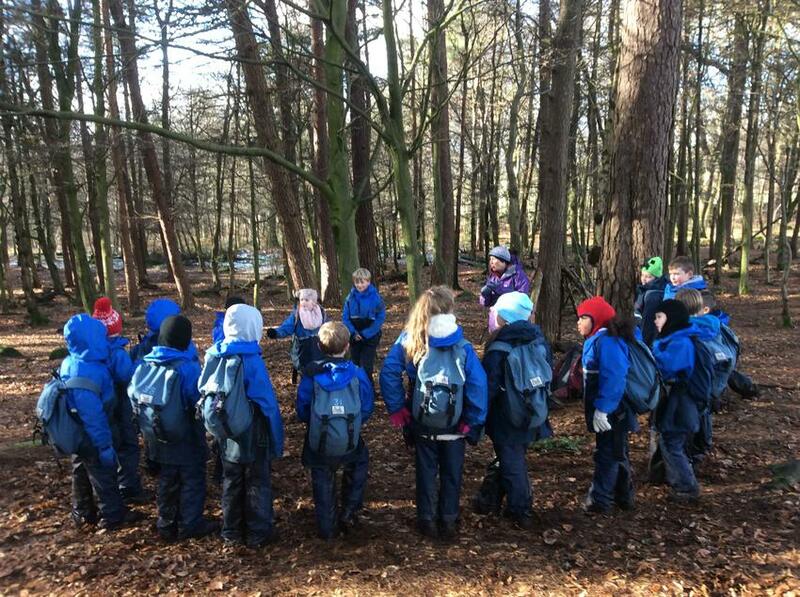 The first slideshow is of den building on the walk back from Padley Gorge. 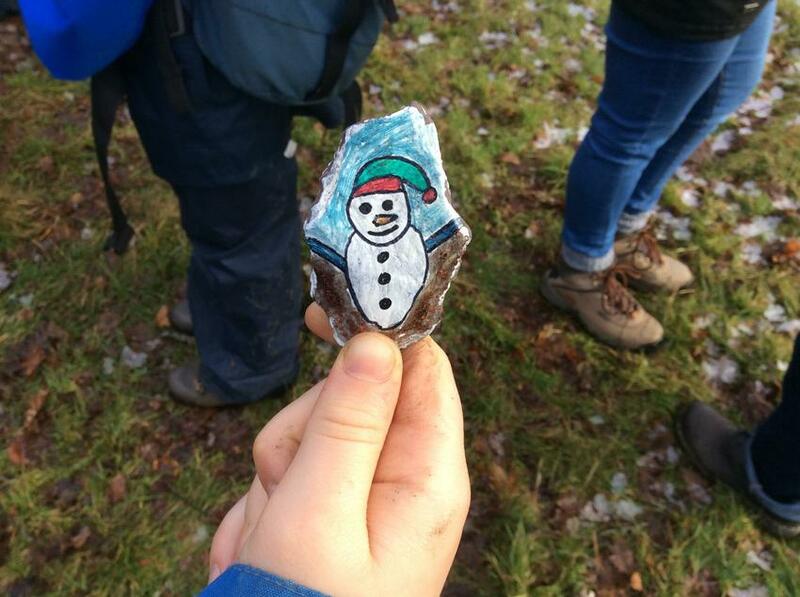 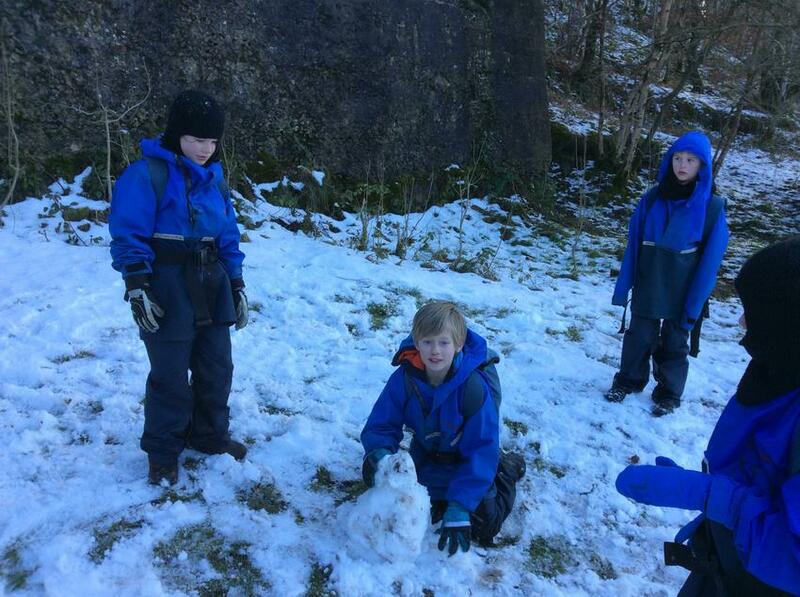 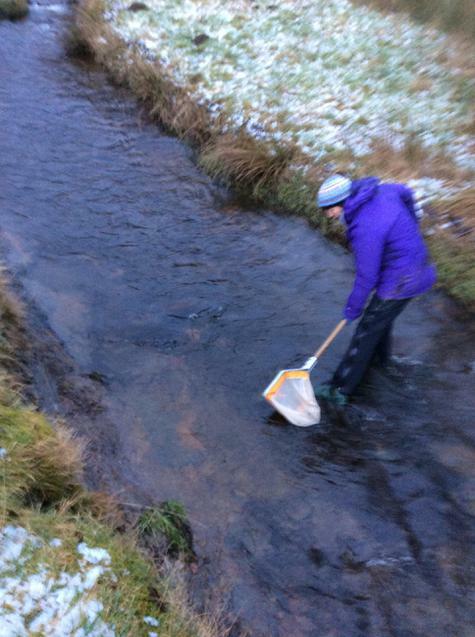 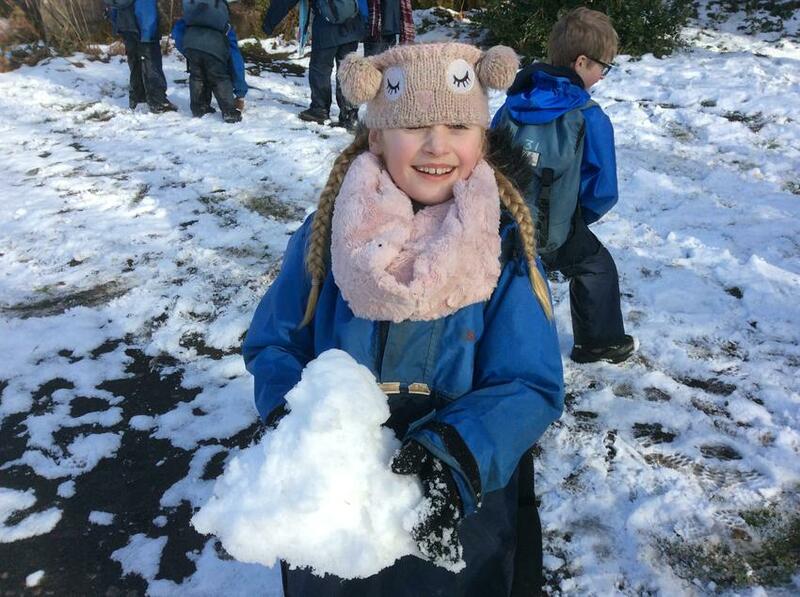 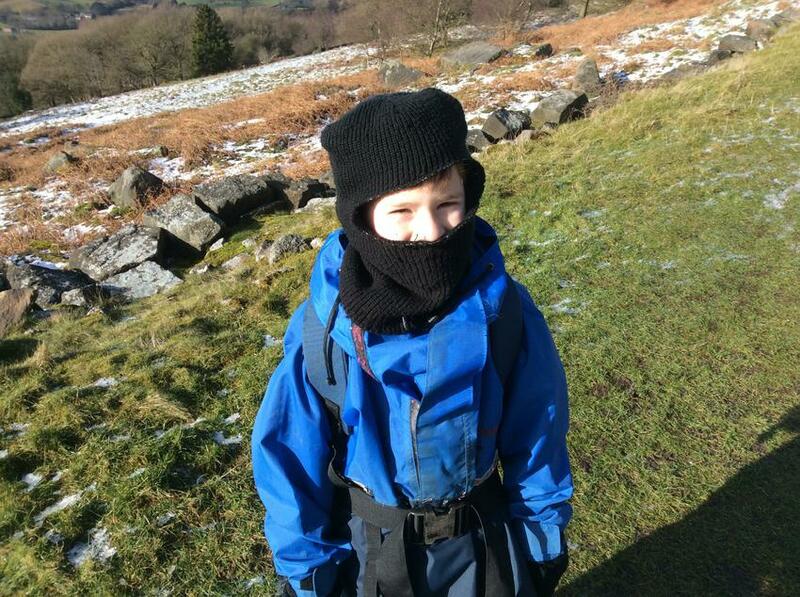 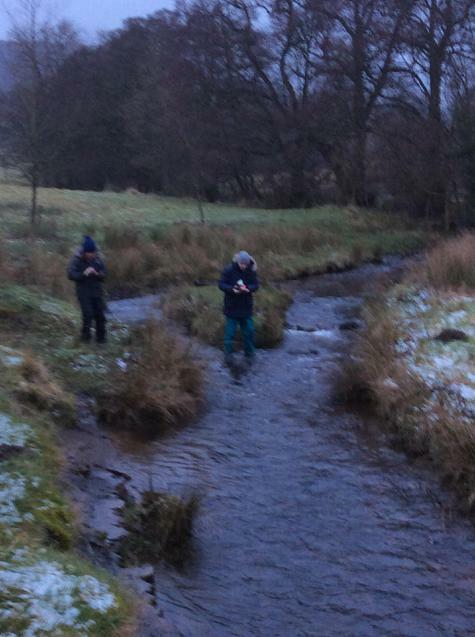 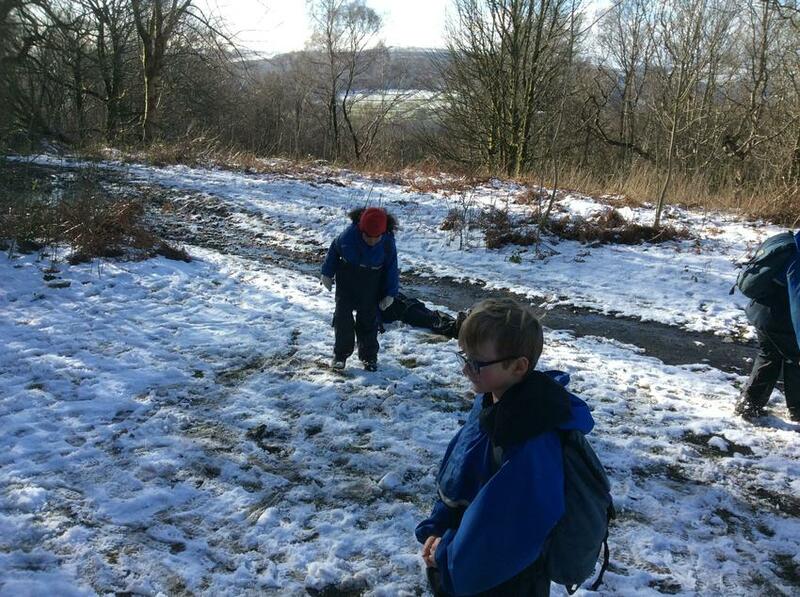 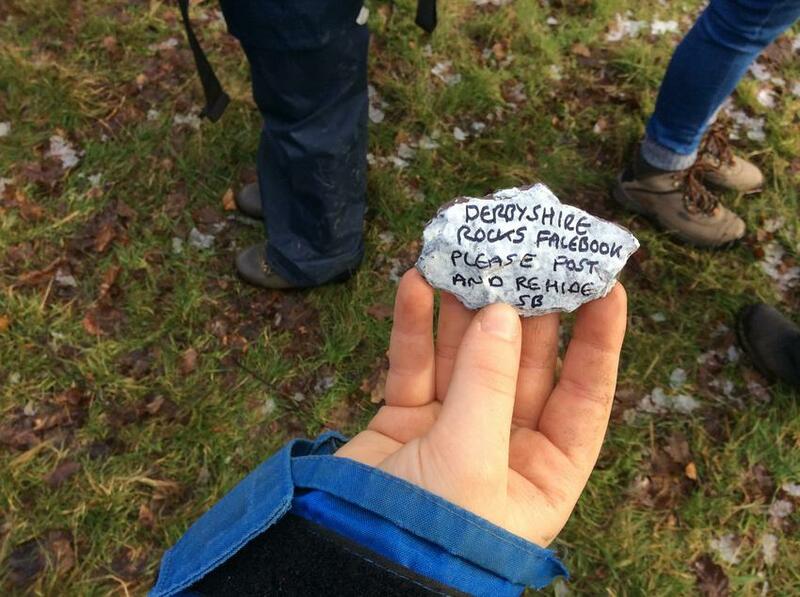 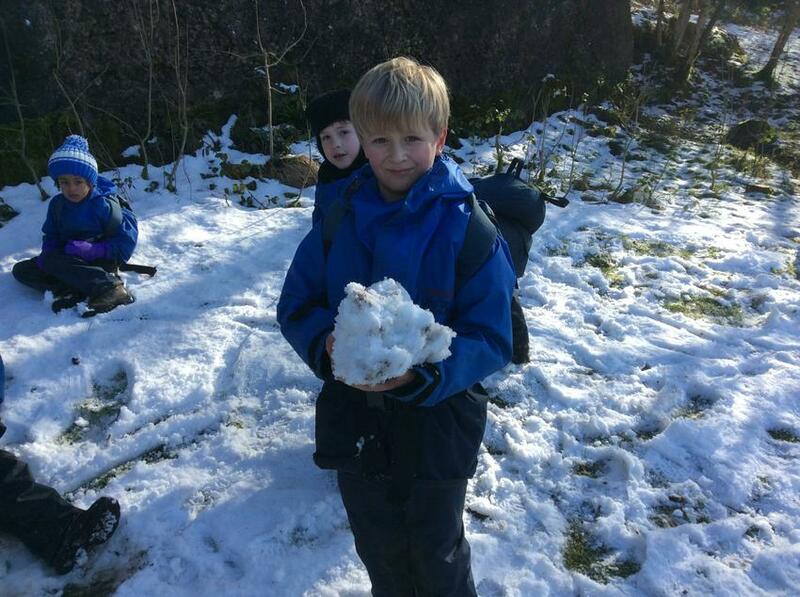 We have had snow and found hidden gems and not many "Is it lunchtime yet comments?". 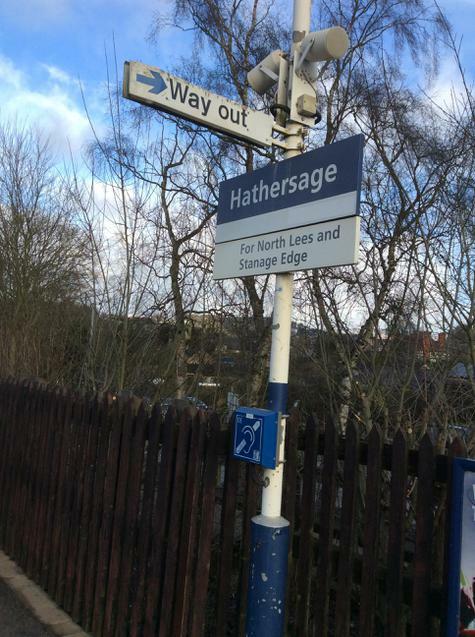 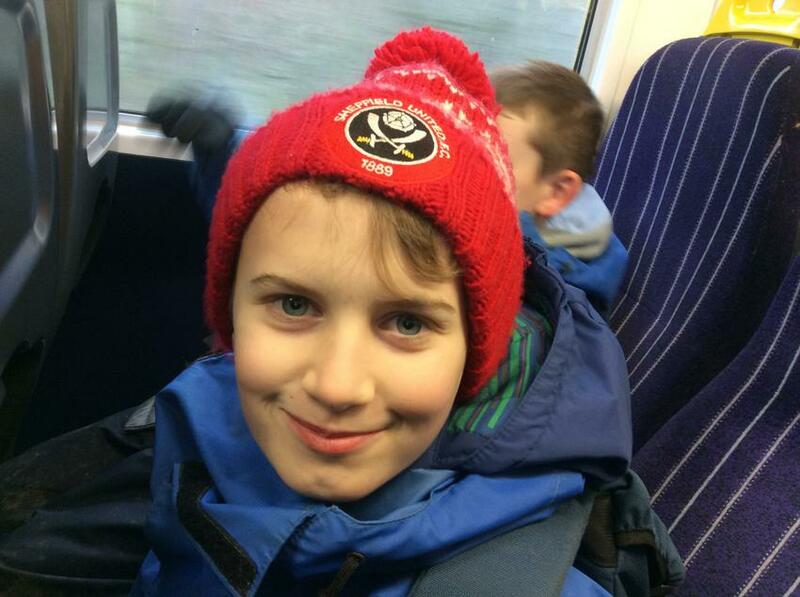 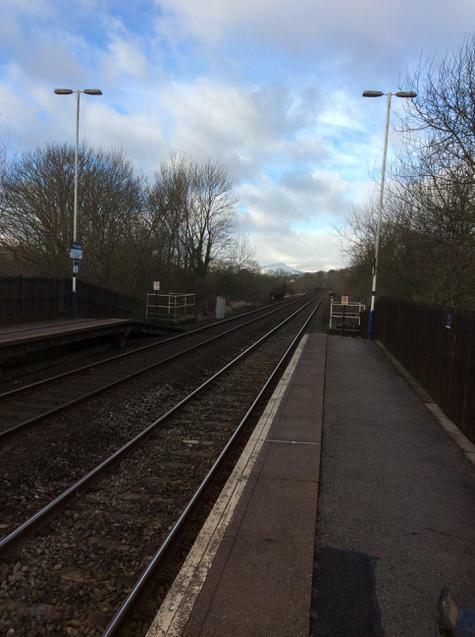 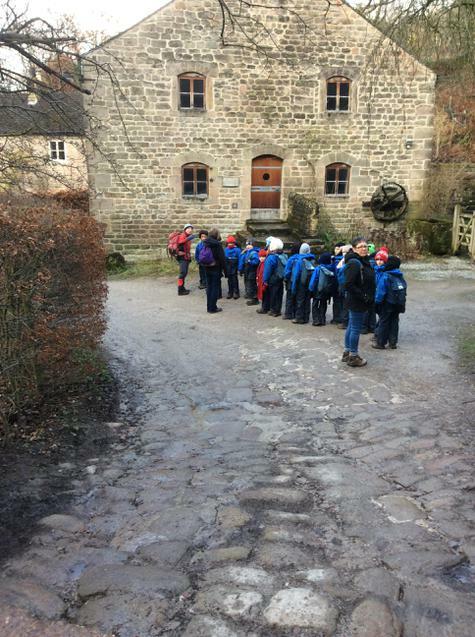 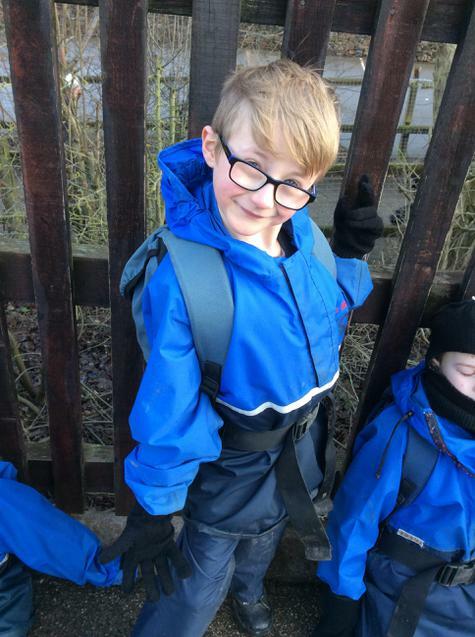 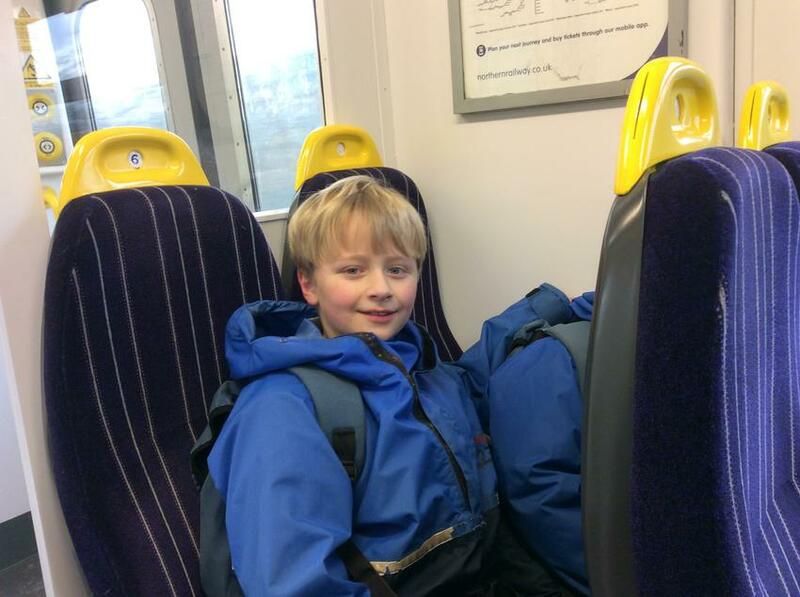 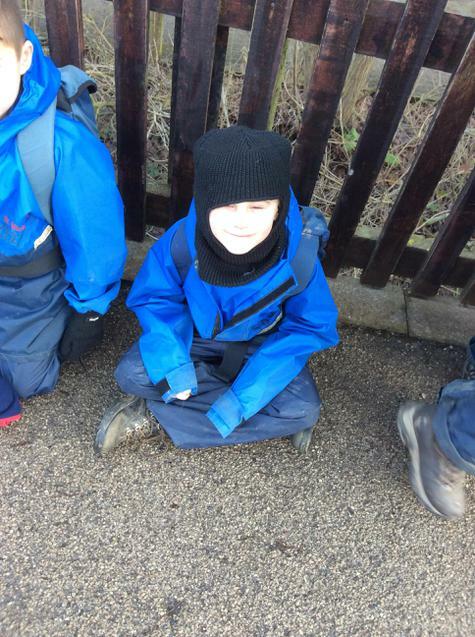 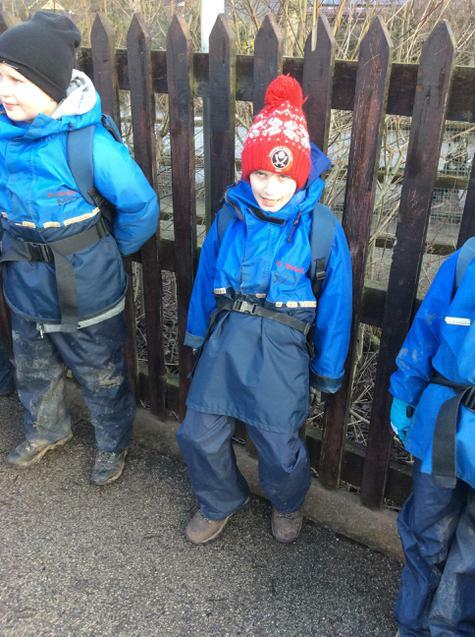 Waiting for the train from Hathersage to Grindleford which was very exciting. 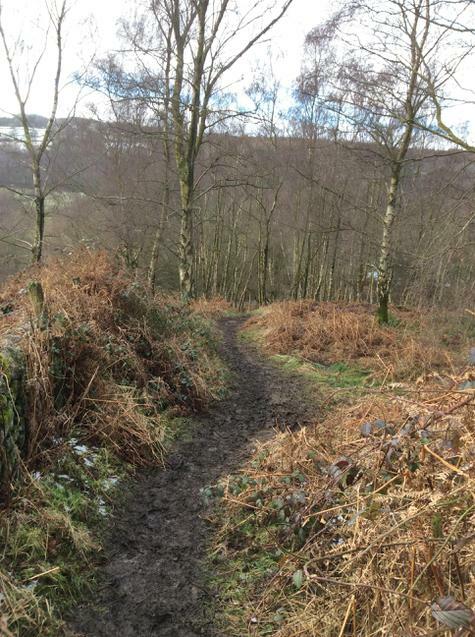 Just don't mention the long walk ahead. 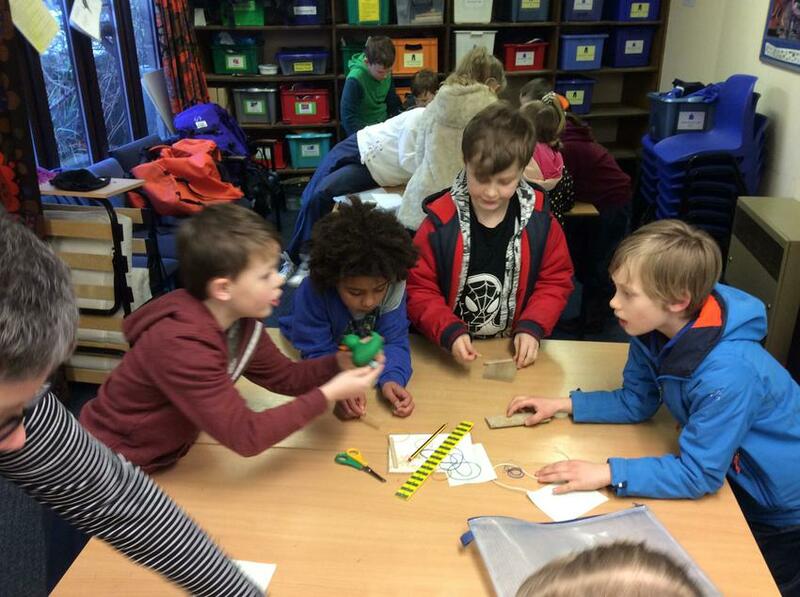 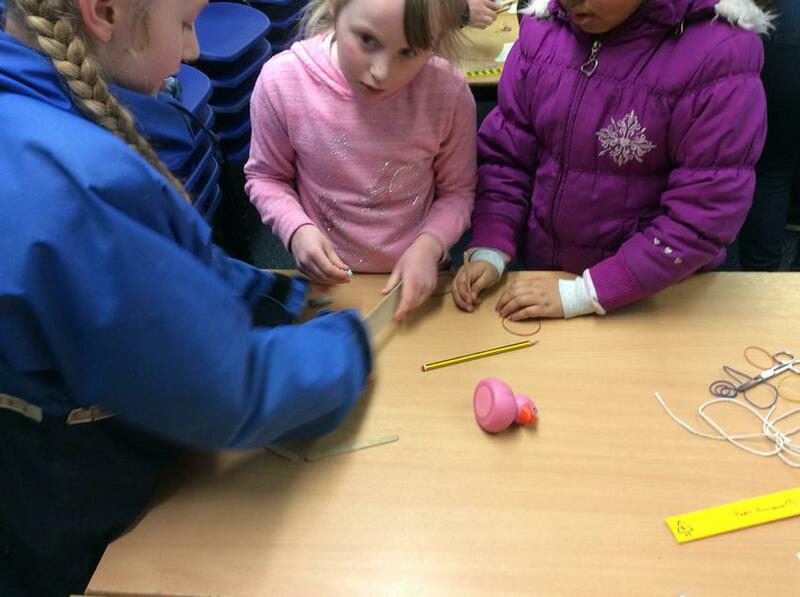 Could the children work together to design a boat? 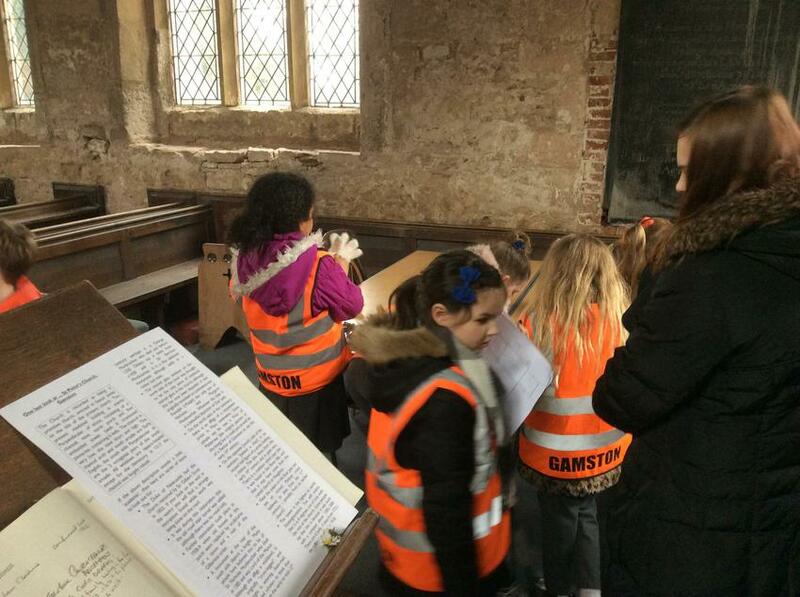 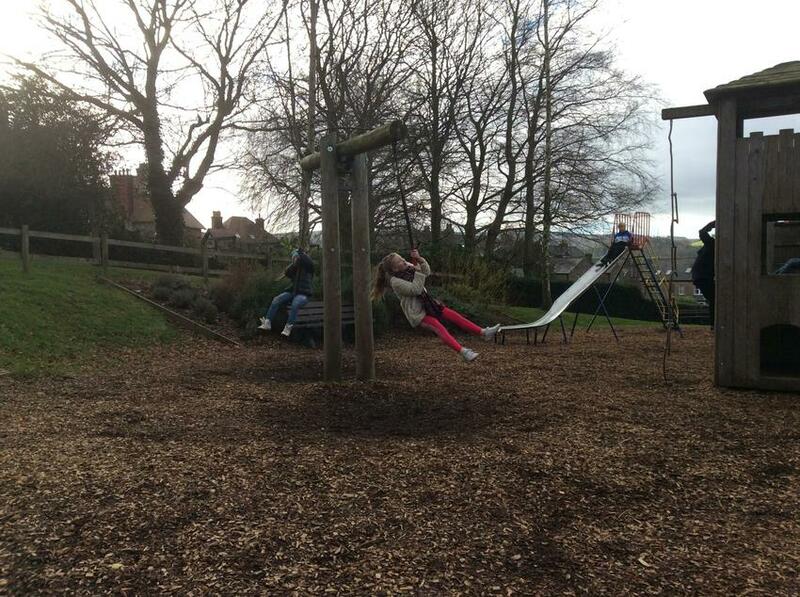 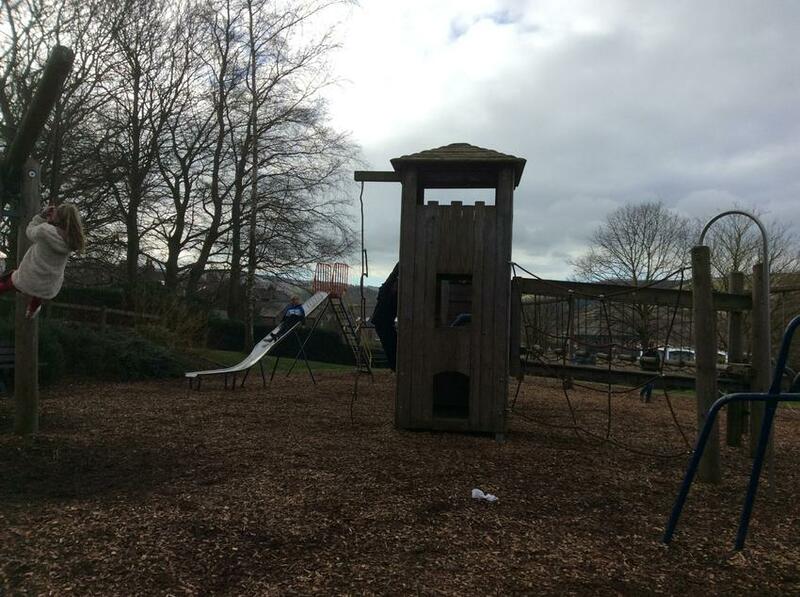 The children were only given a limited amount of equipment. 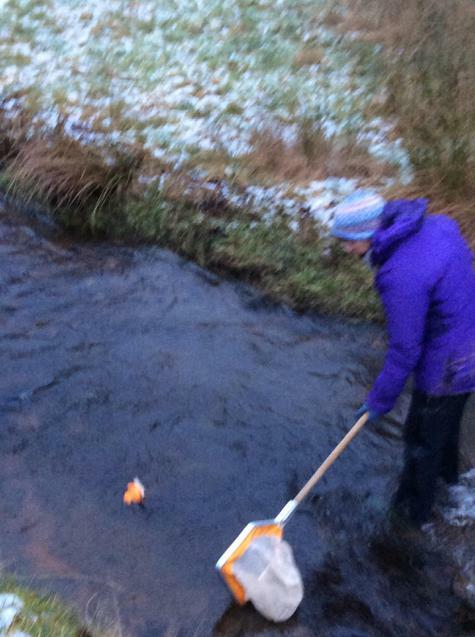 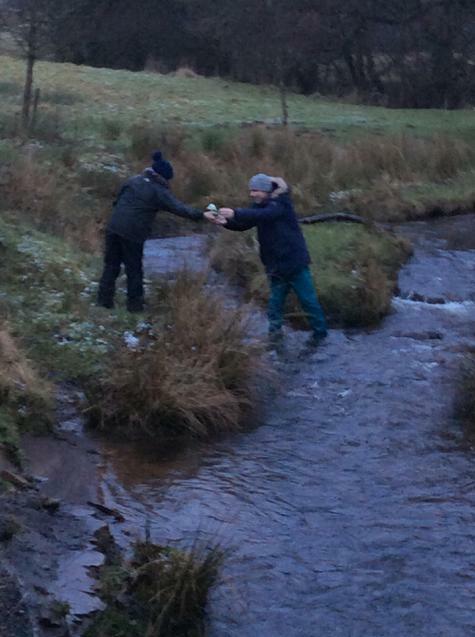 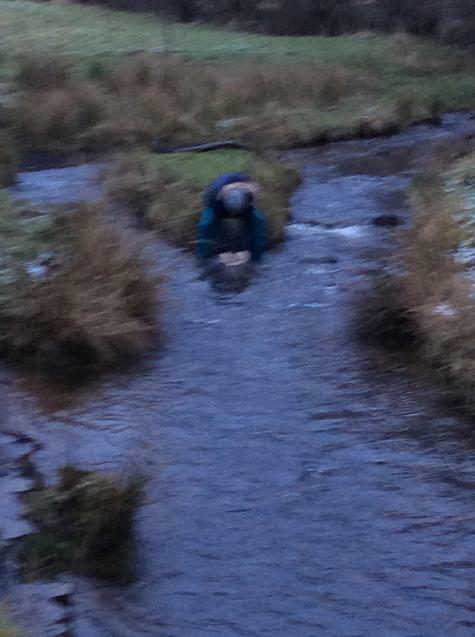 The craft had to safely transport a rubber duck down the river in the shortest amount of time. 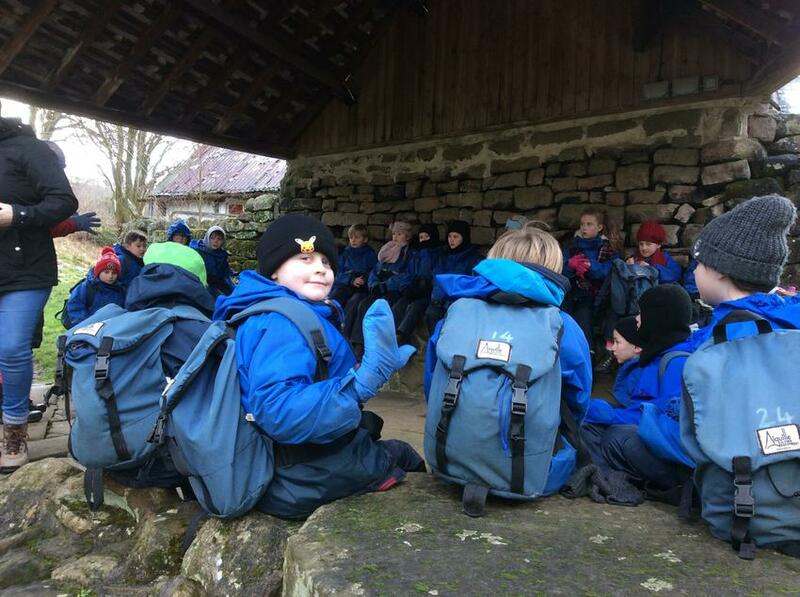 The last morning. 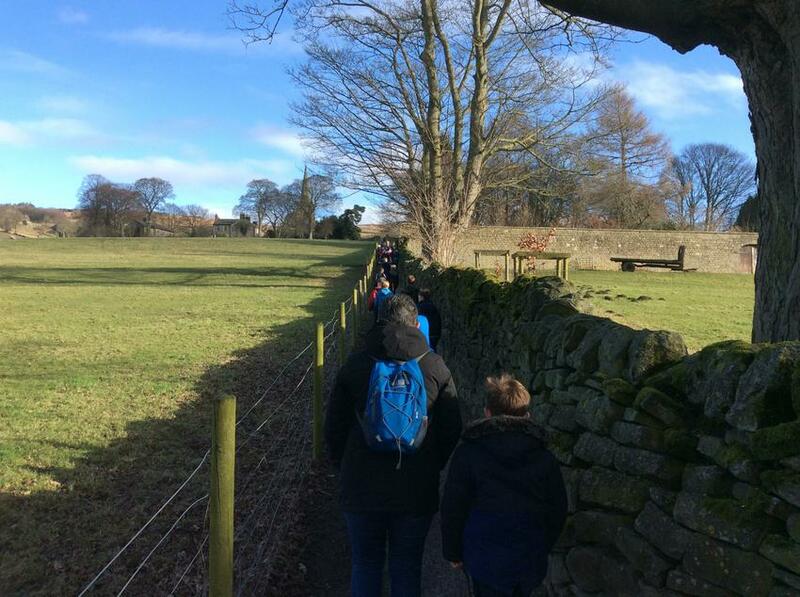 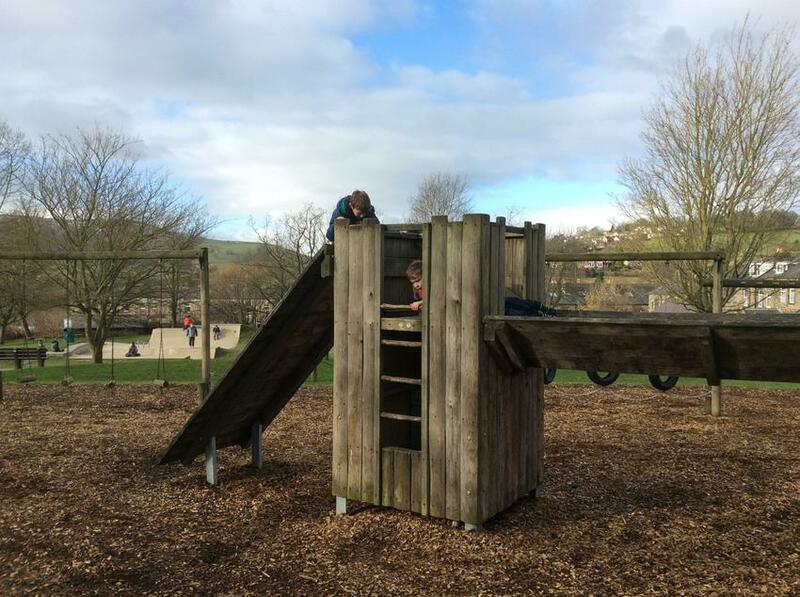 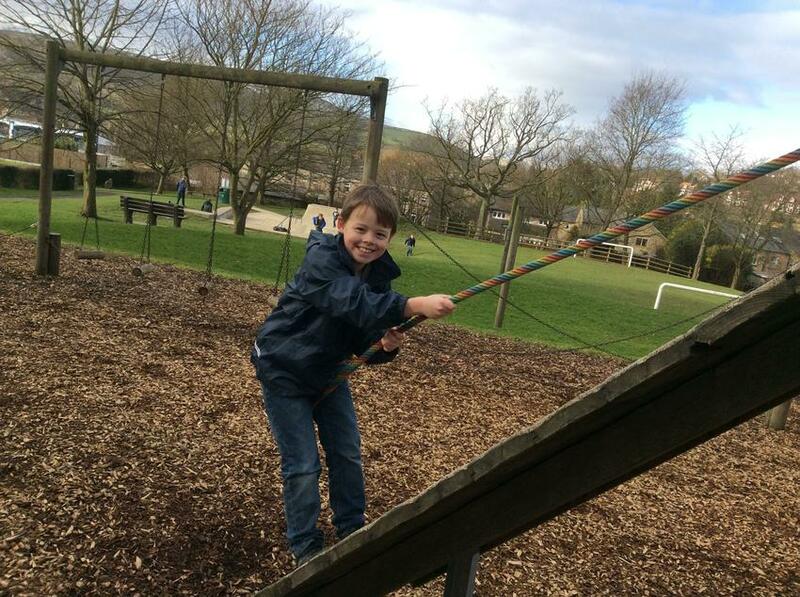 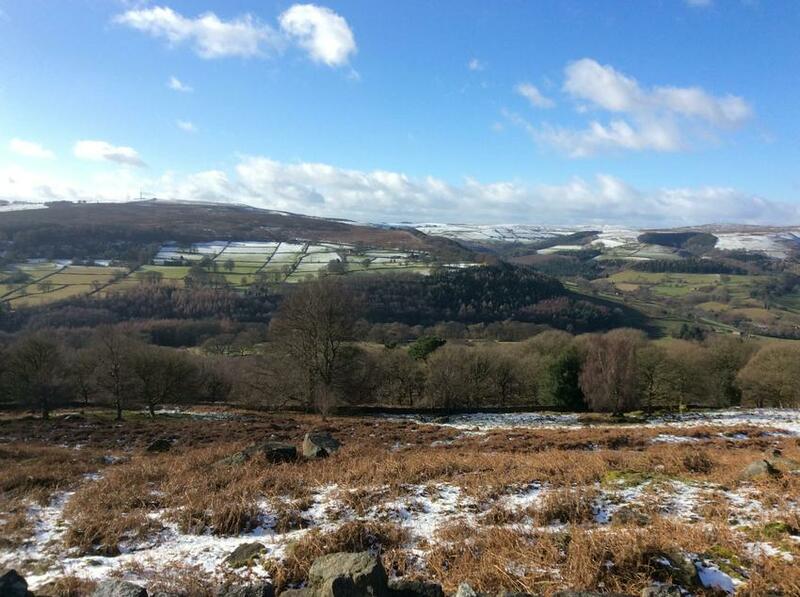 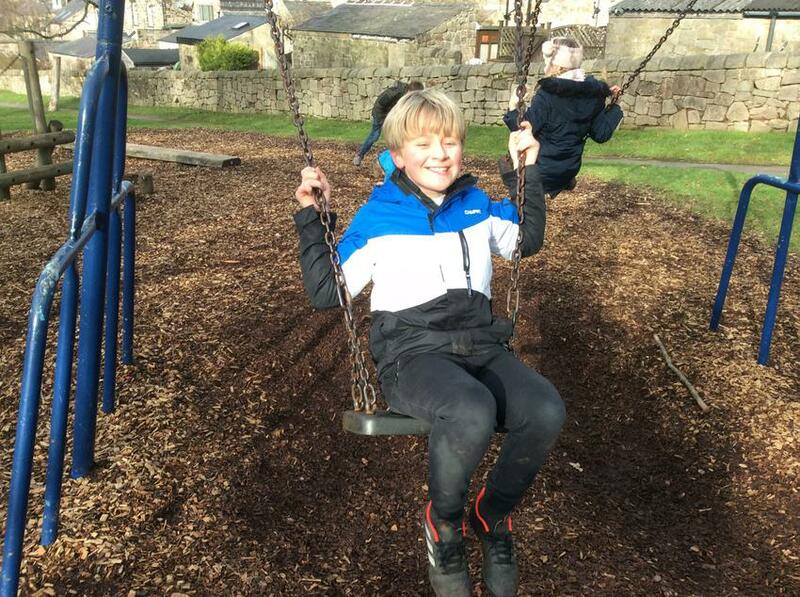 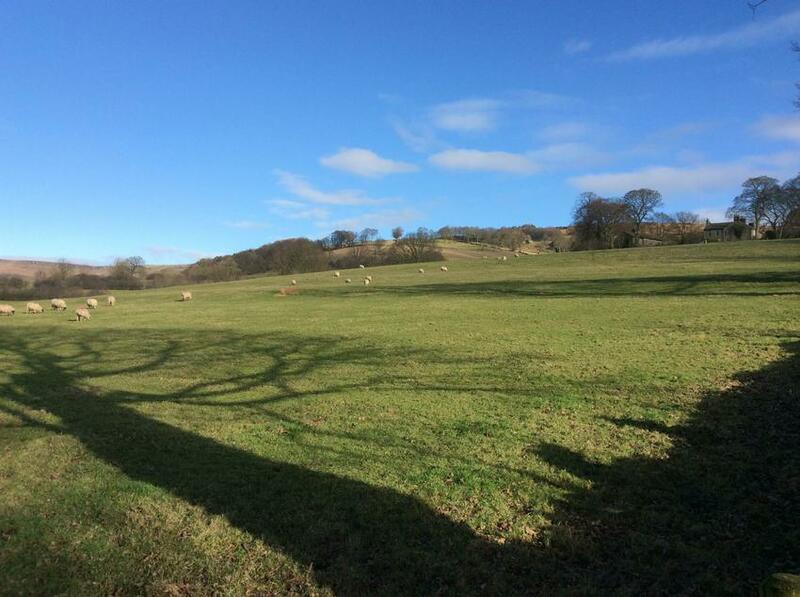 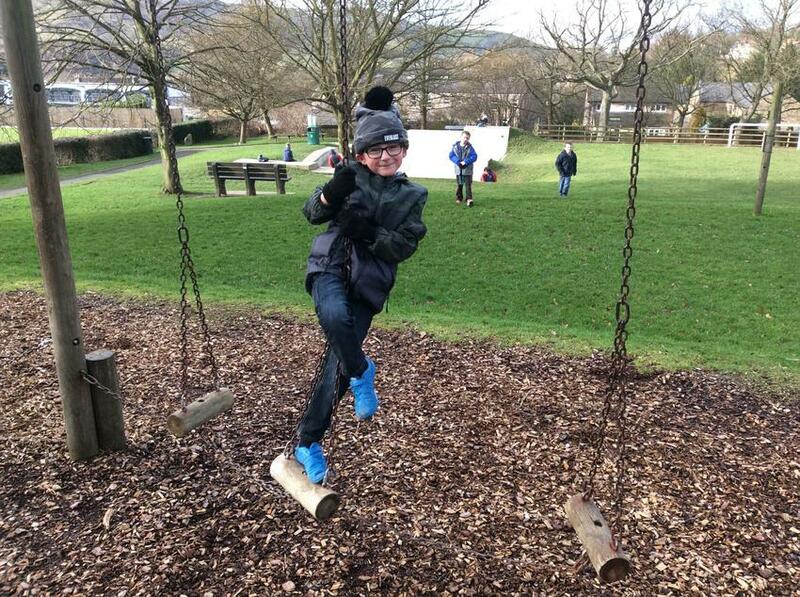 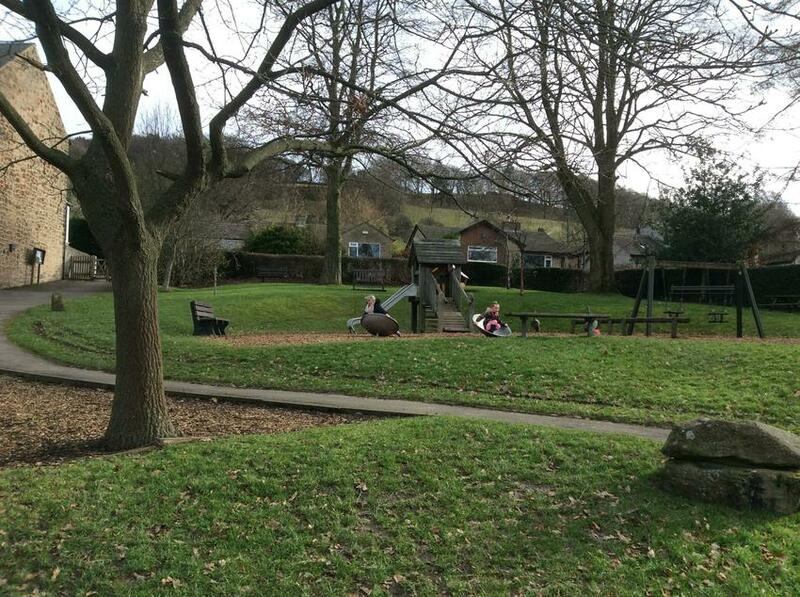 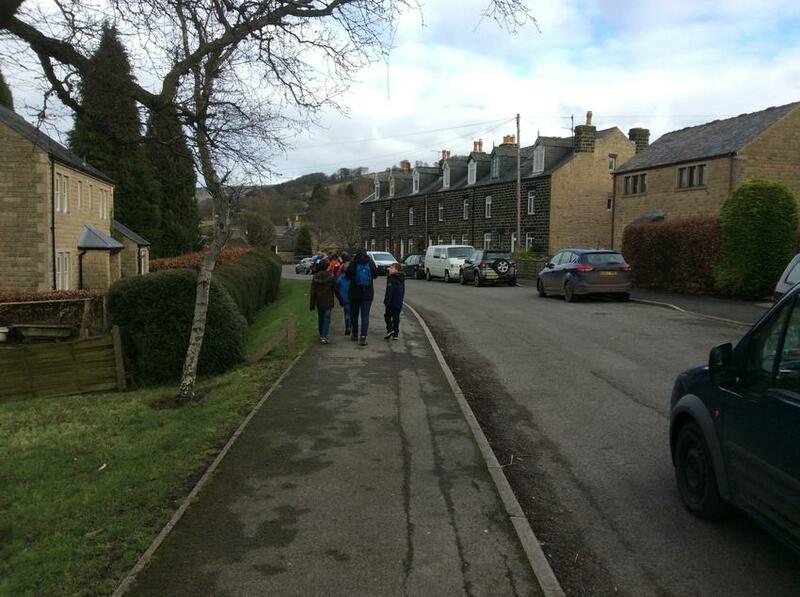 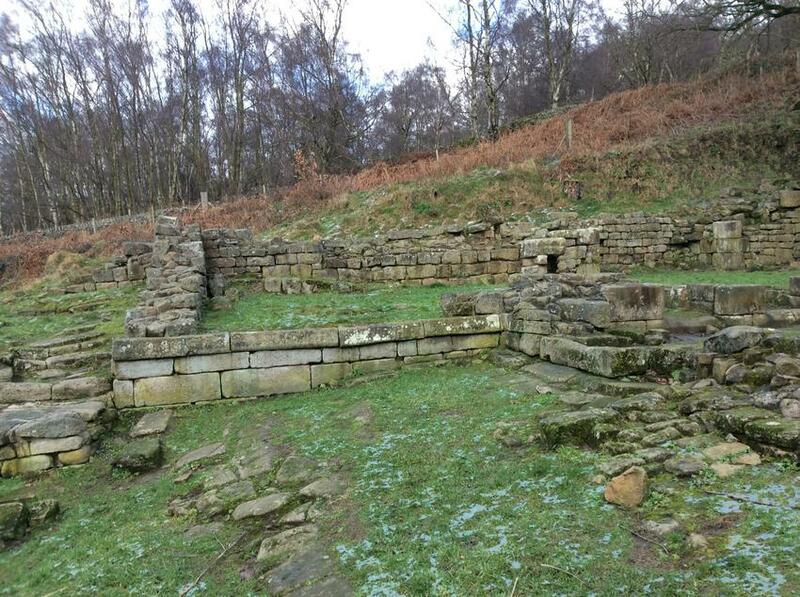 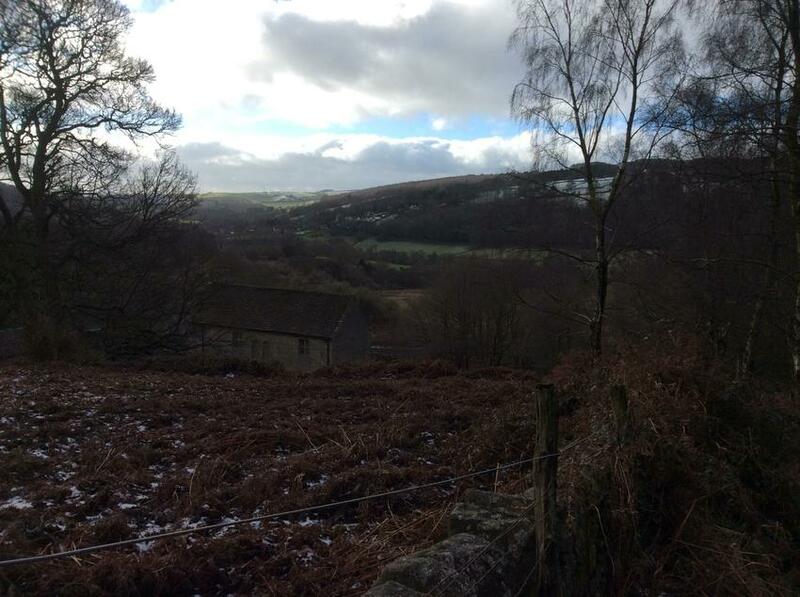 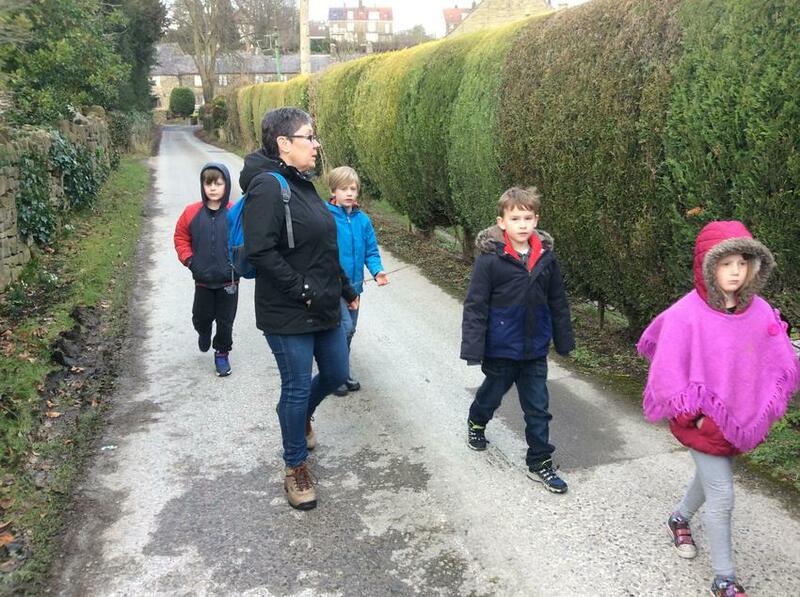 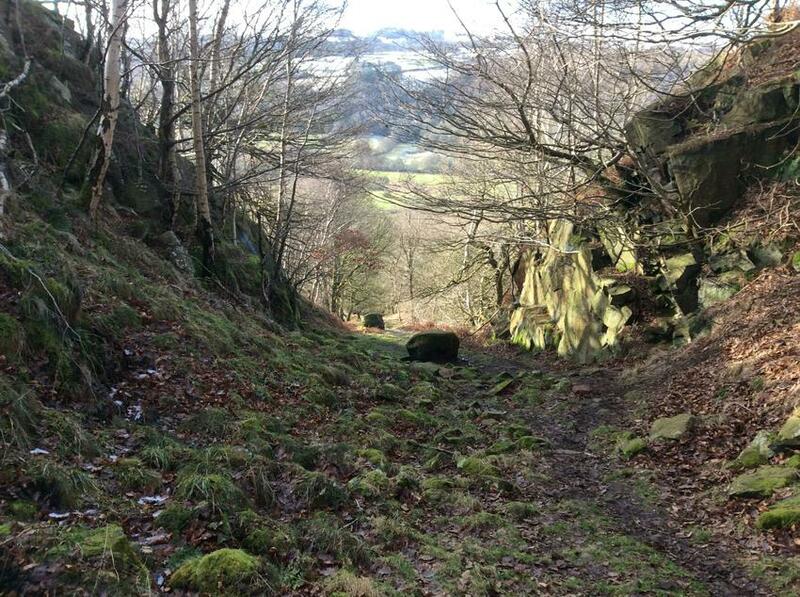 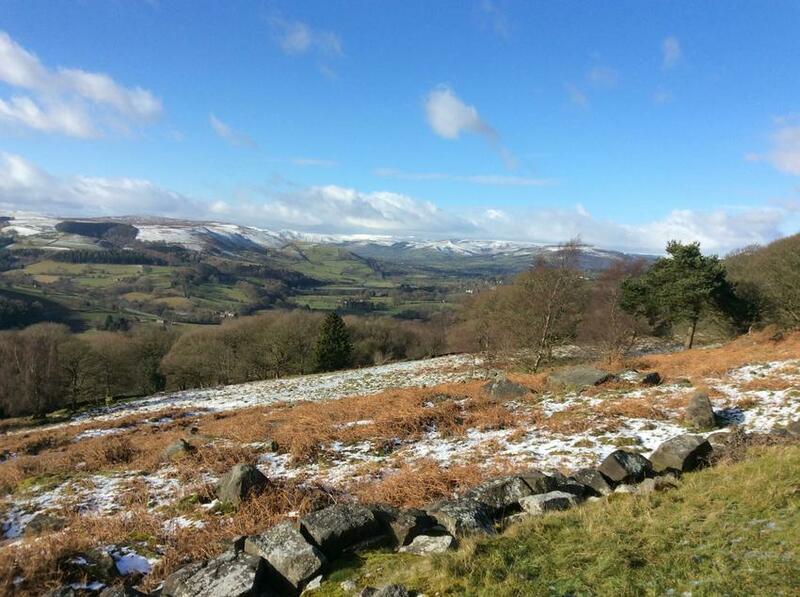 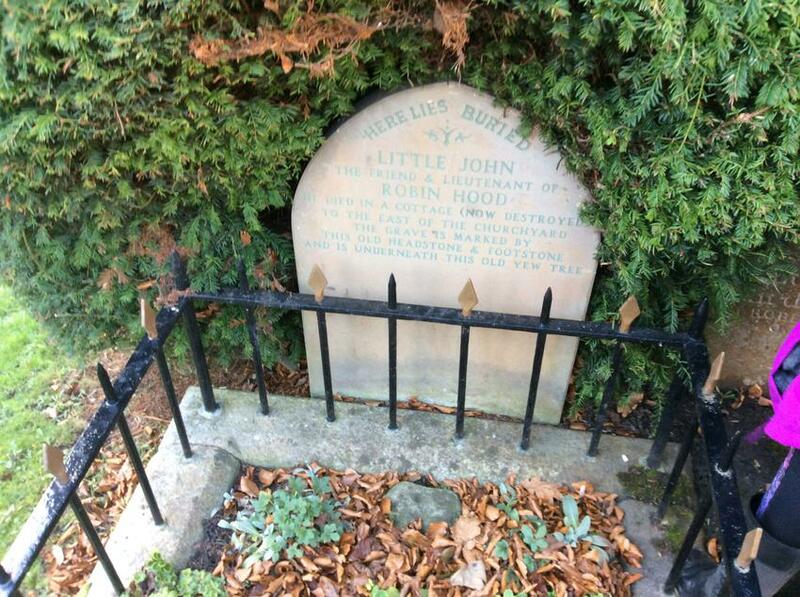 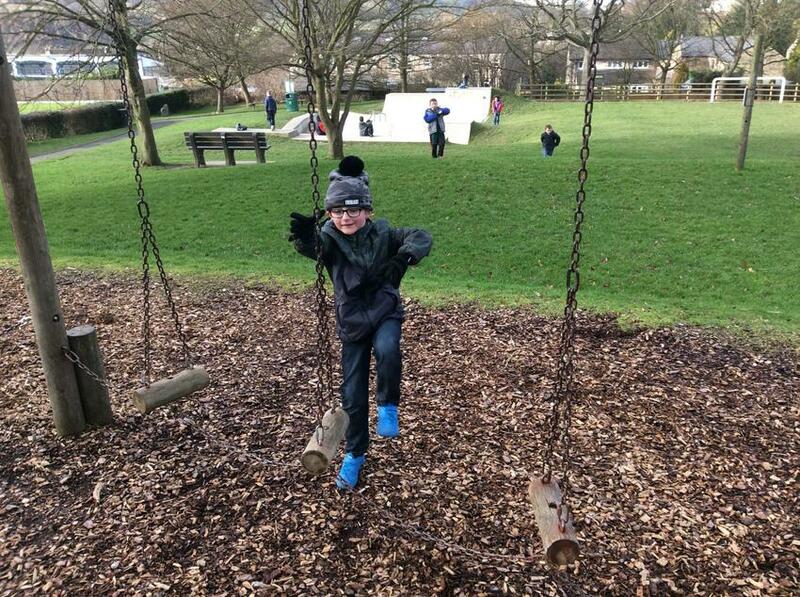 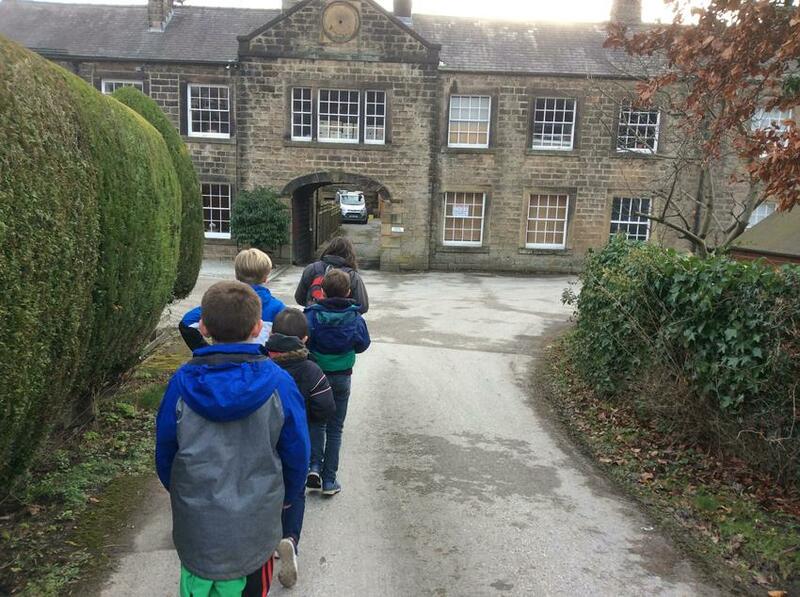 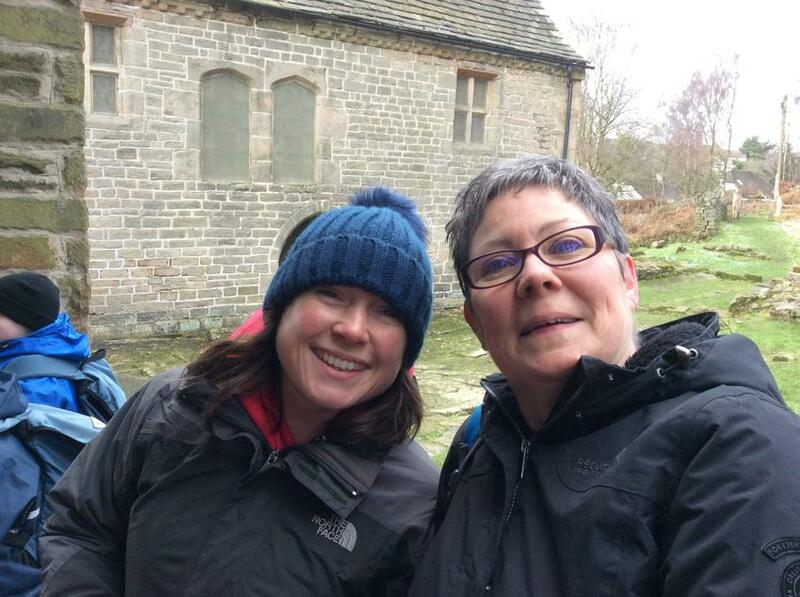 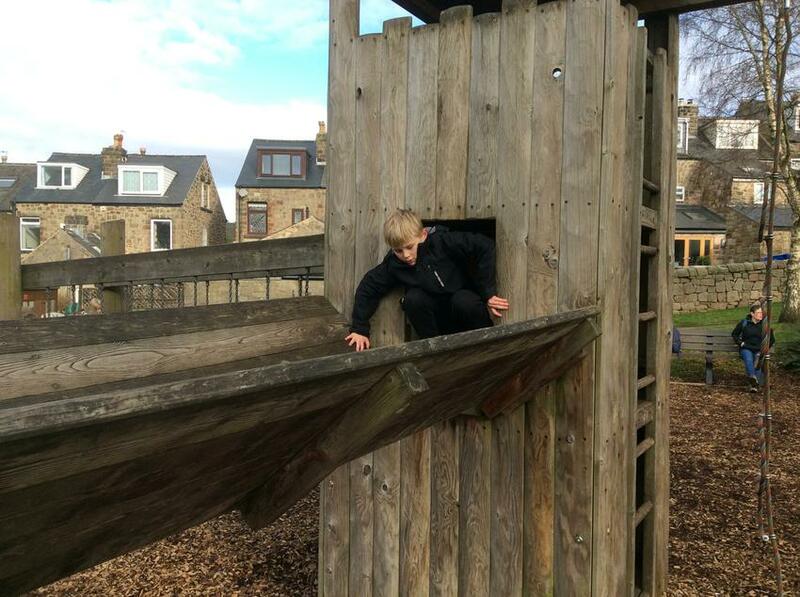 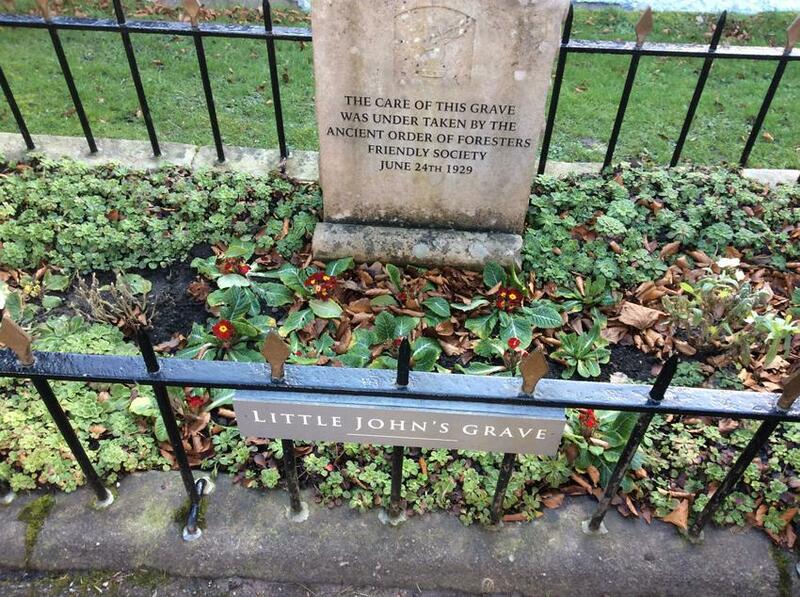 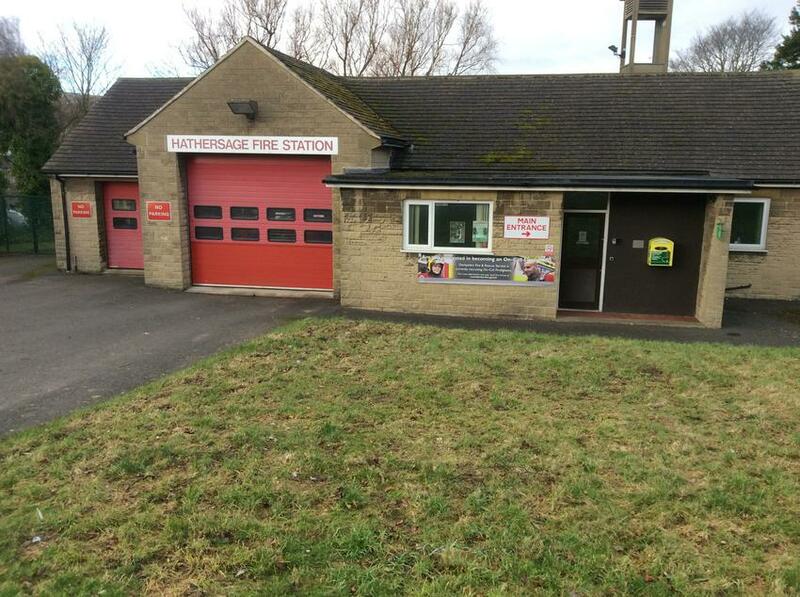 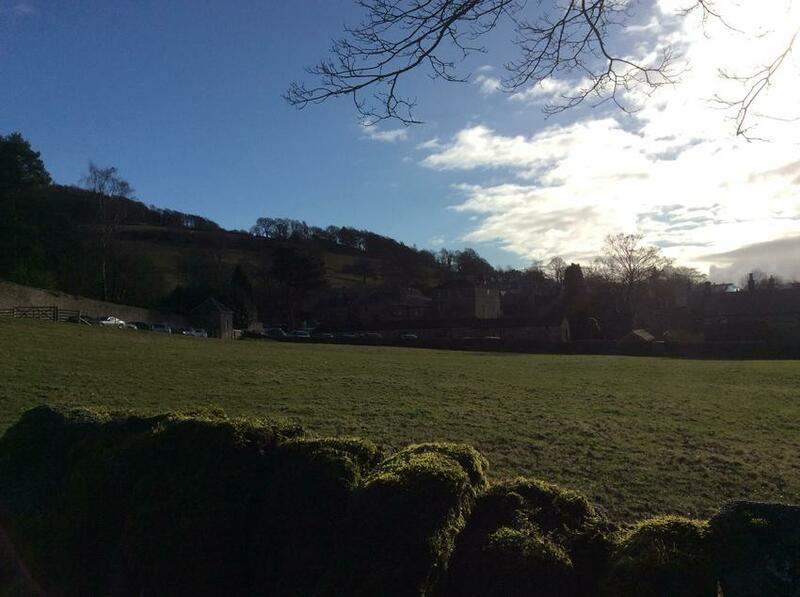 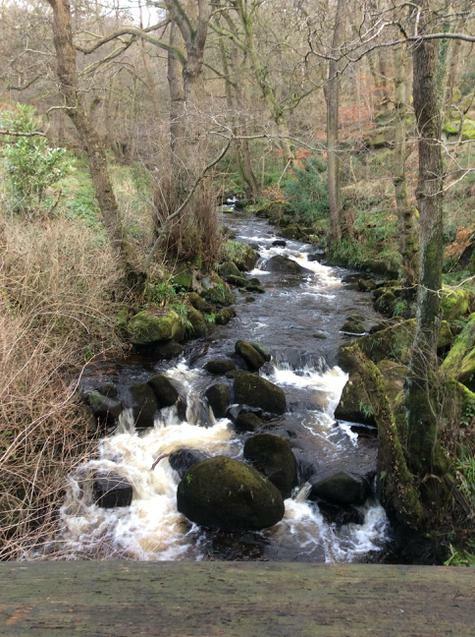 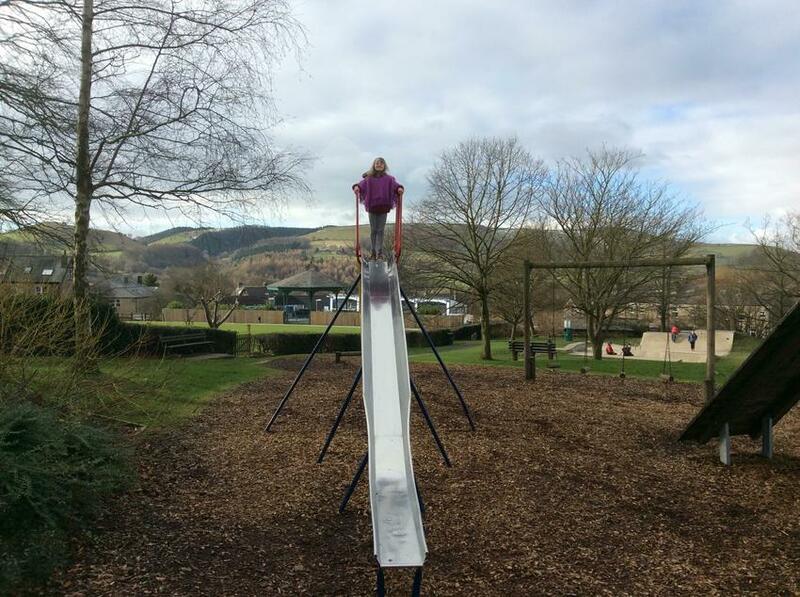 A photo challenge around Hathersage, including time in the park and a visit to Little John's grave. 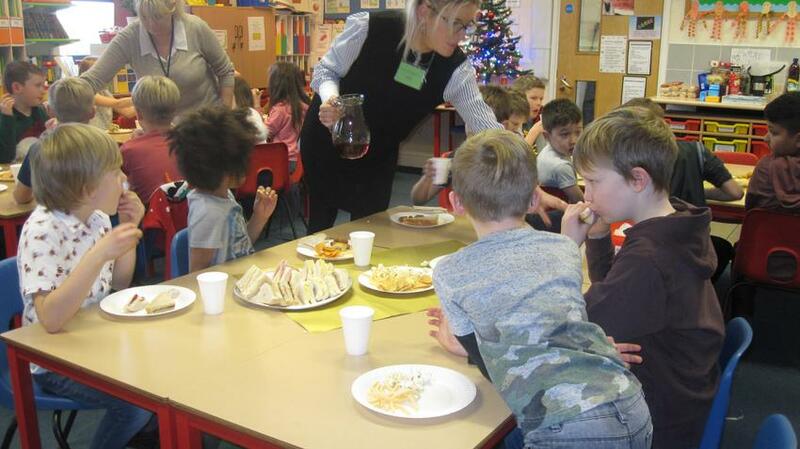 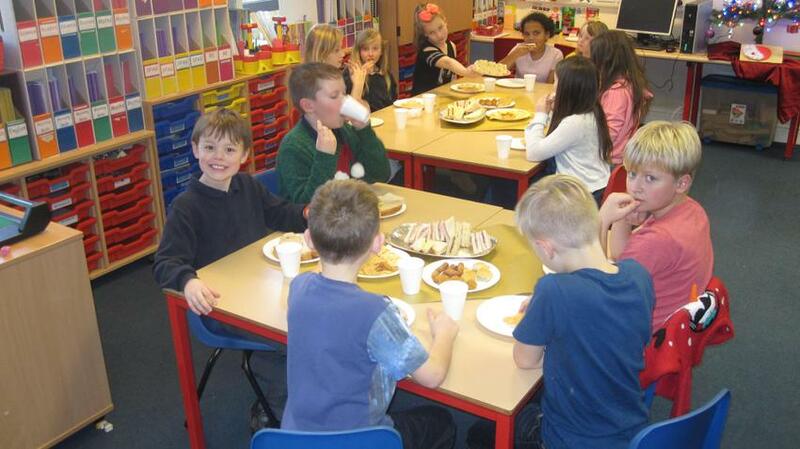 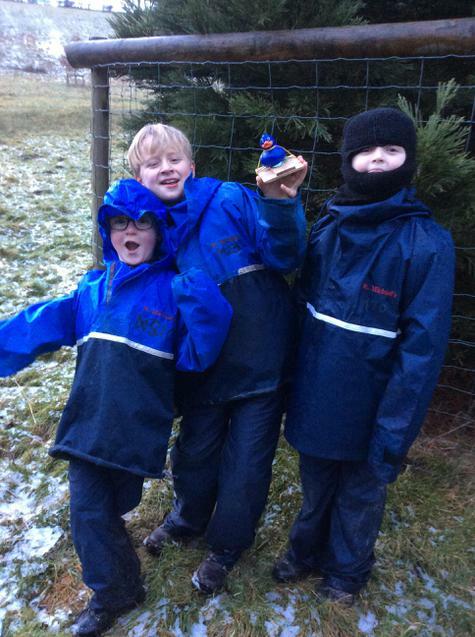 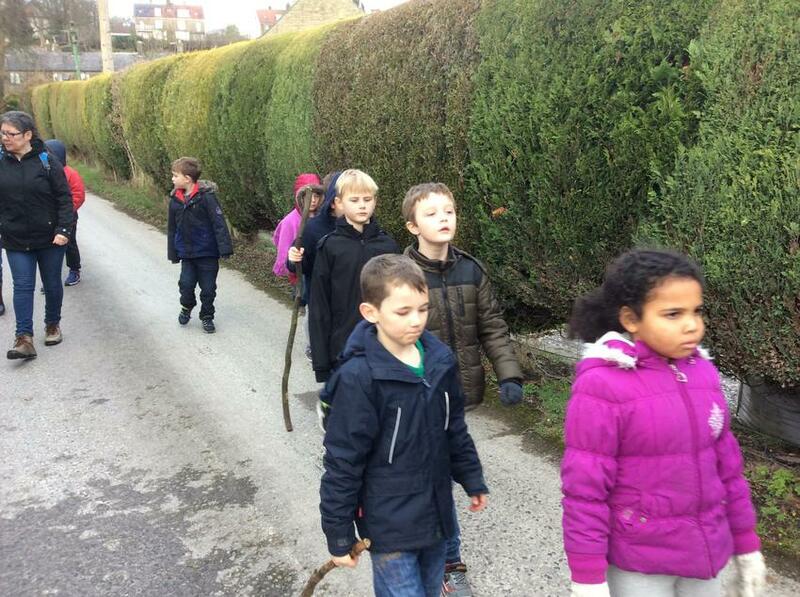 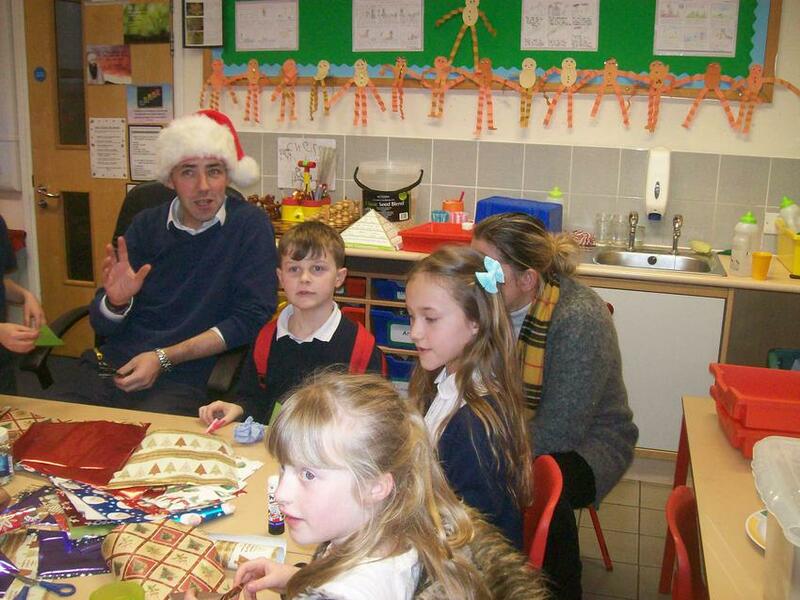 The children have had a fantastic week leading up to Christmas in Tyndale Class. 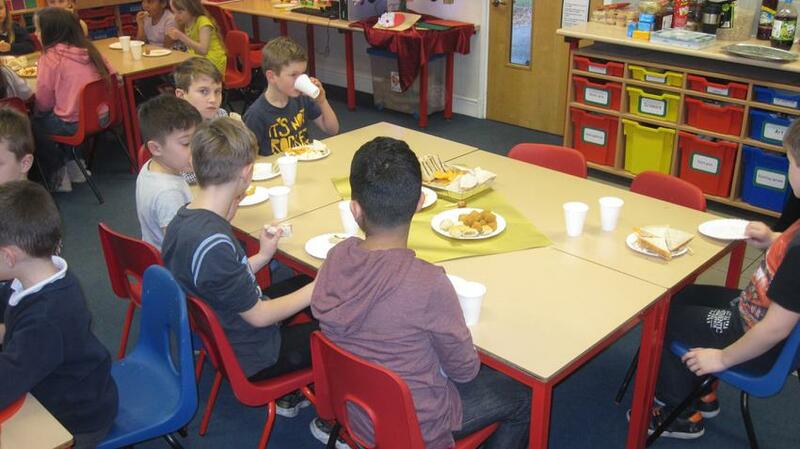 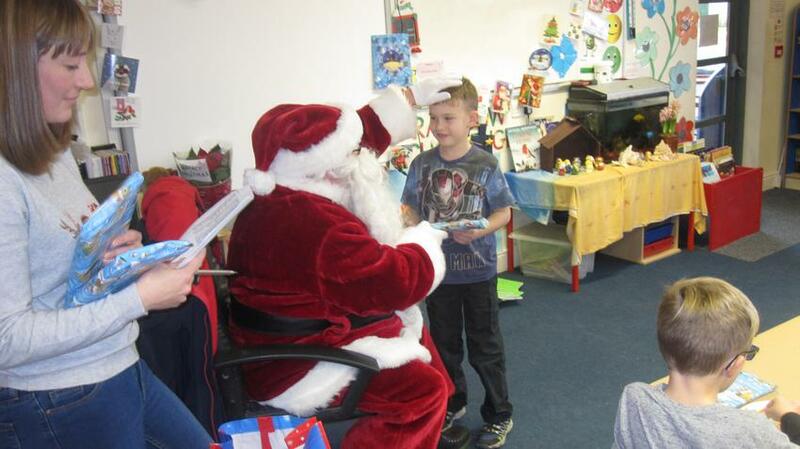 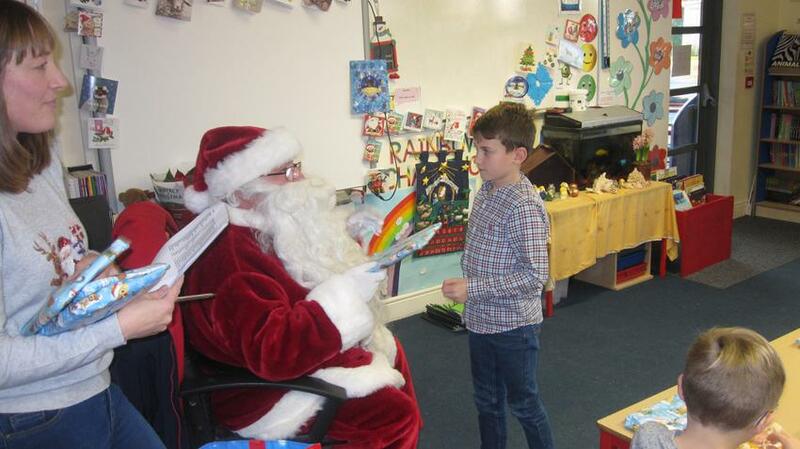 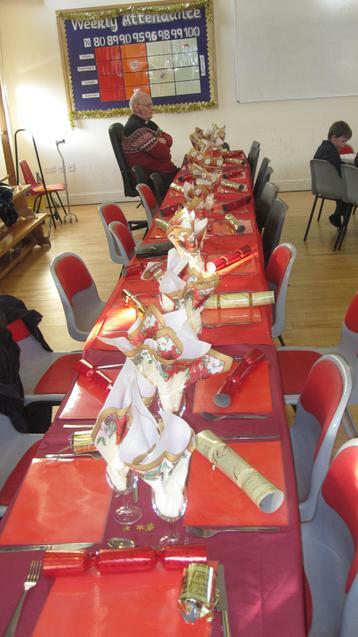 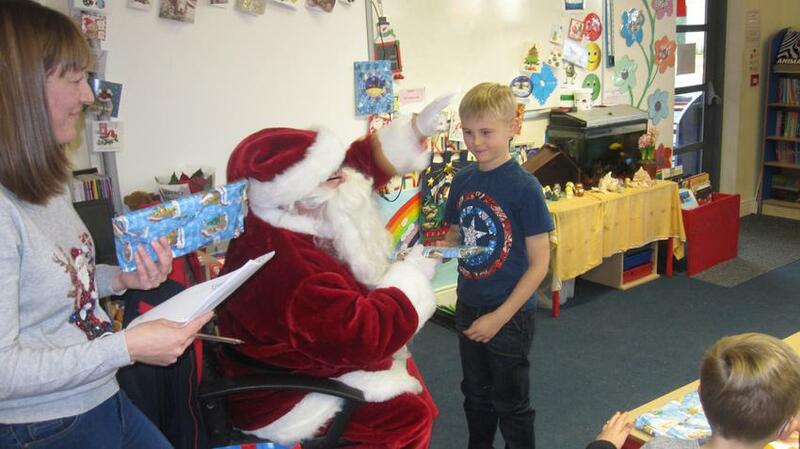 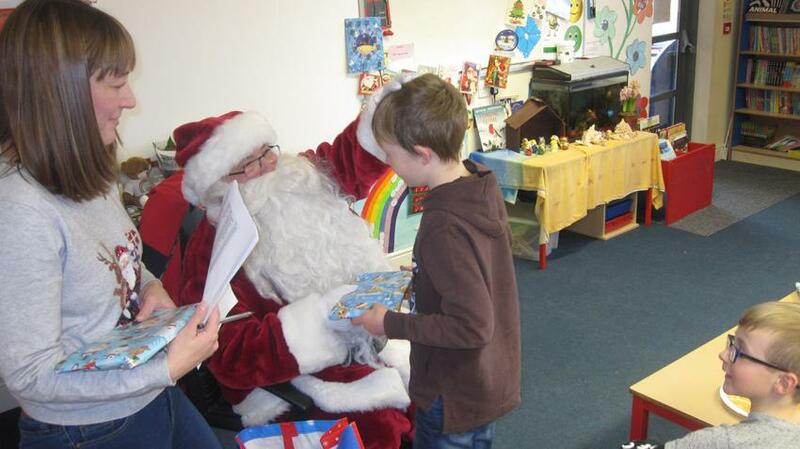 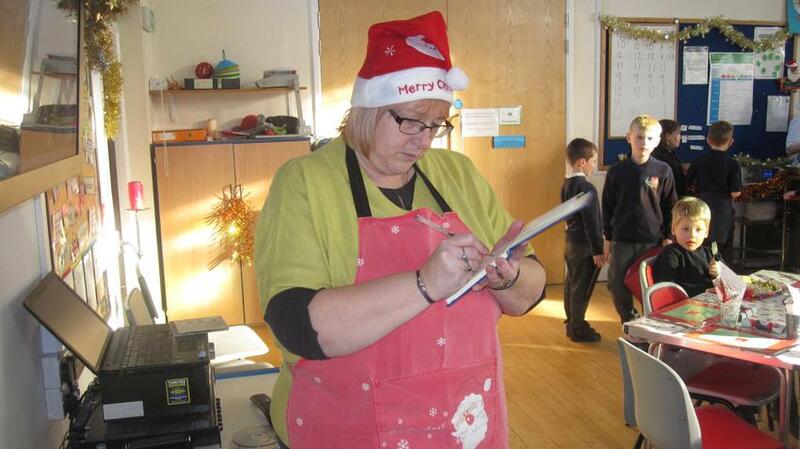 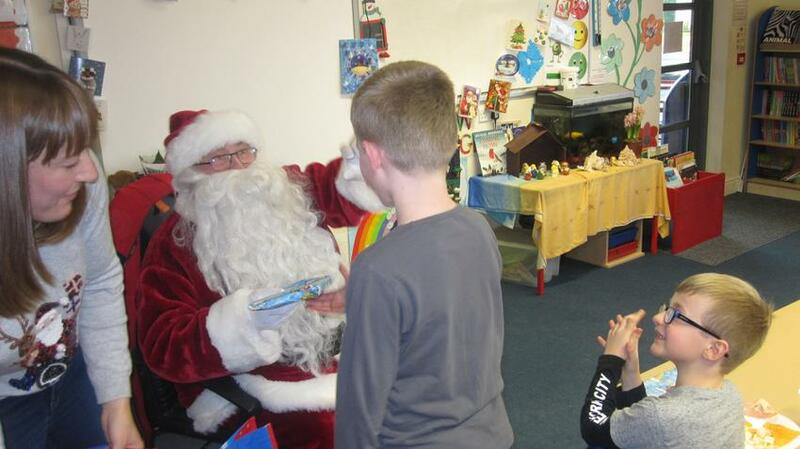 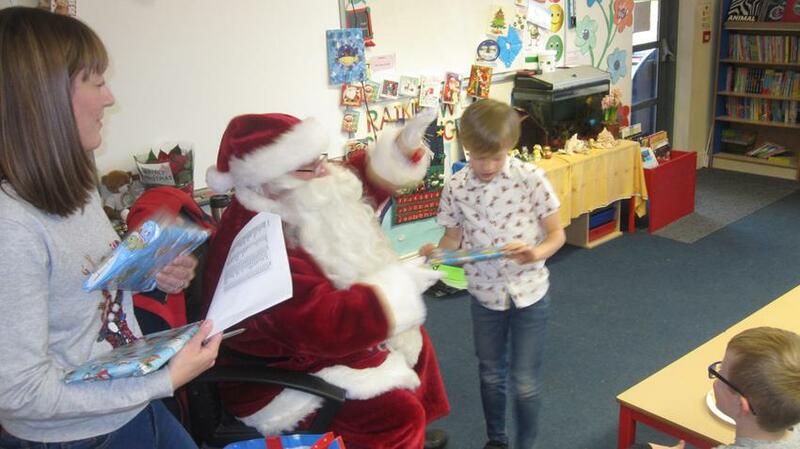 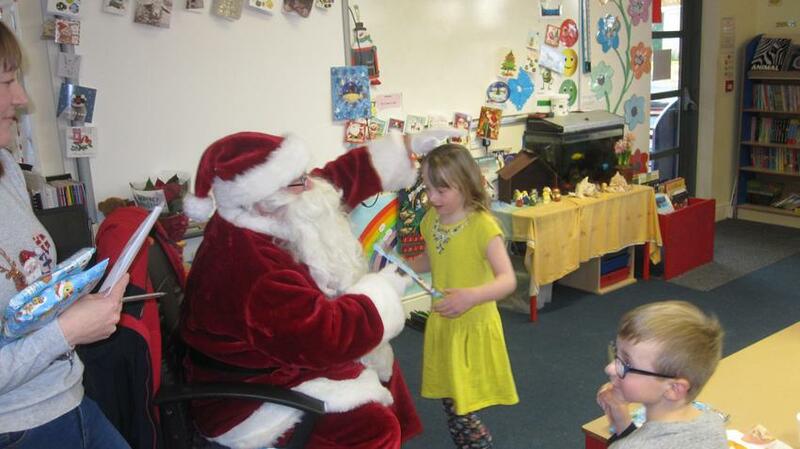 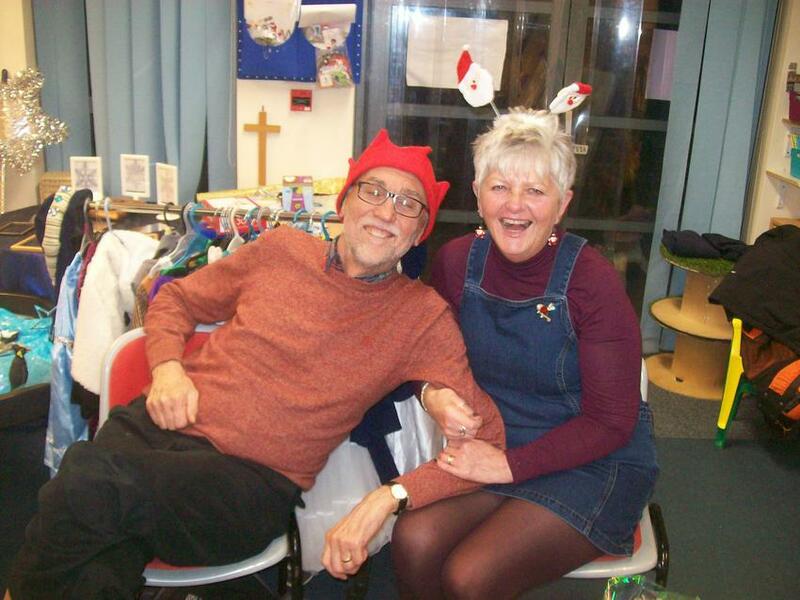 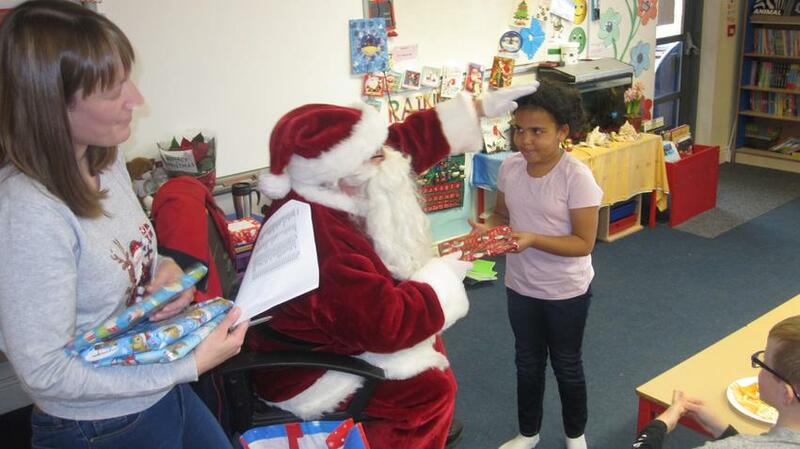 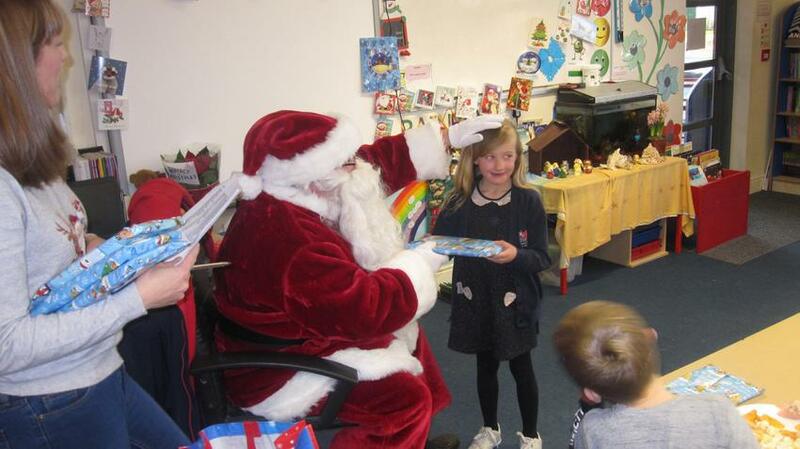 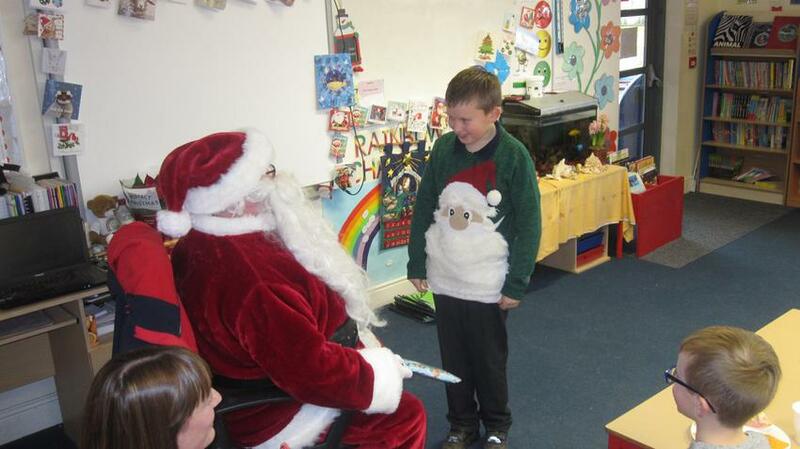 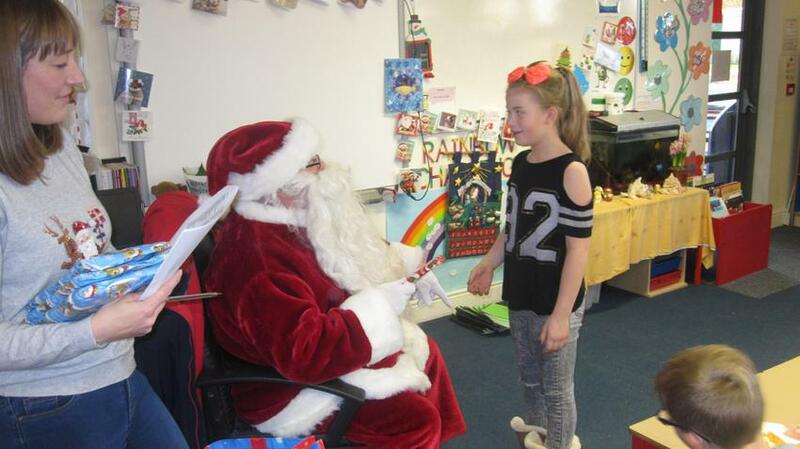 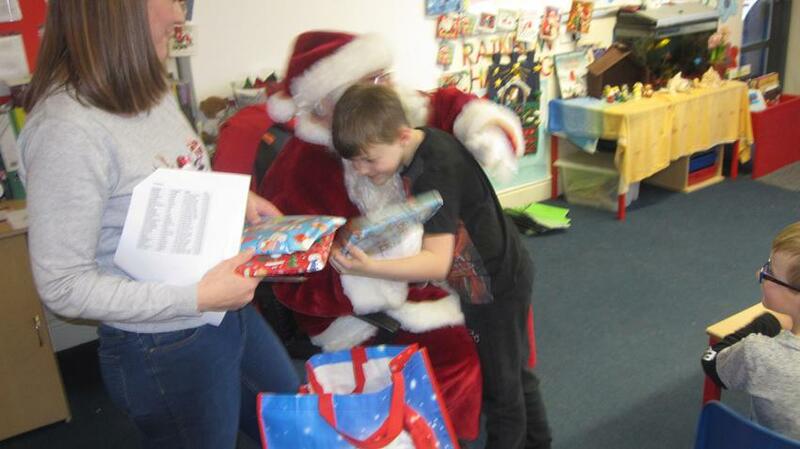 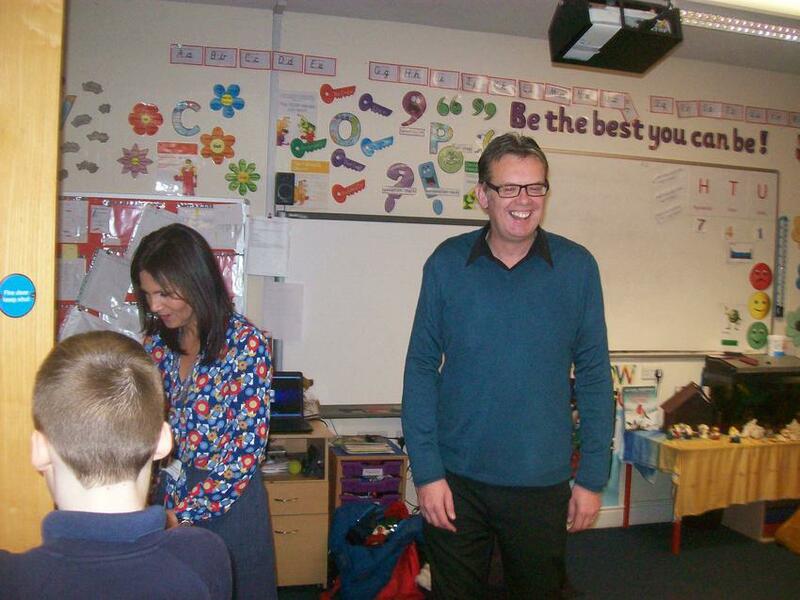 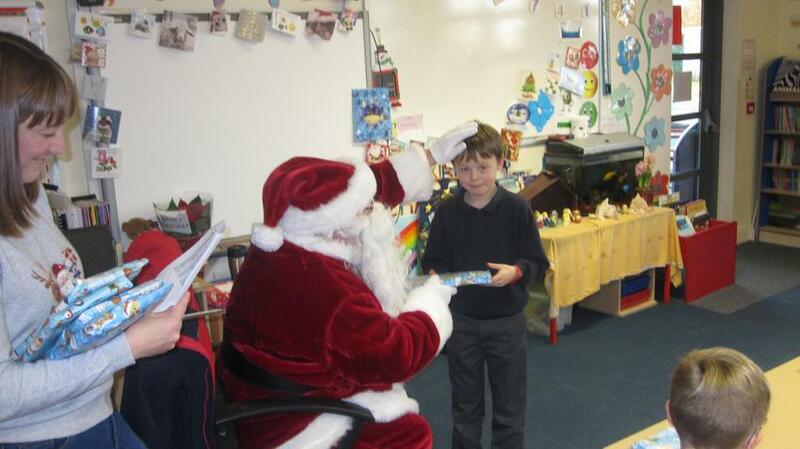 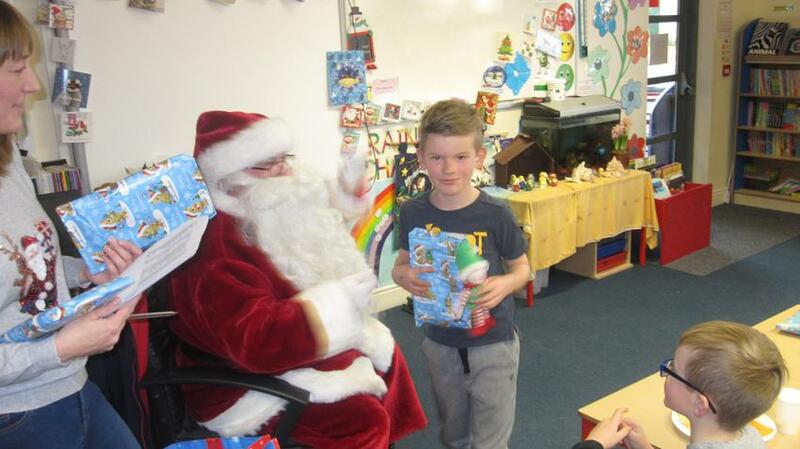 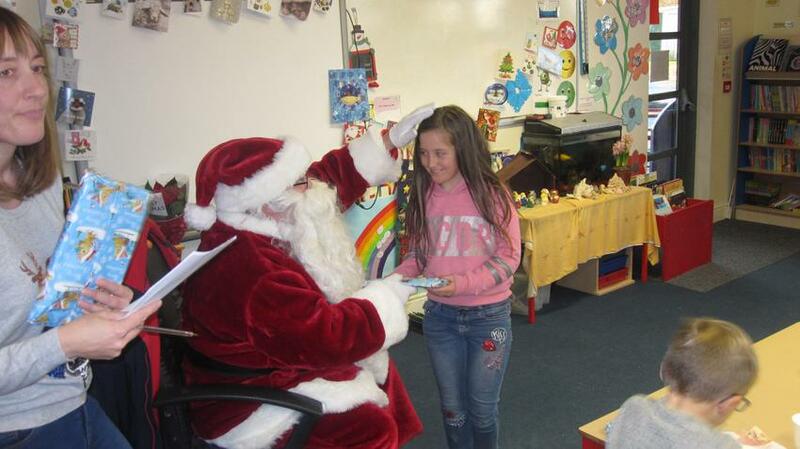 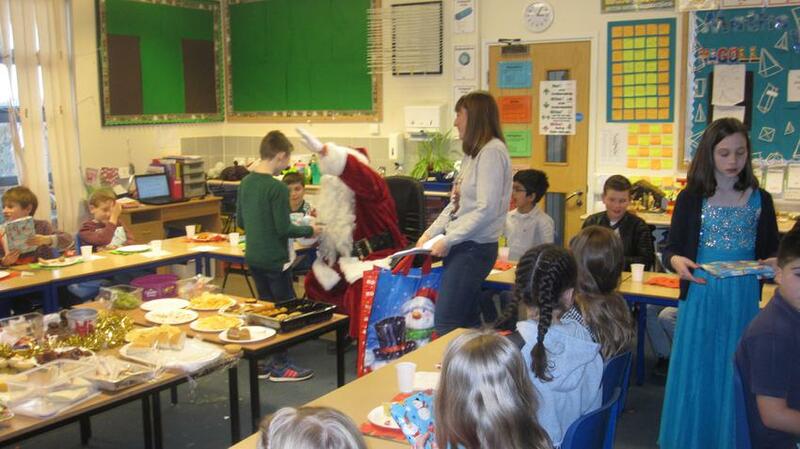 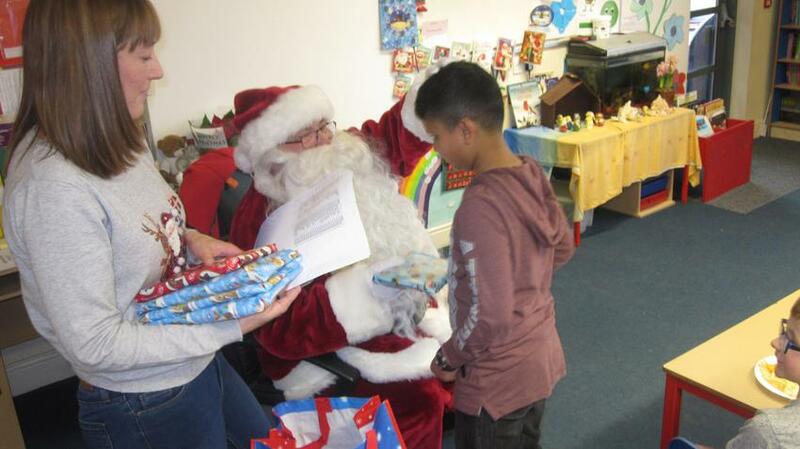 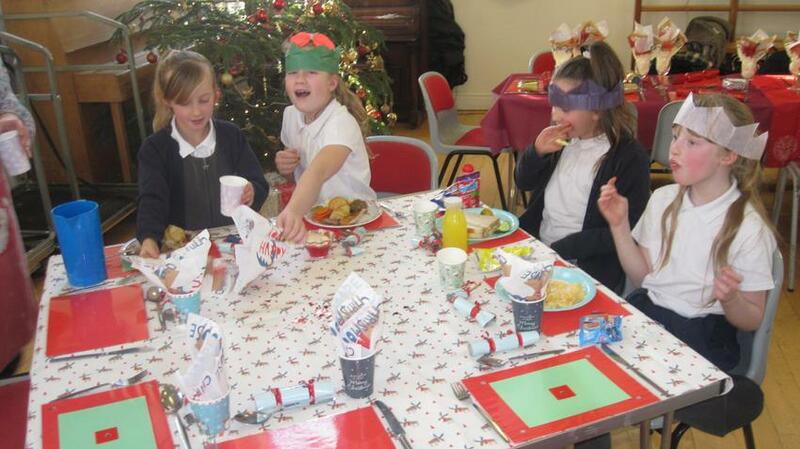 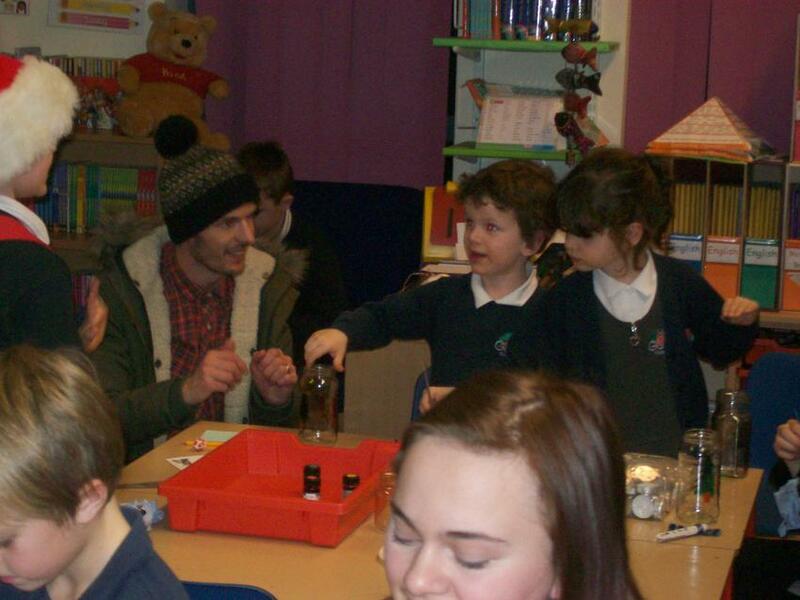 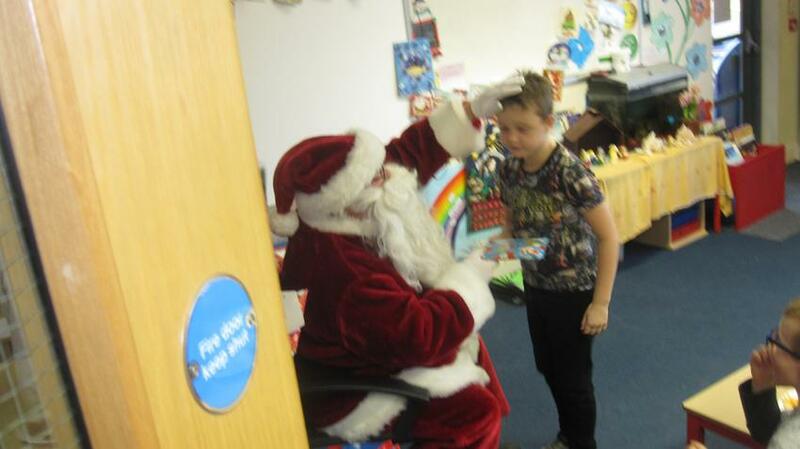 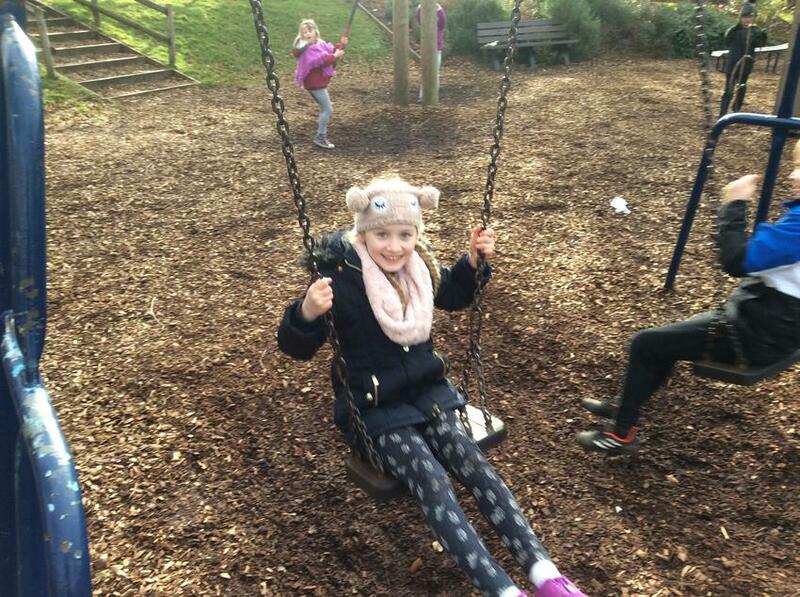 On Monday they had their Christmas party with a visit from a special person. 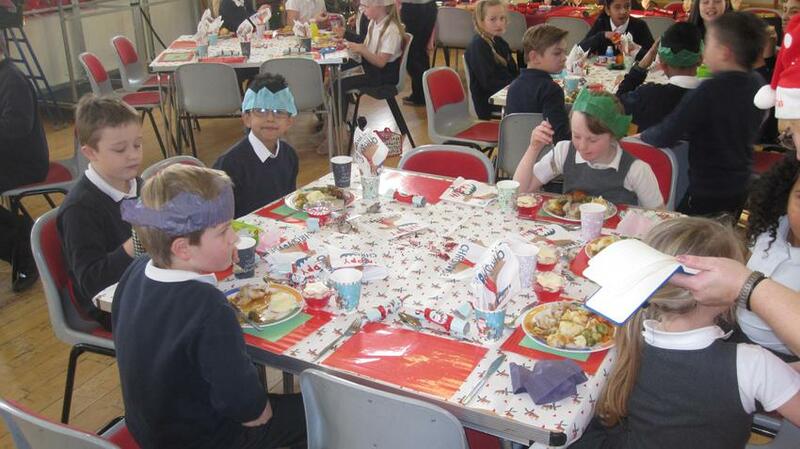 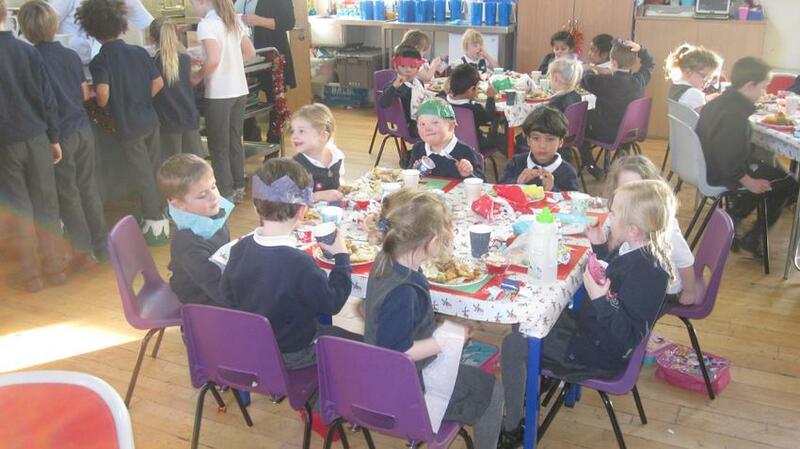 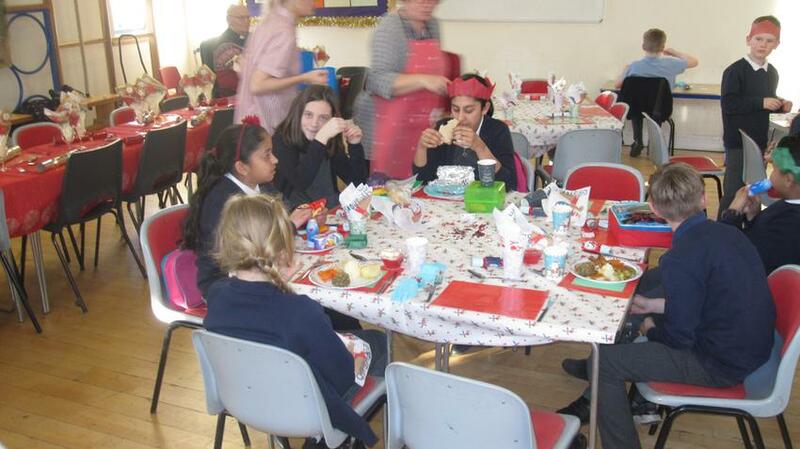 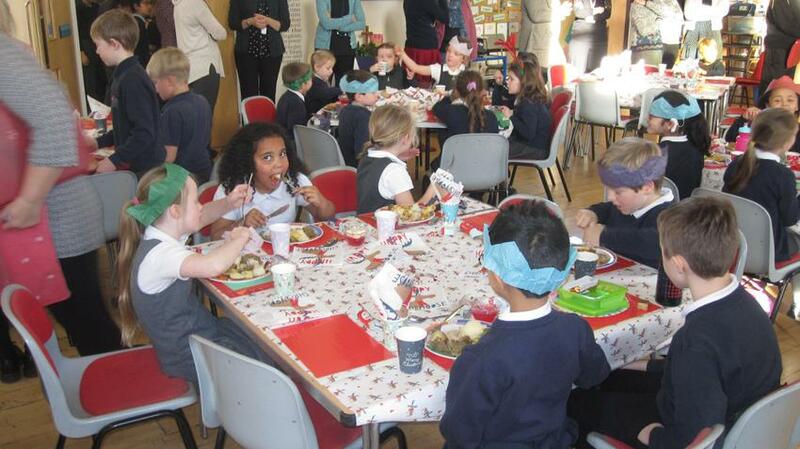 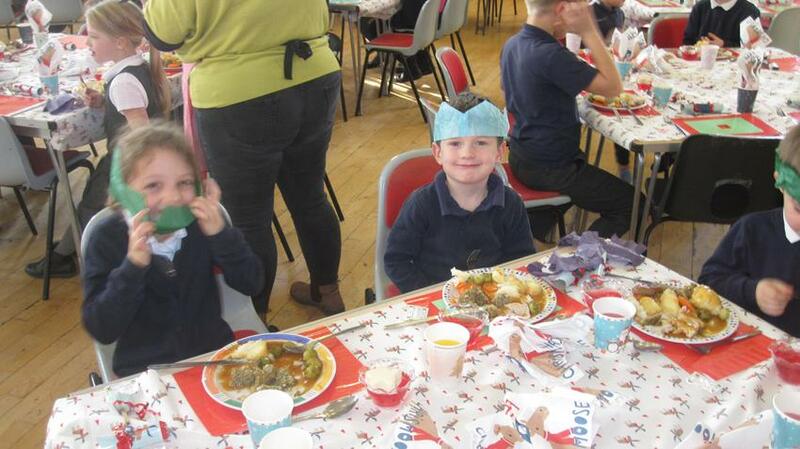 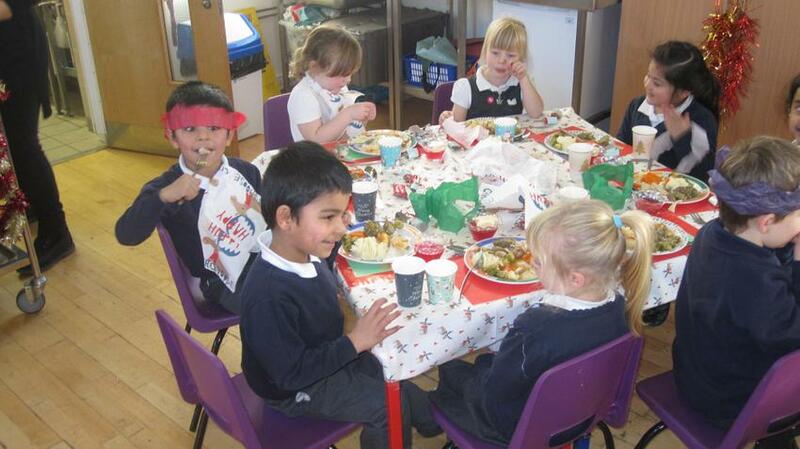 Tuesday was Christmas Lunch including Christmas Pudding. 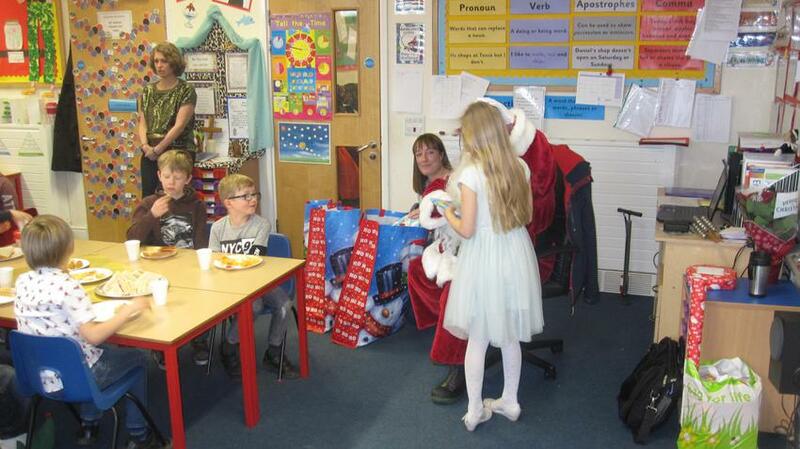 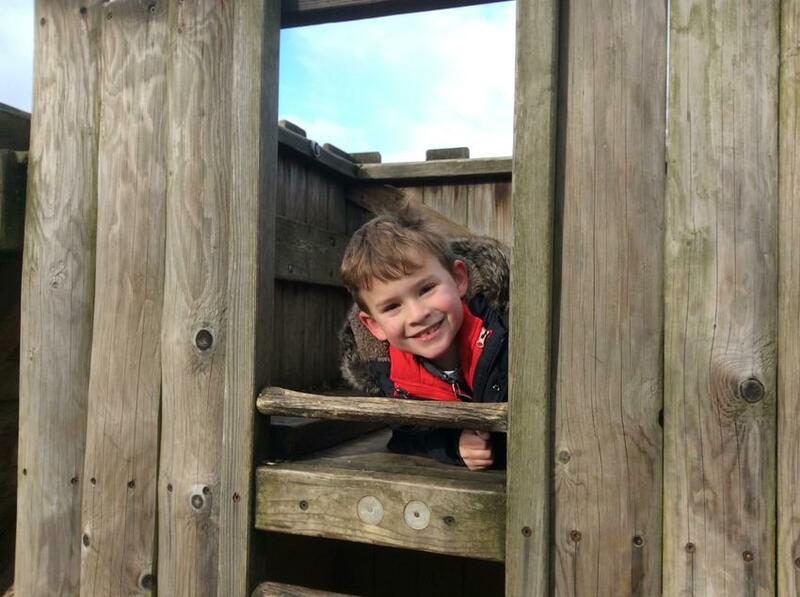 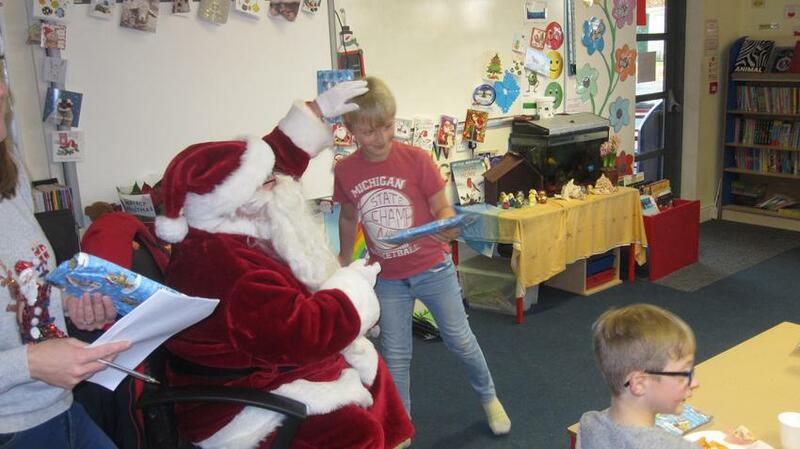 On Wednesday the whole class went to Sundown Adventureland to see Santa in his Grotto. 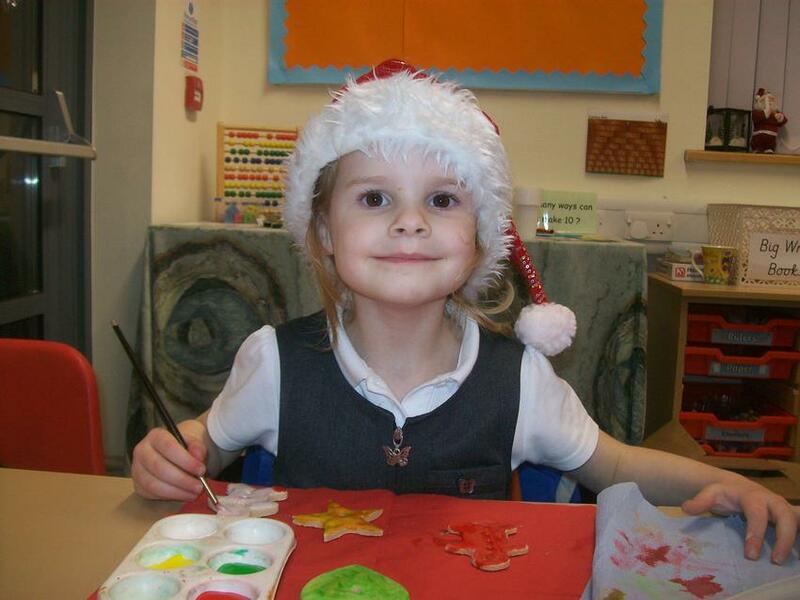 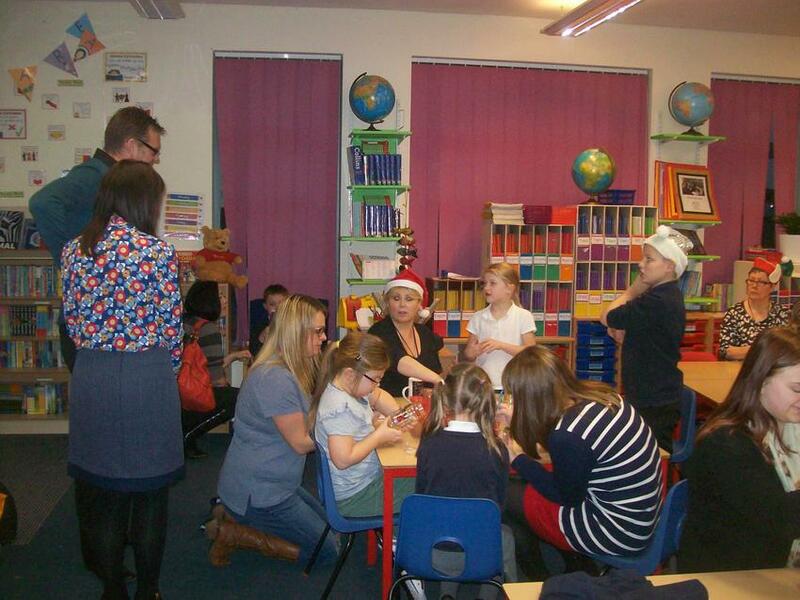 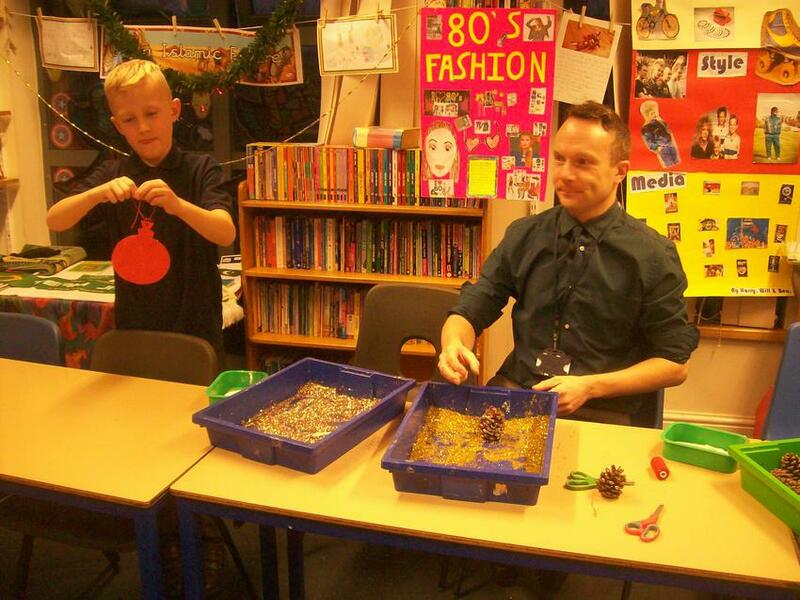 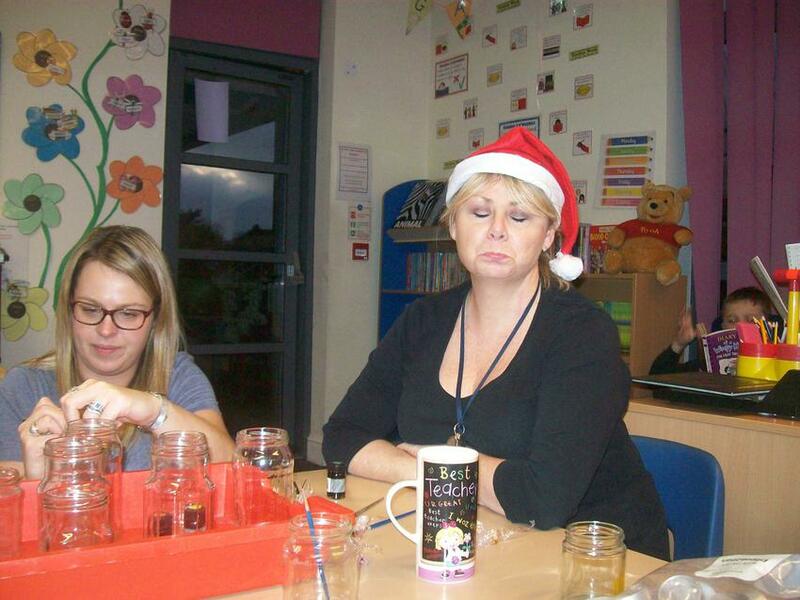 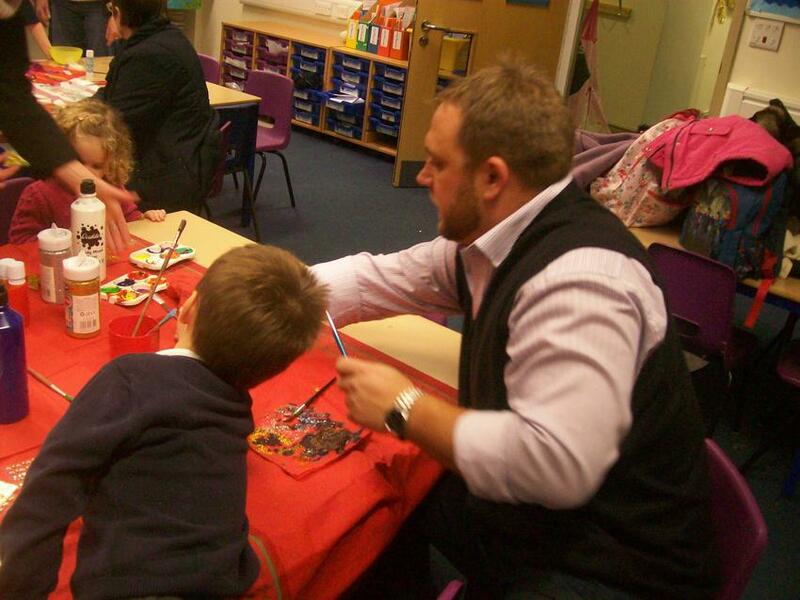 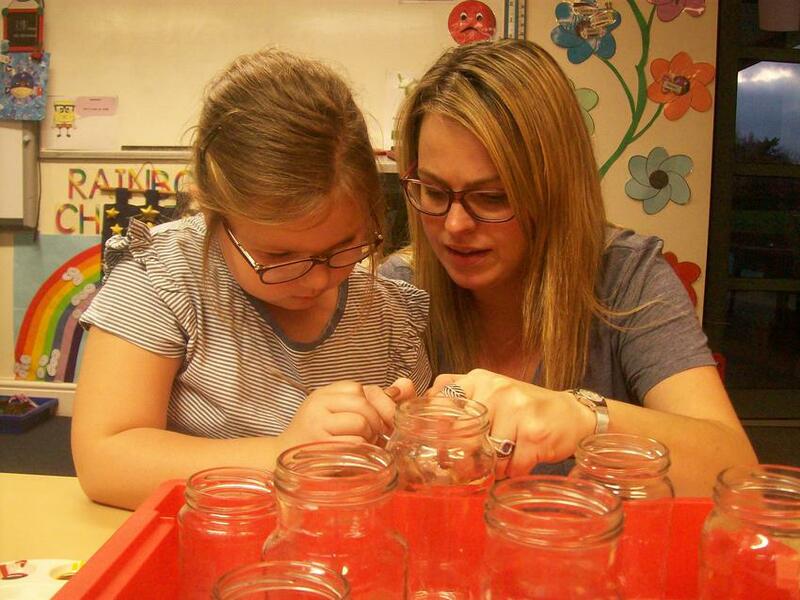 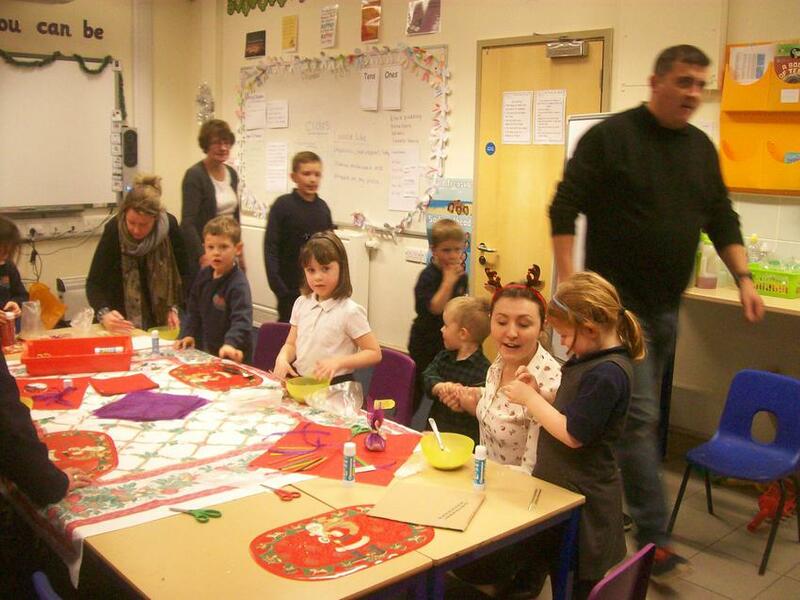 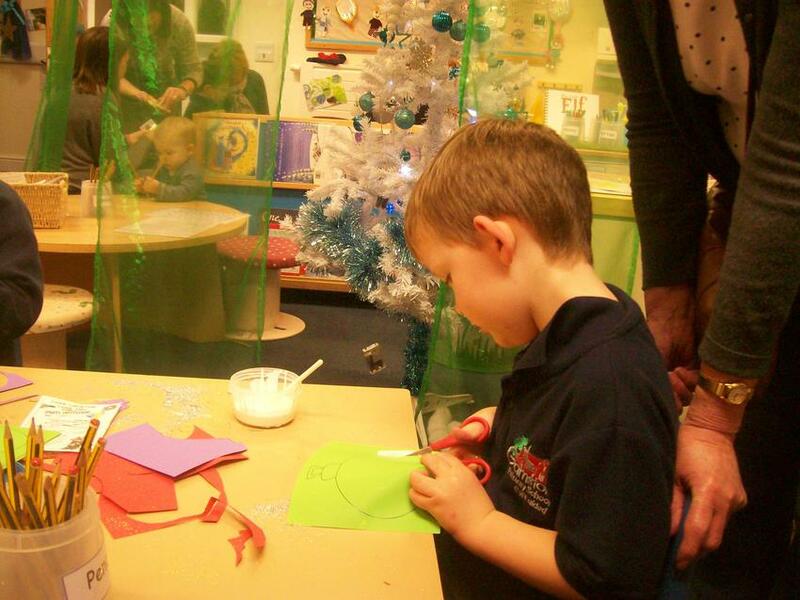 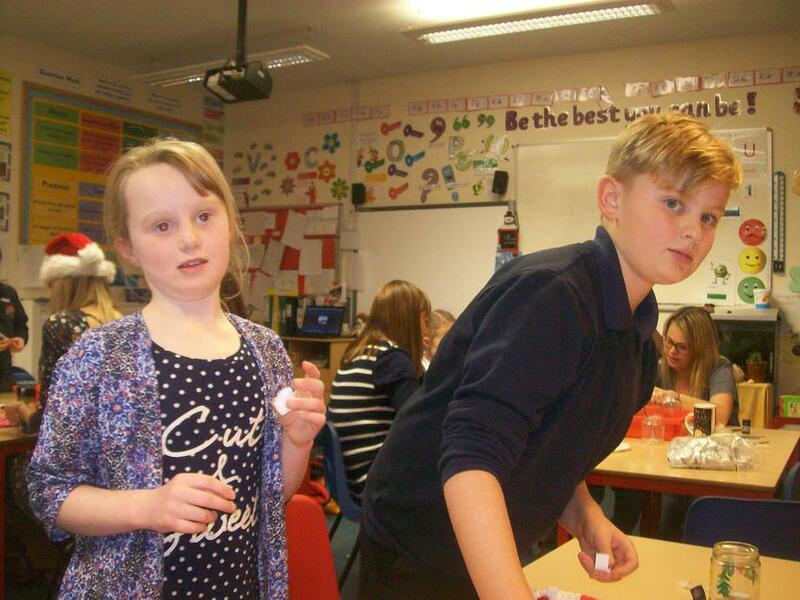 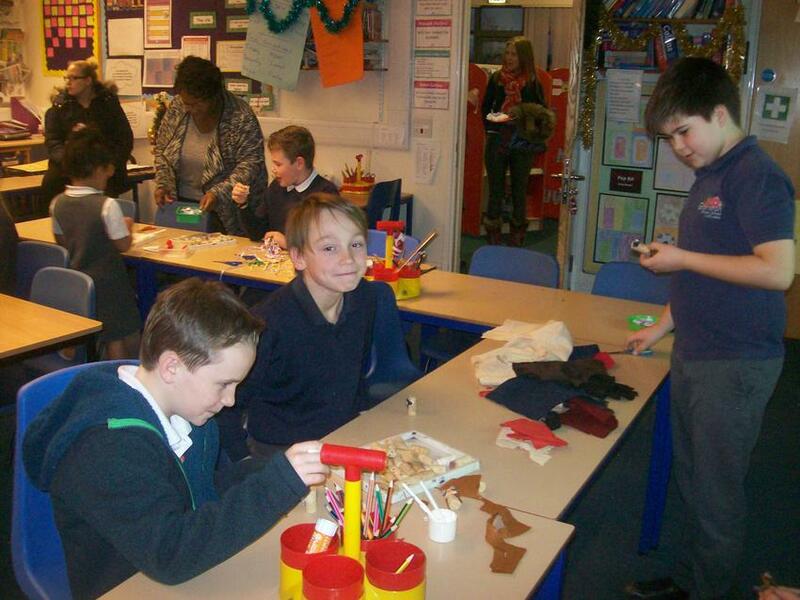 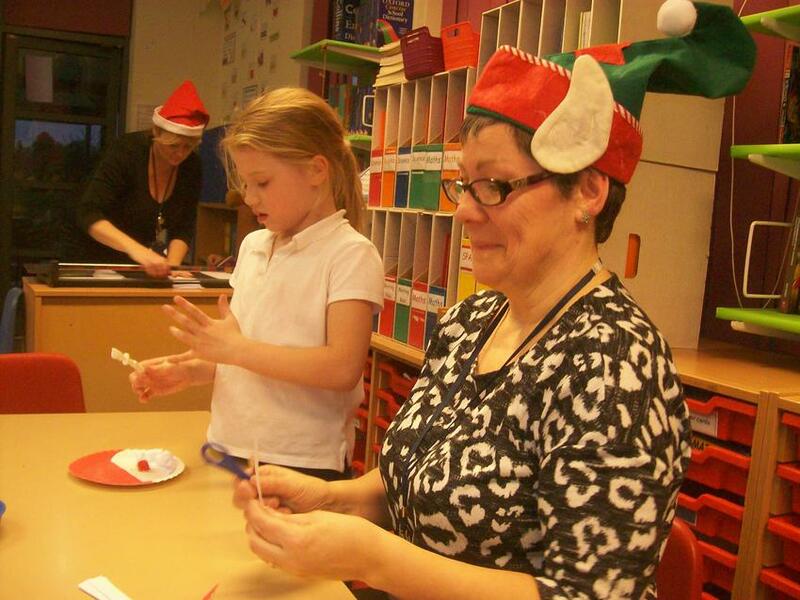 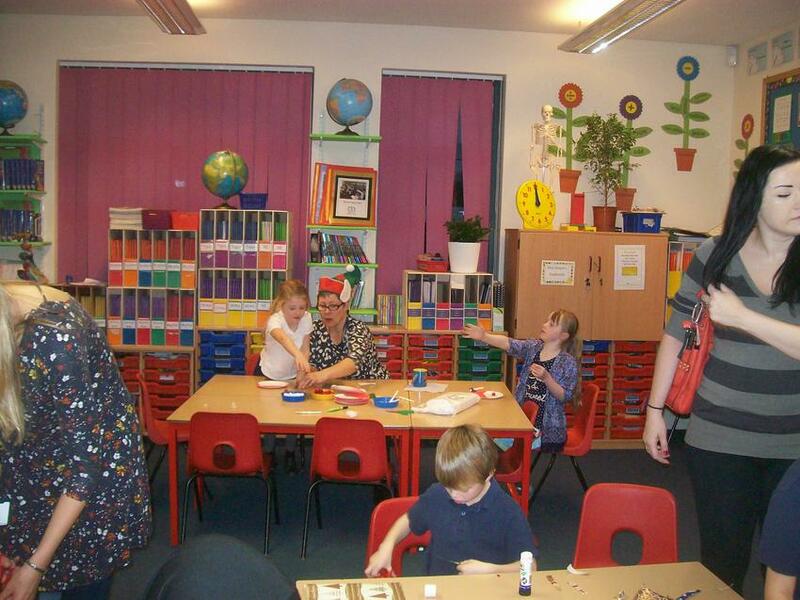 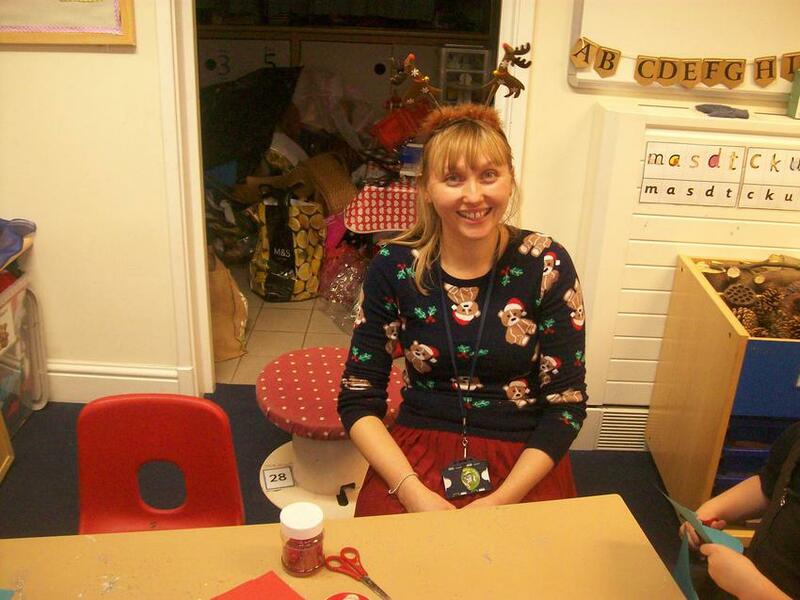 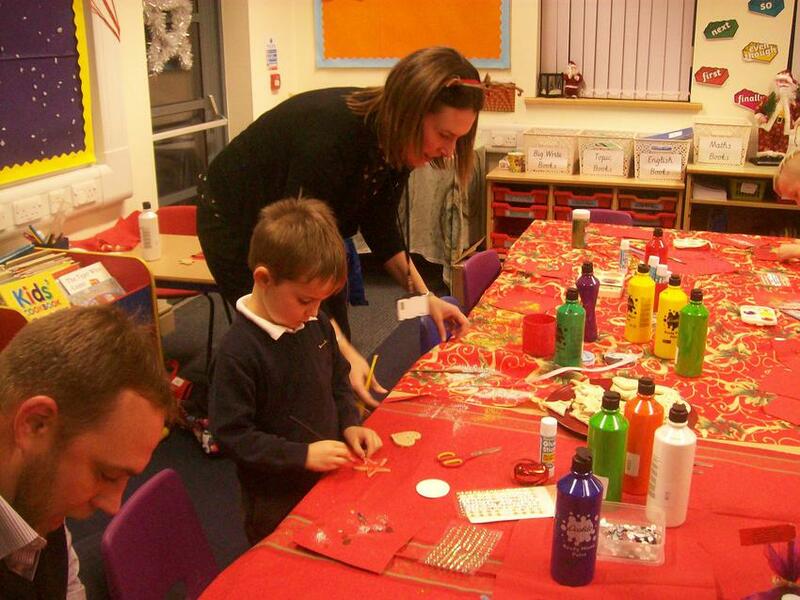 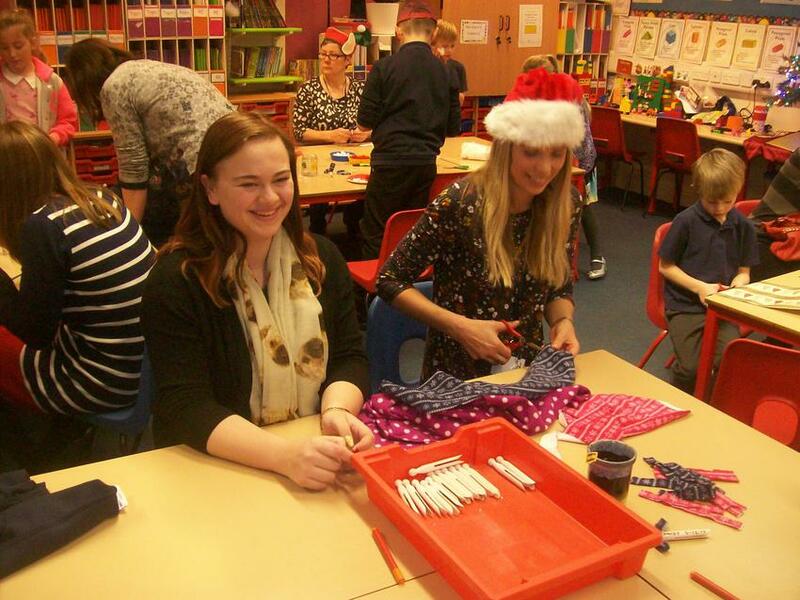 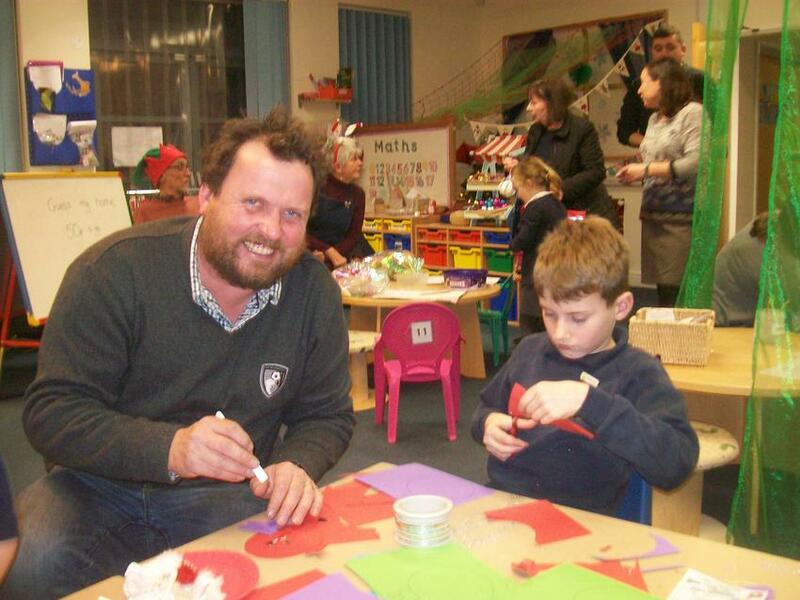 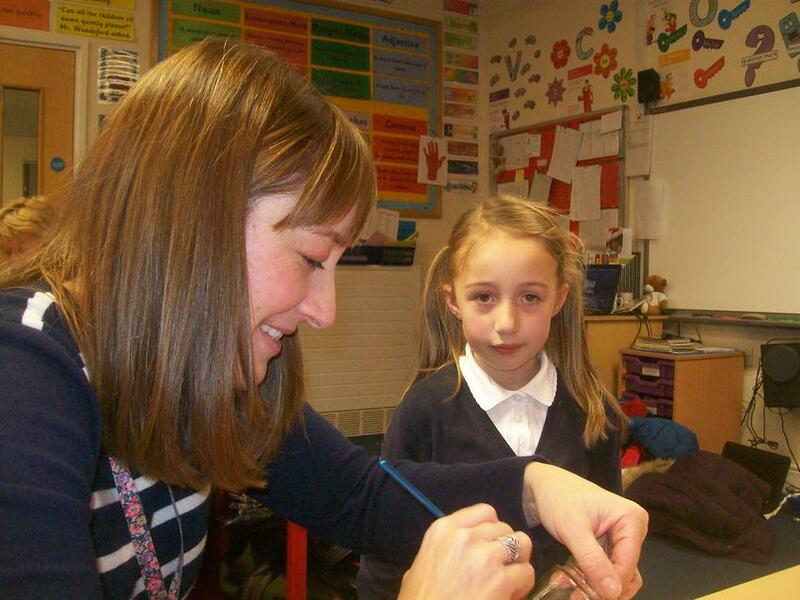 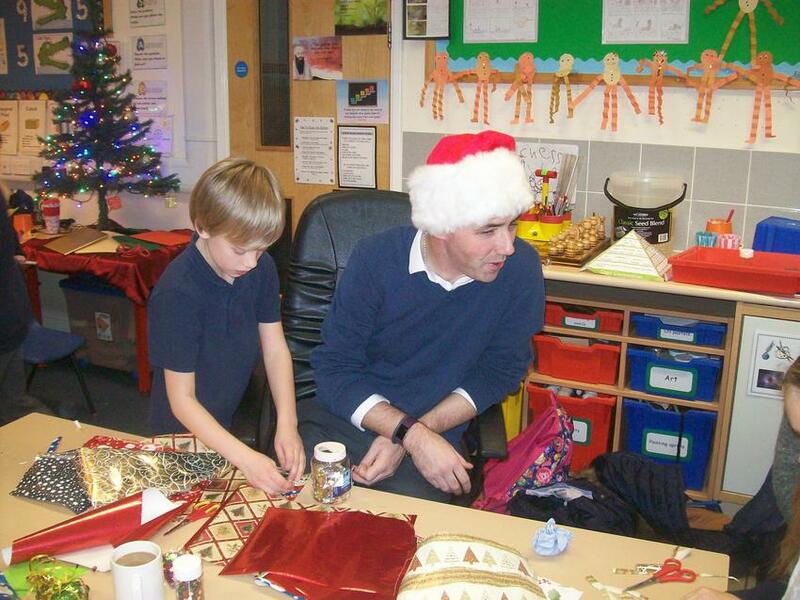 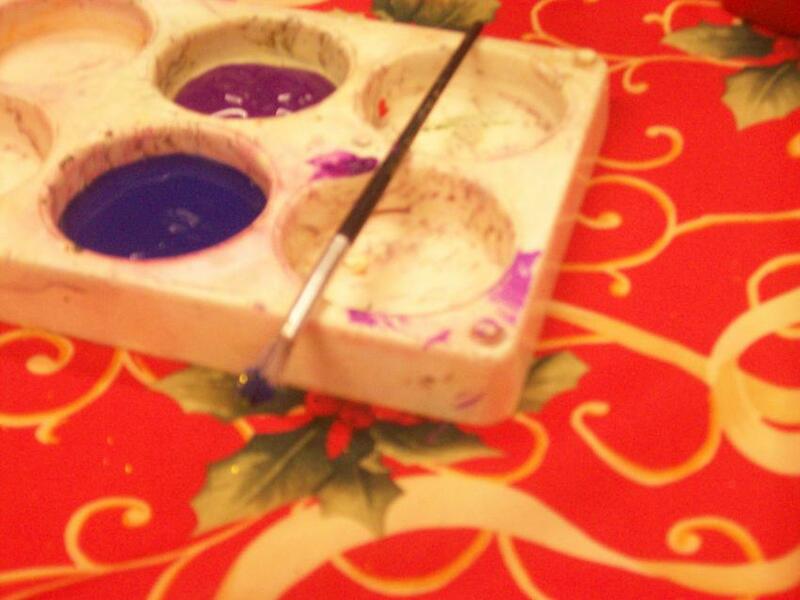 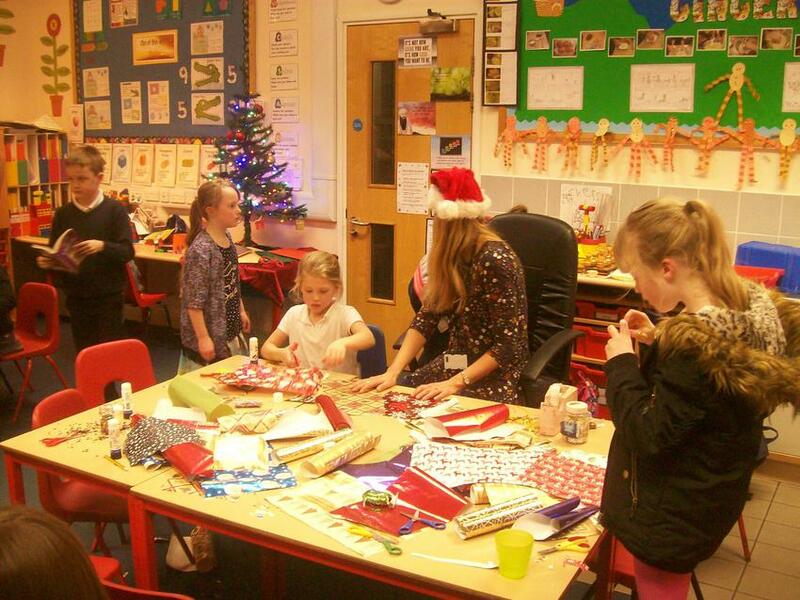 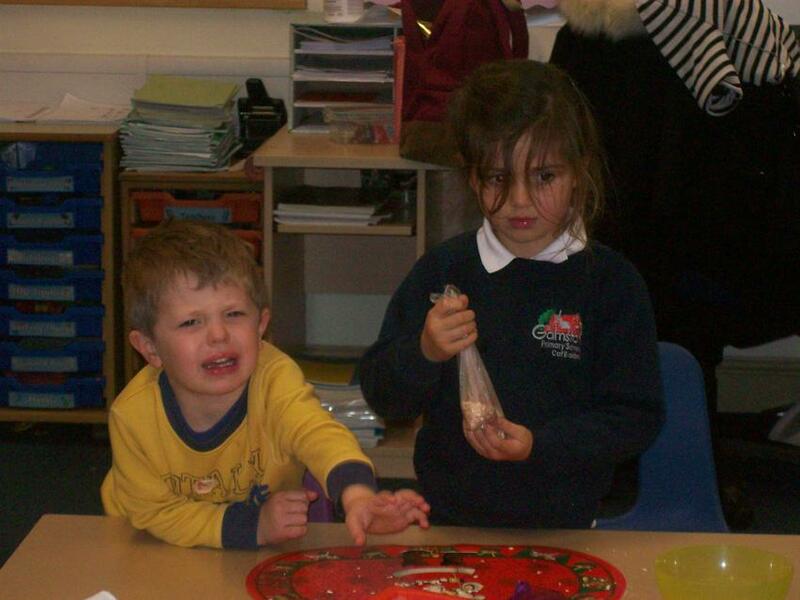 Here are a selection of photographs from the Christmas Craft Evening. 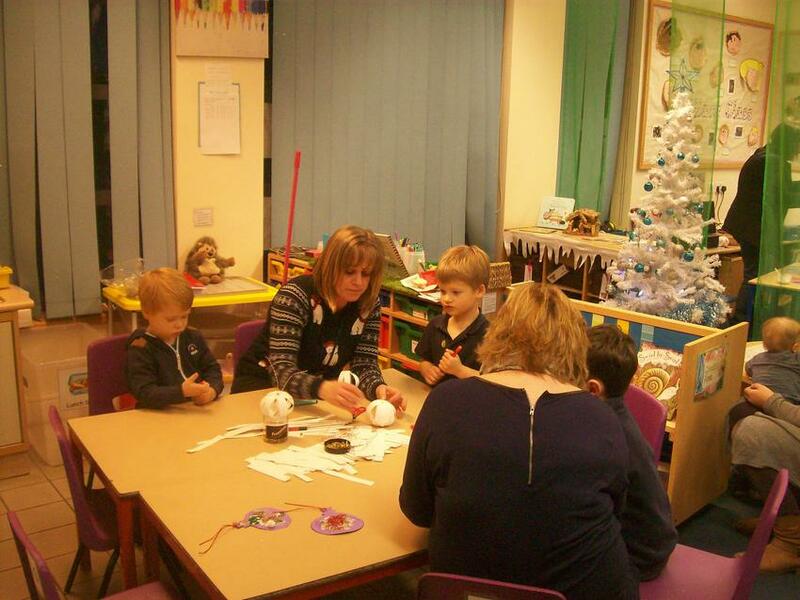 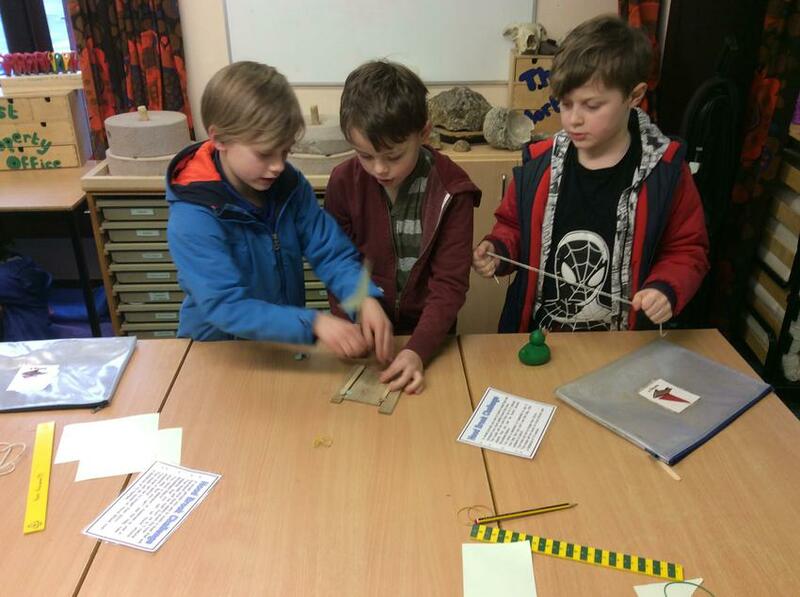 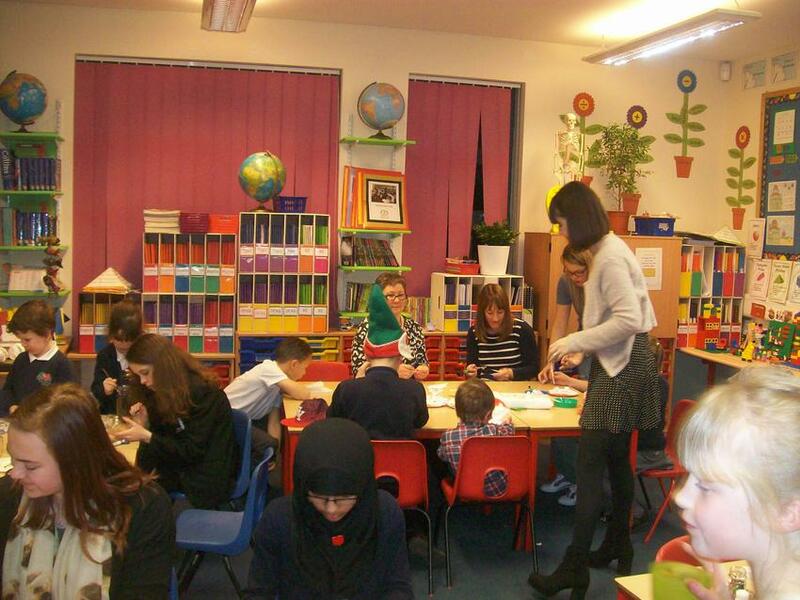 A big thank-you for visiting Tyndale and enjoying the different craft activities. 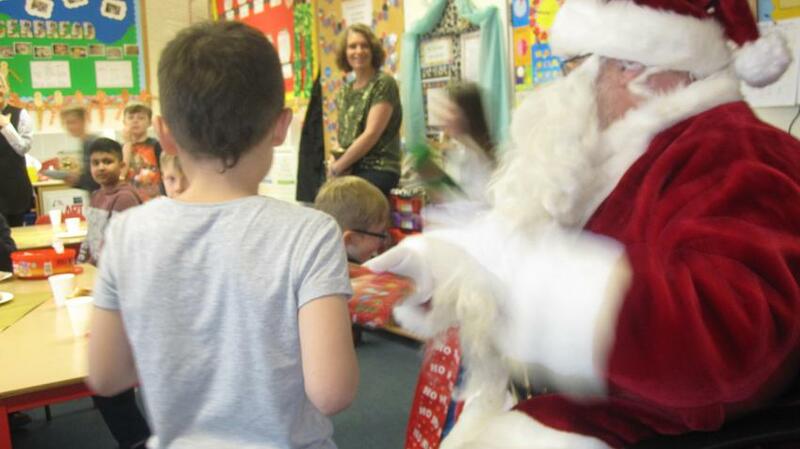 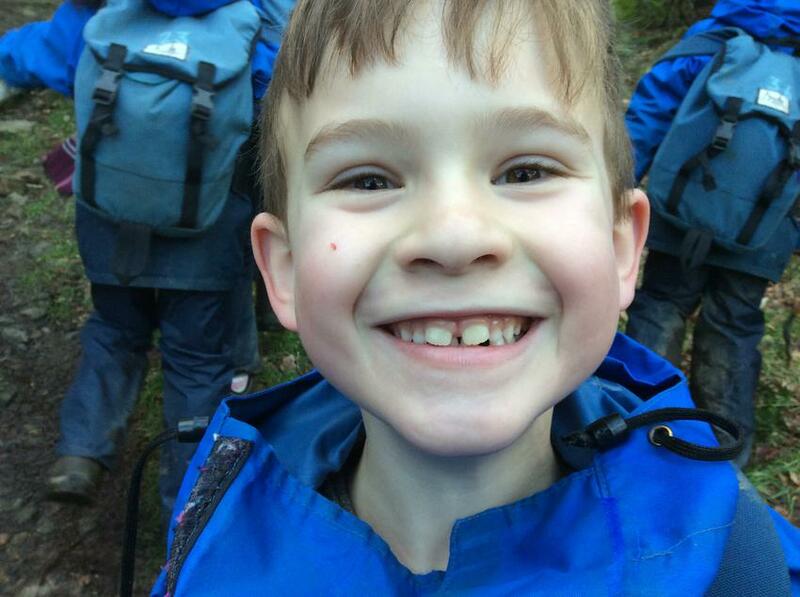 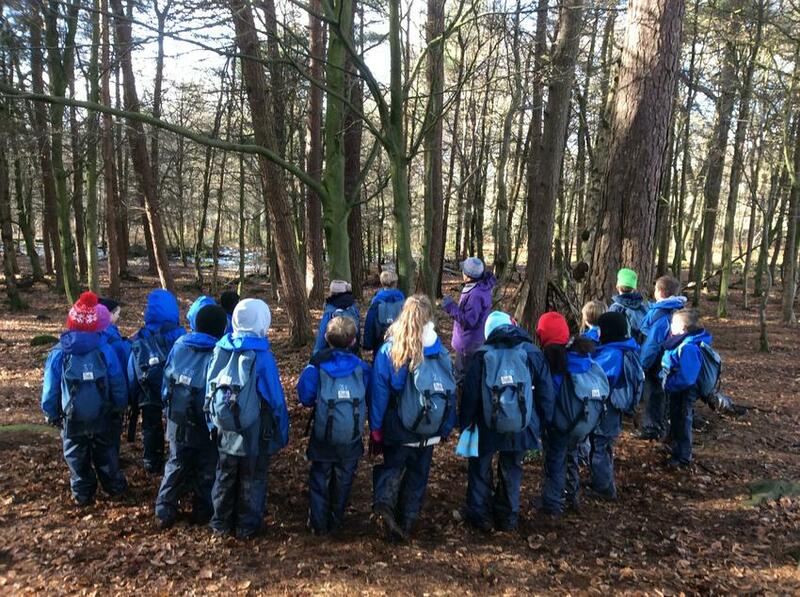 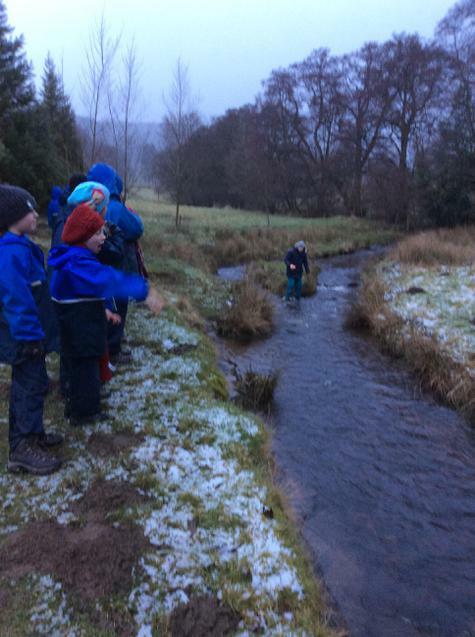 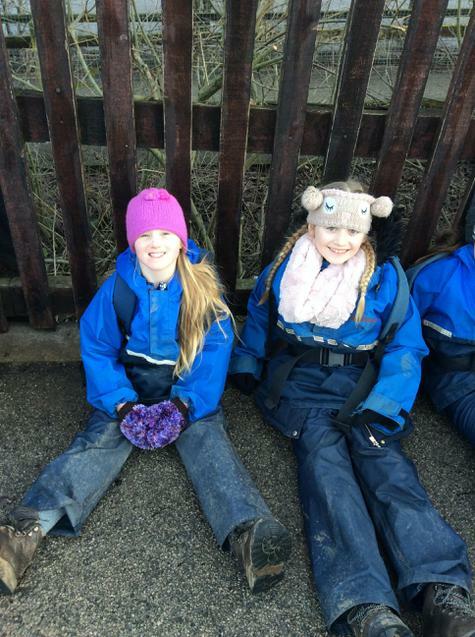 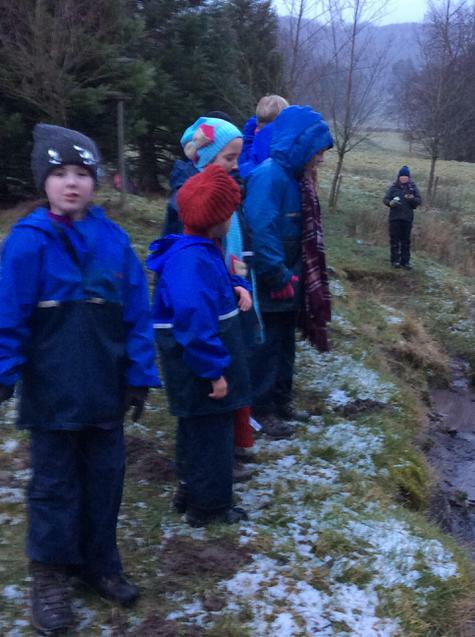 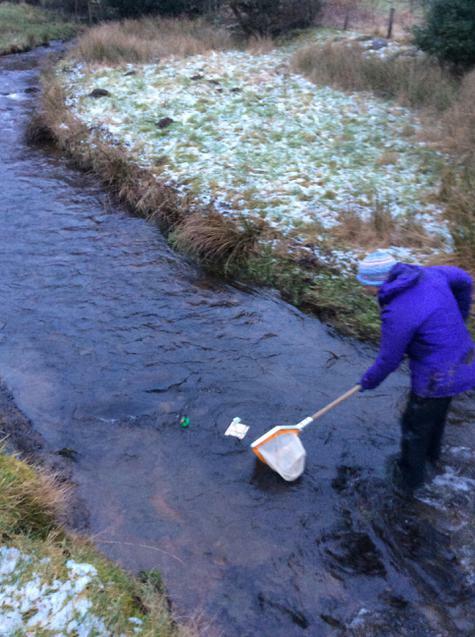 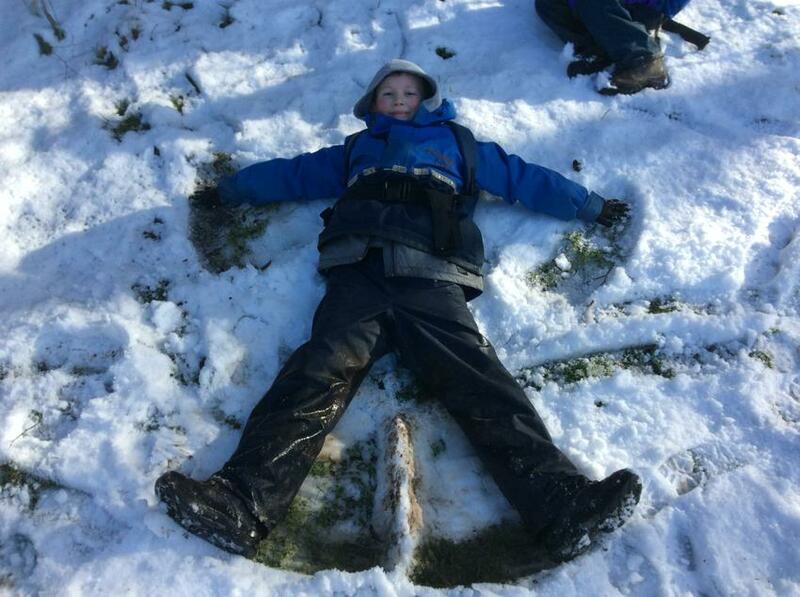 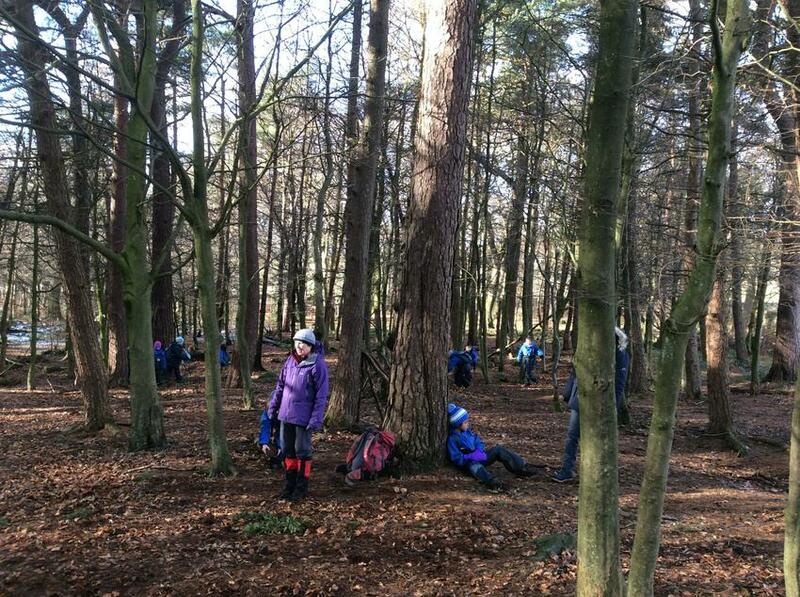 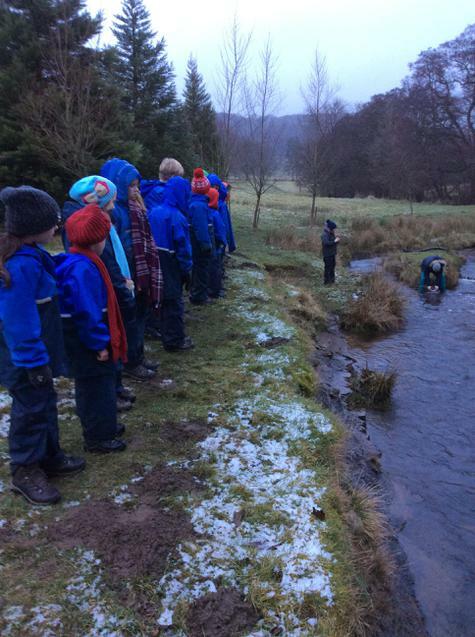 A Fantastic day was had by all the children and staff in Tyndale Class. 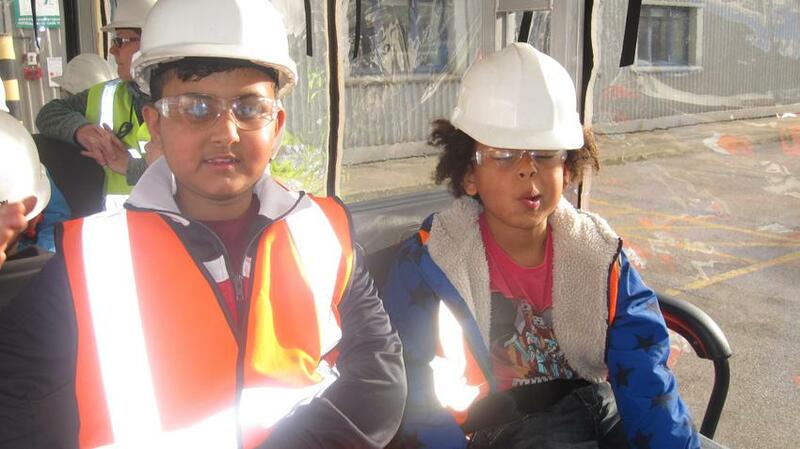 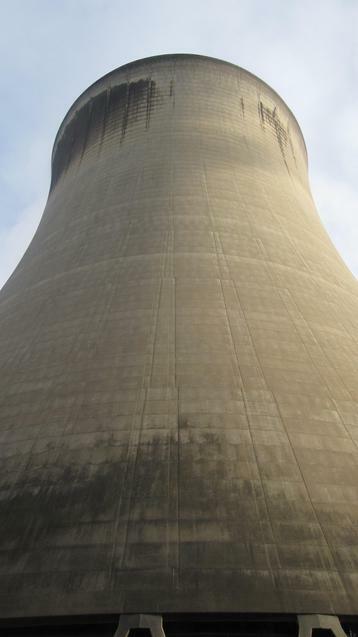 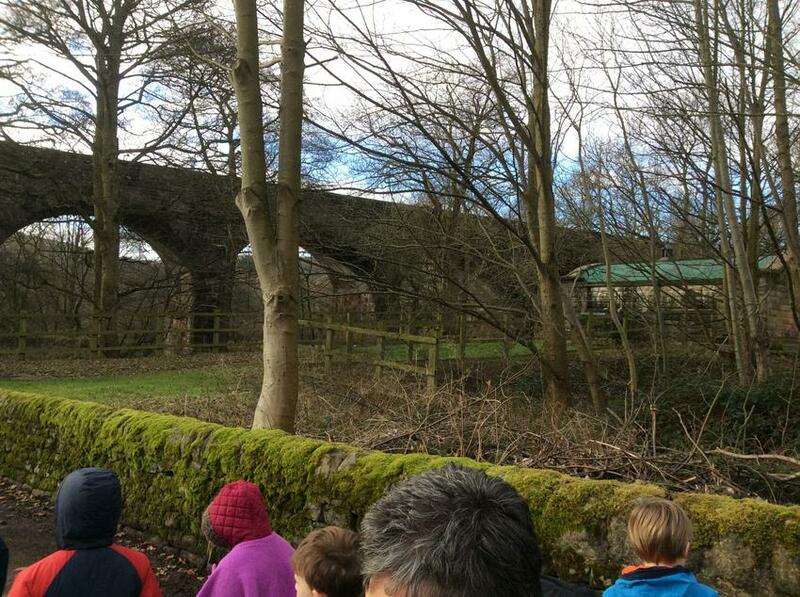 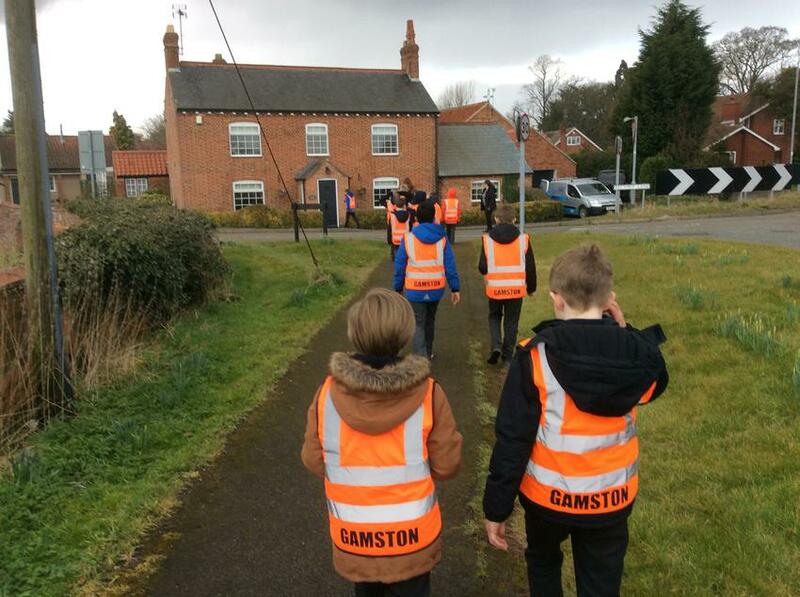 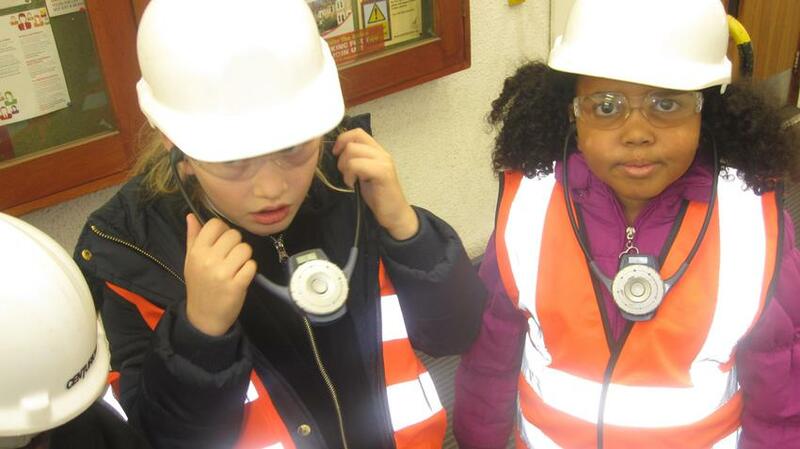 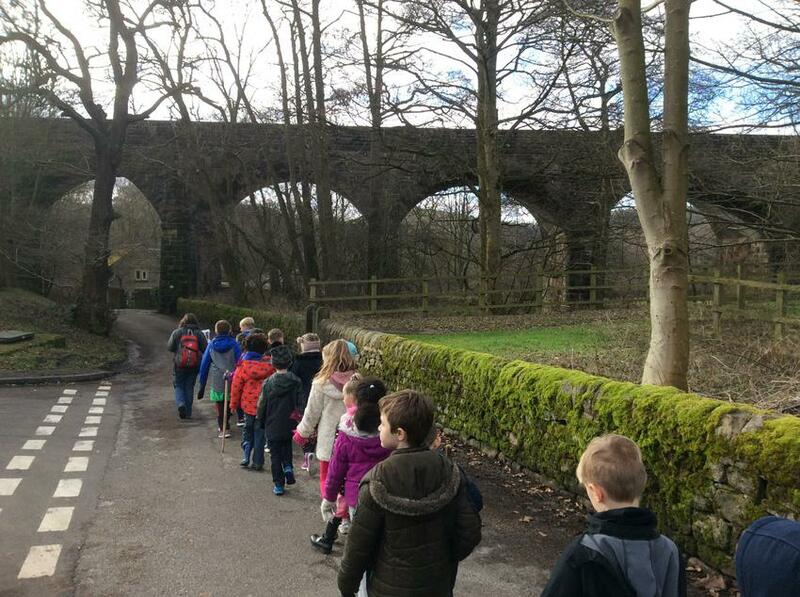 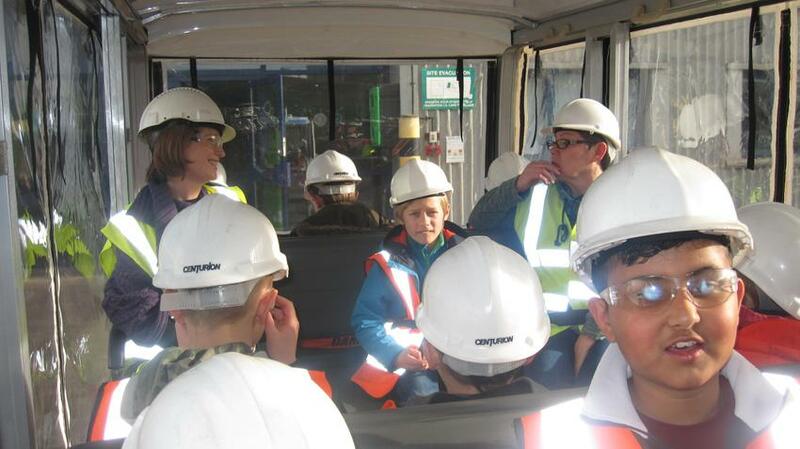 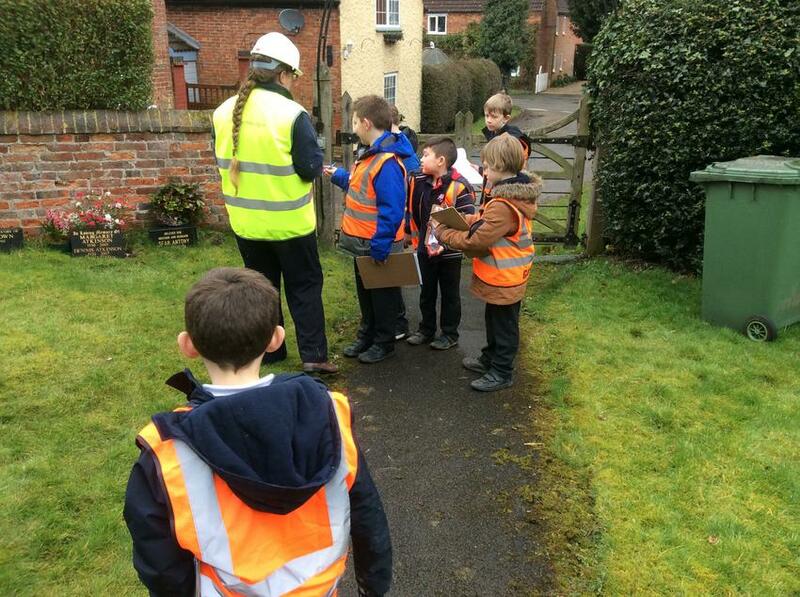 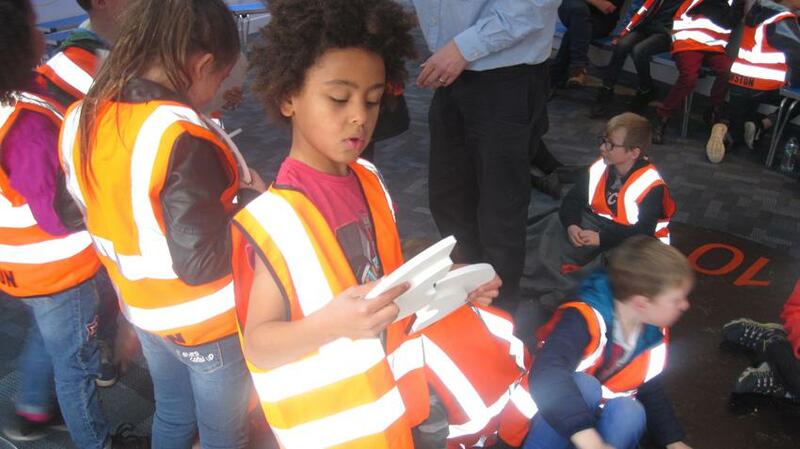 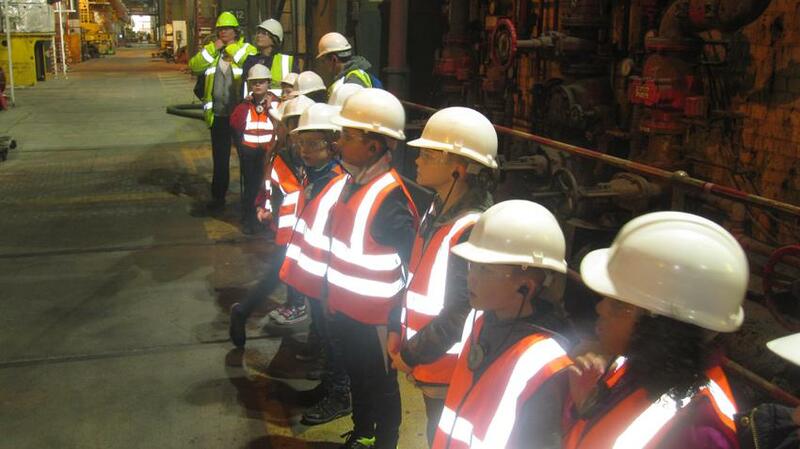 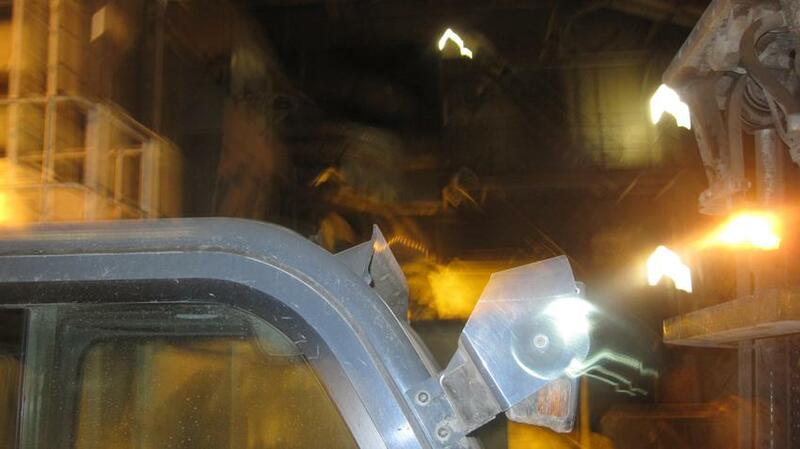 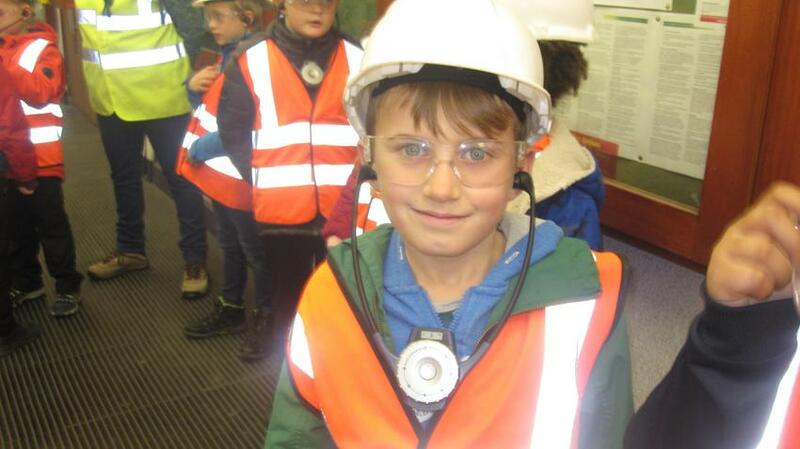 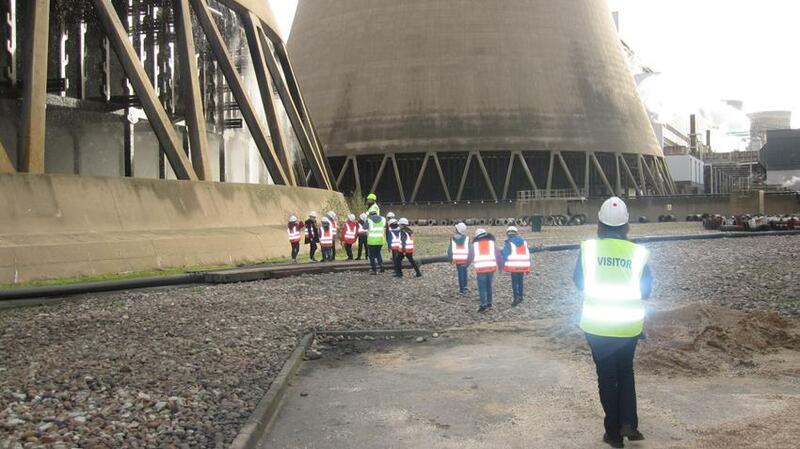 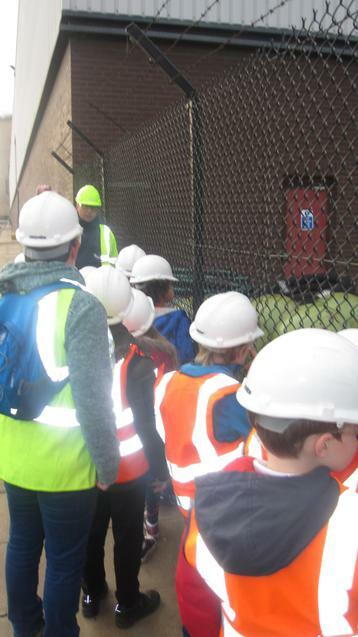 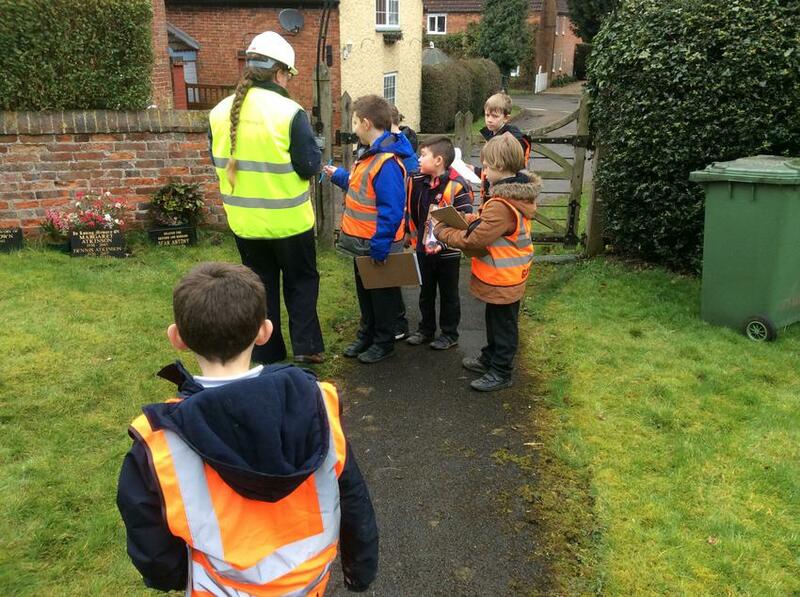 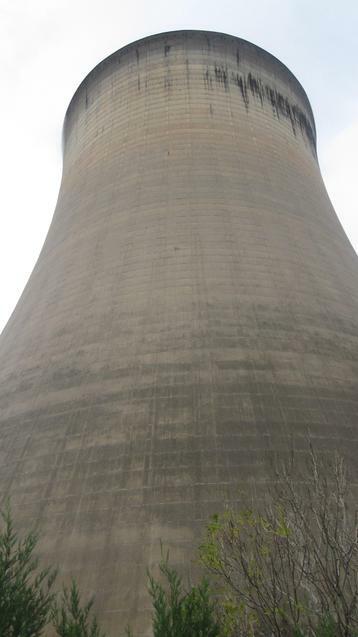 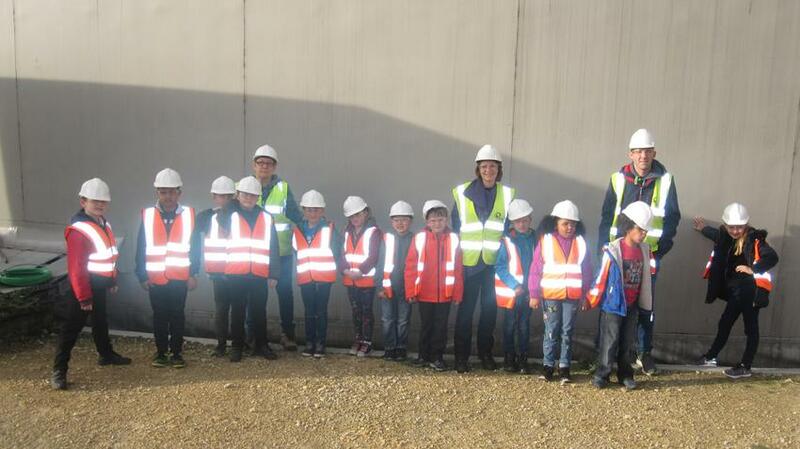 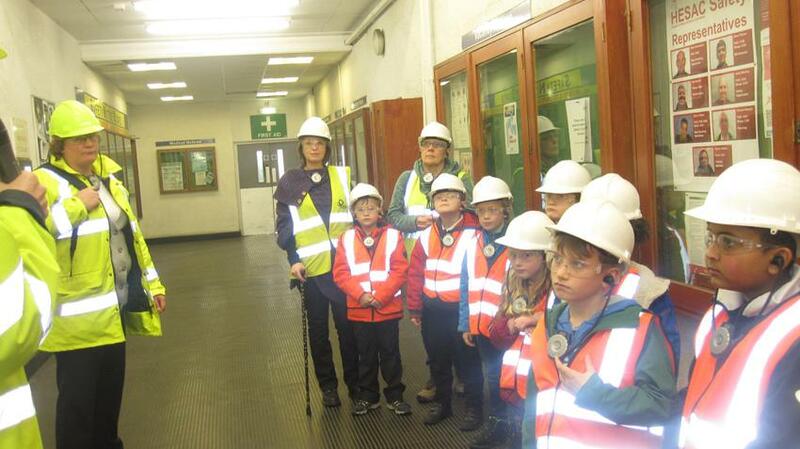 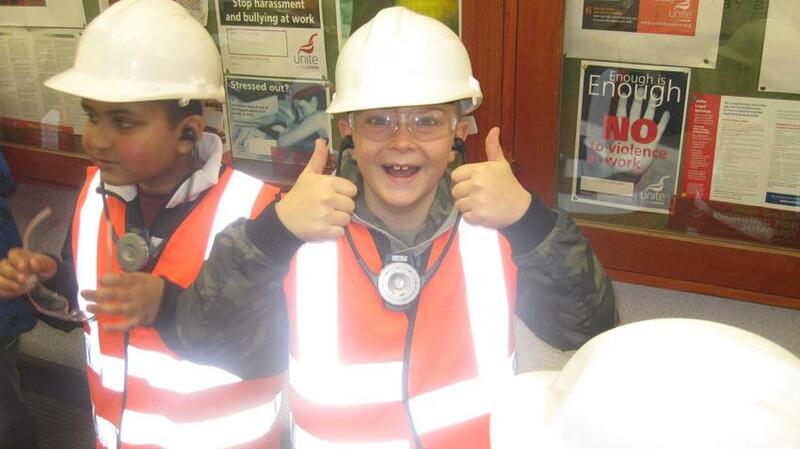 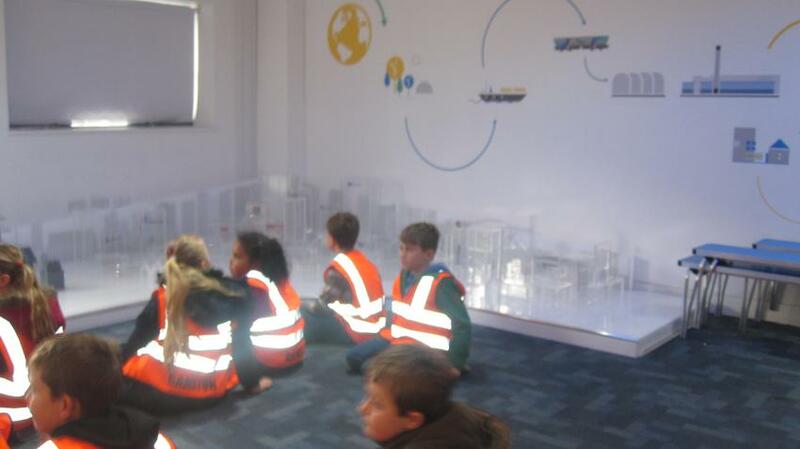 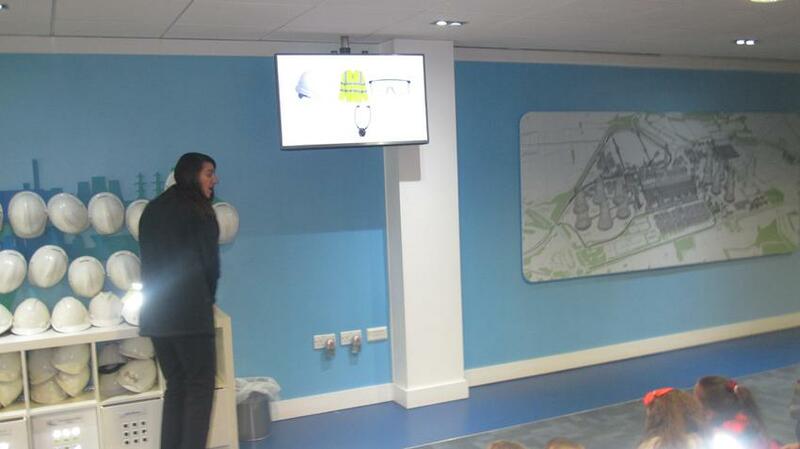 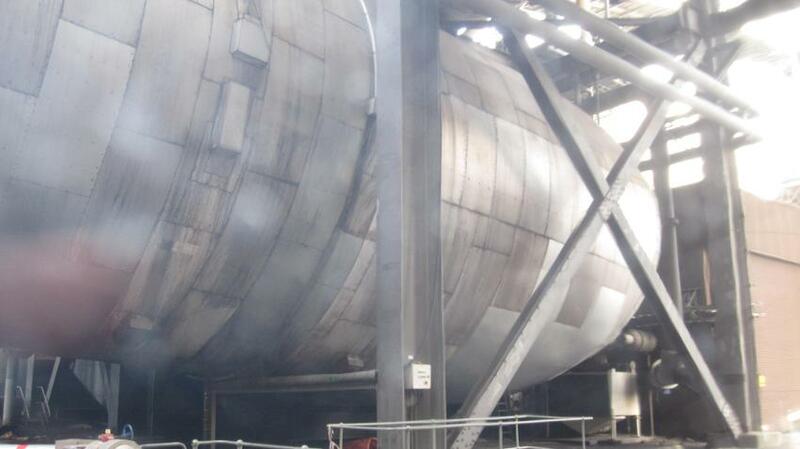 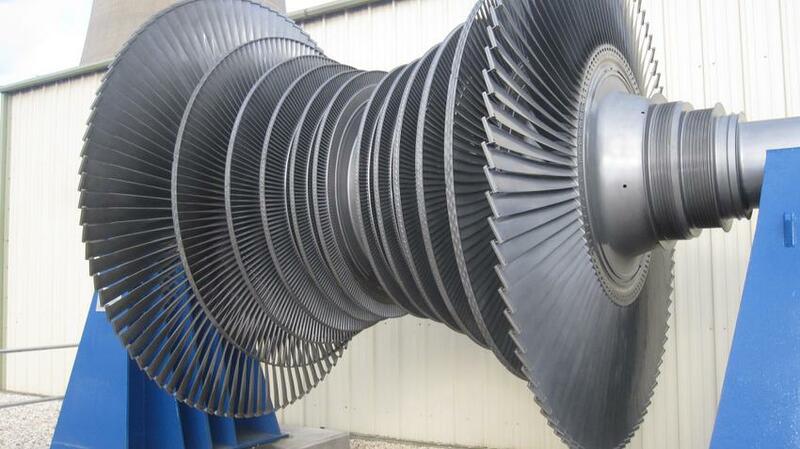 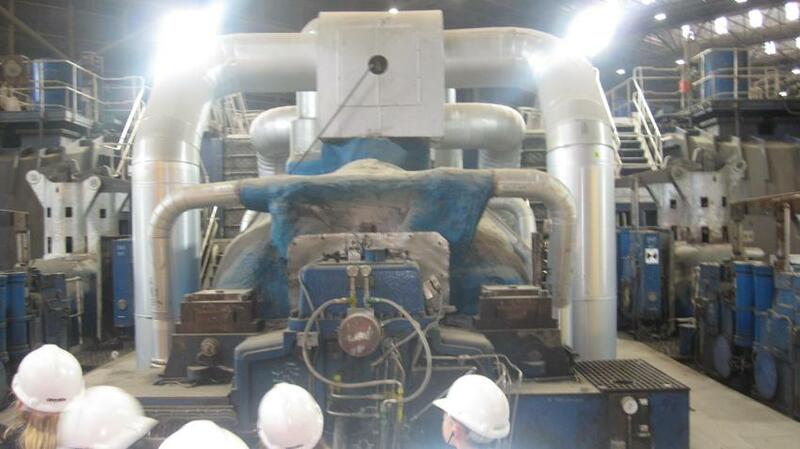 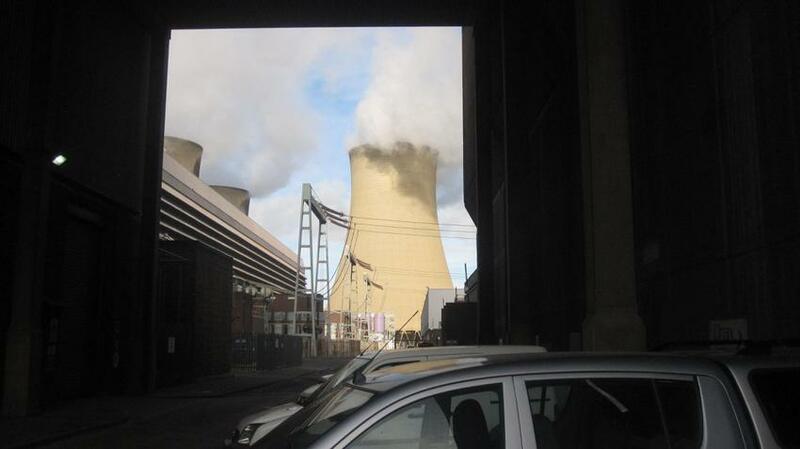 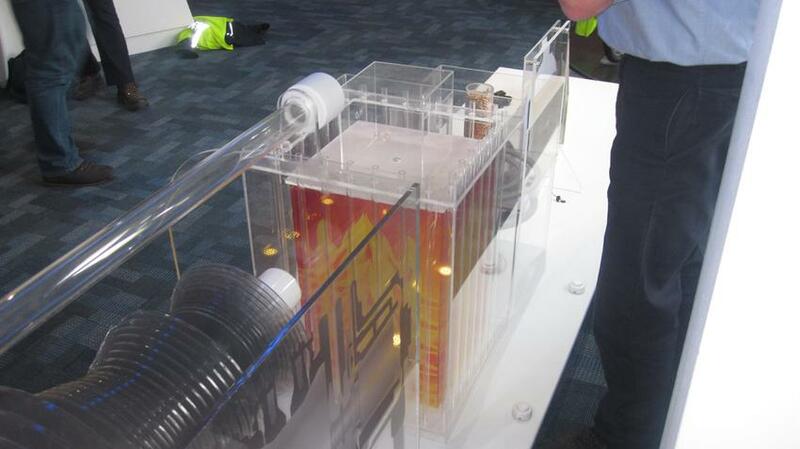 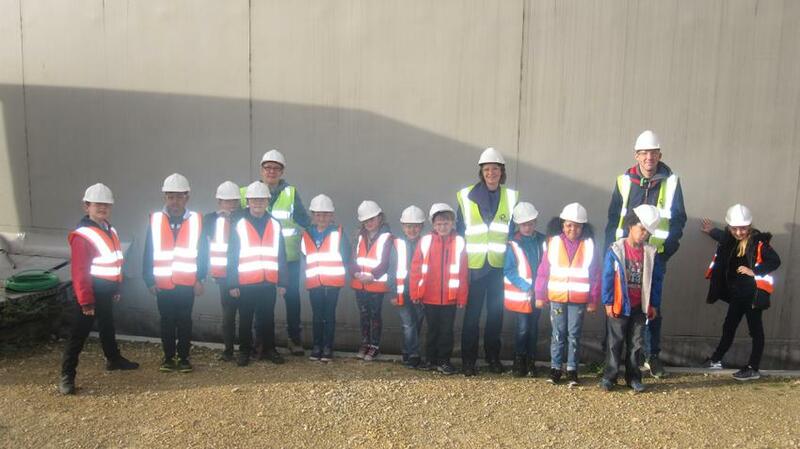 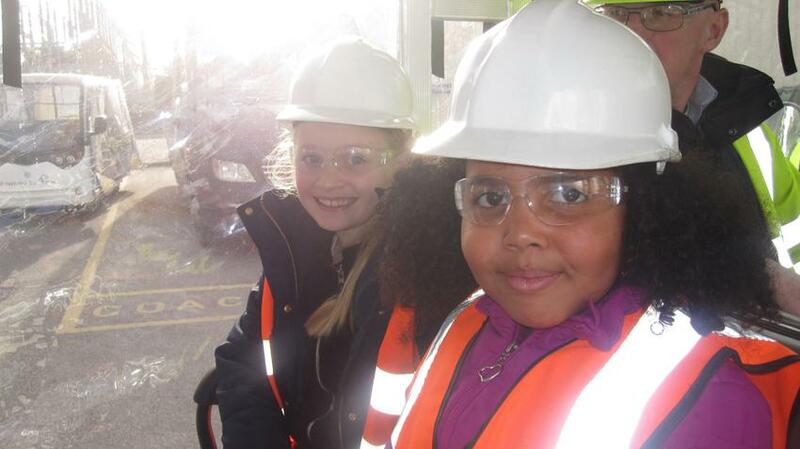 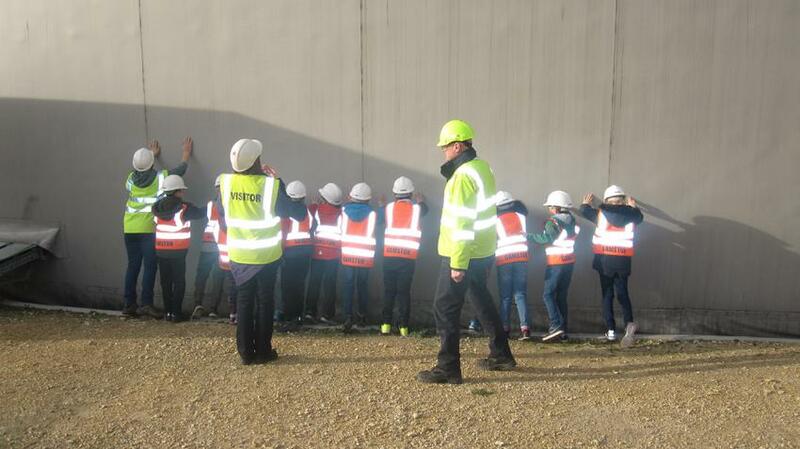 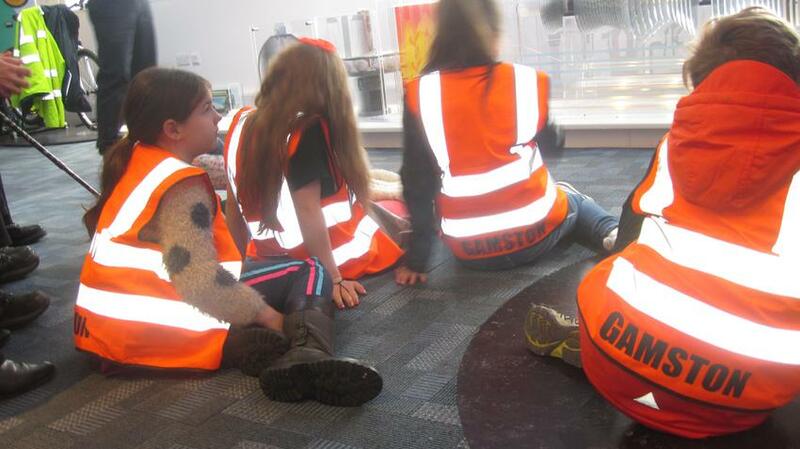 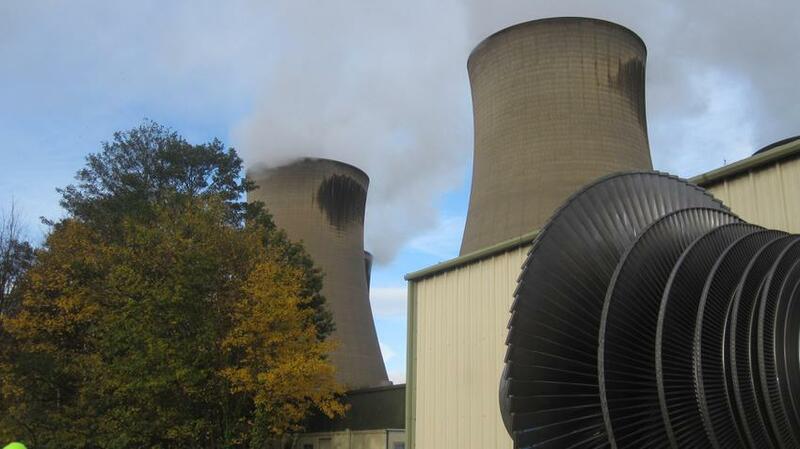 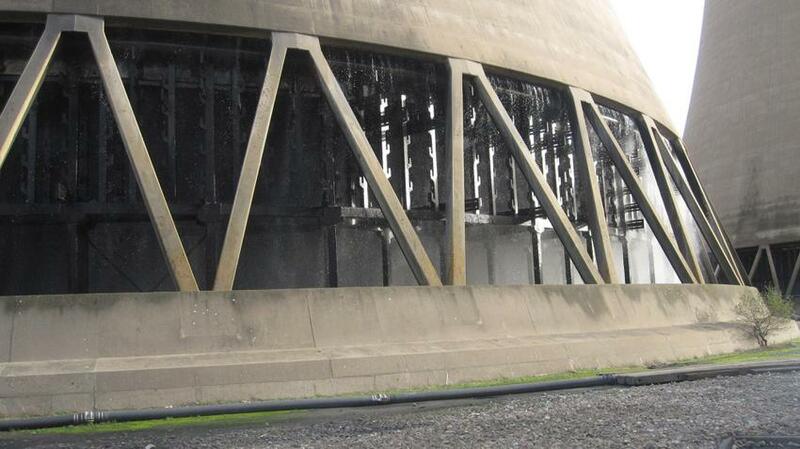 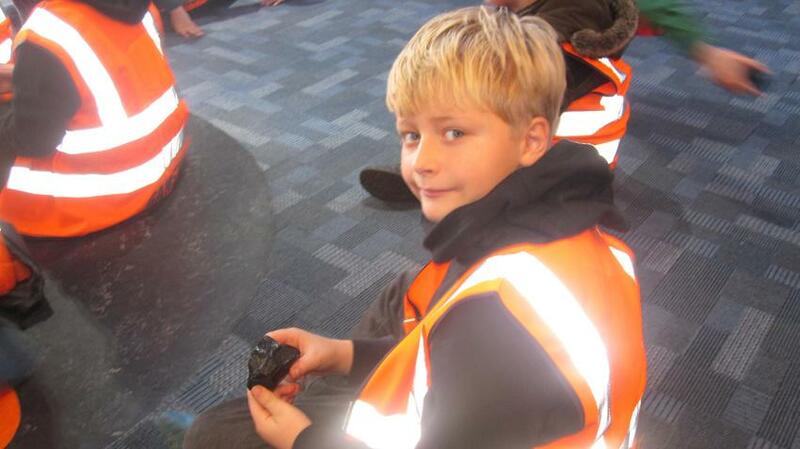 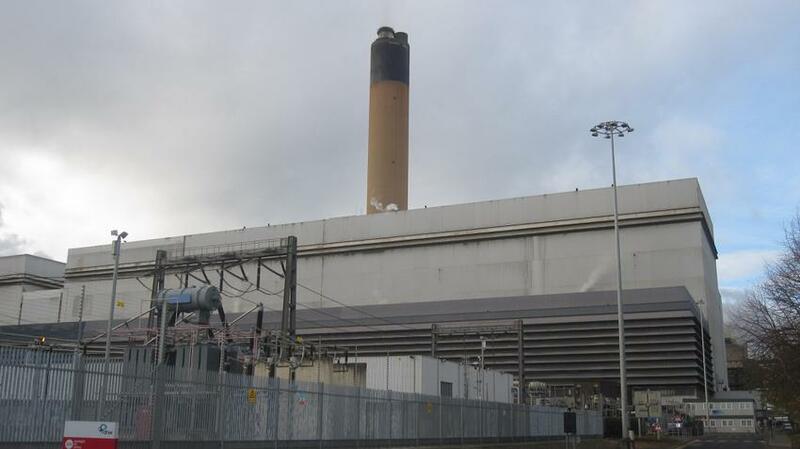 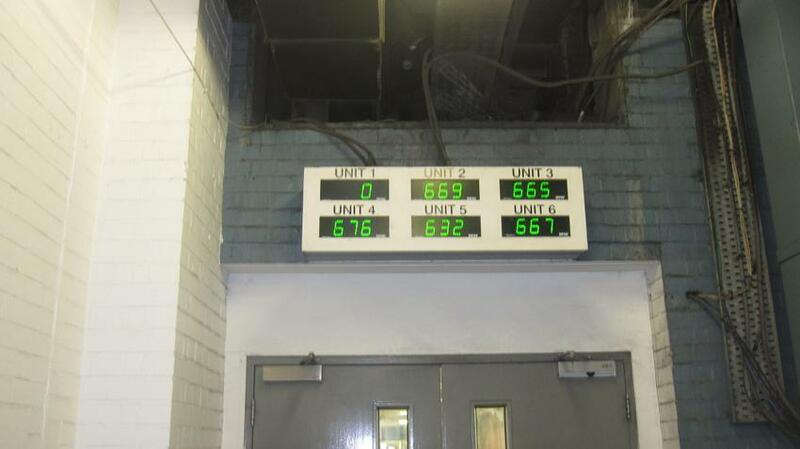 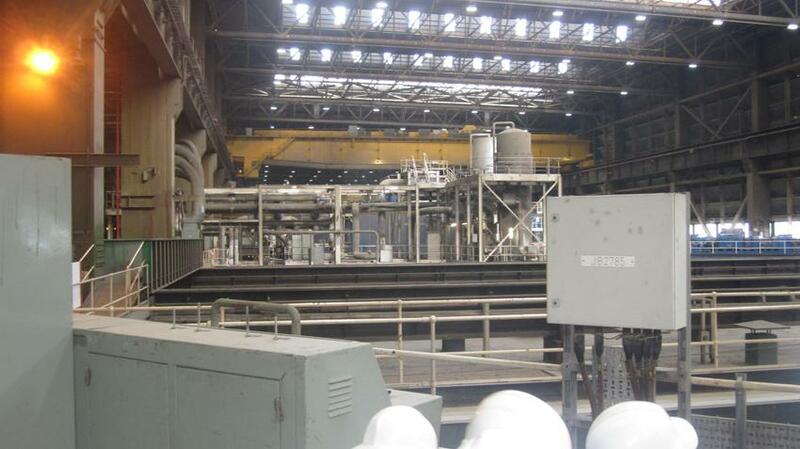 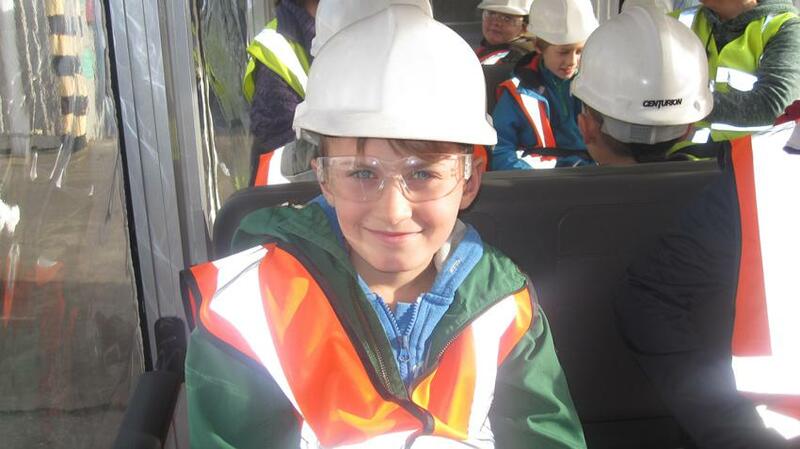 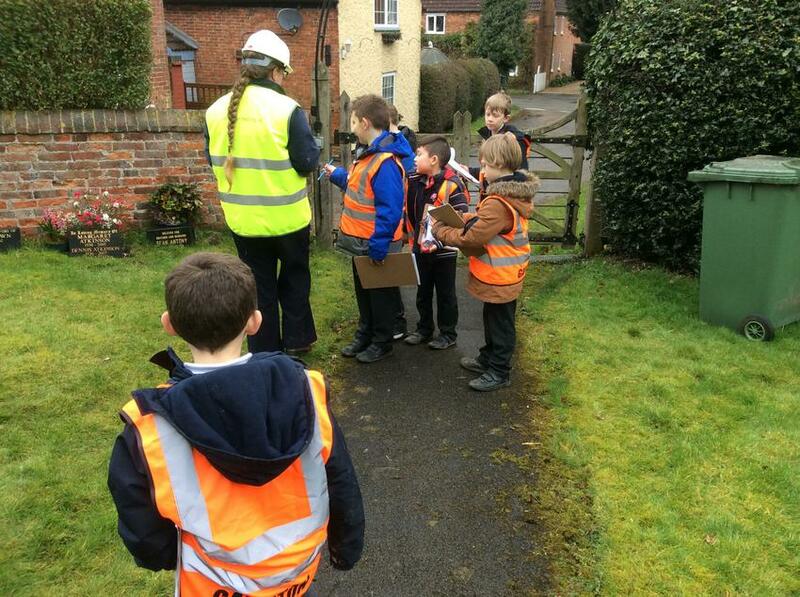 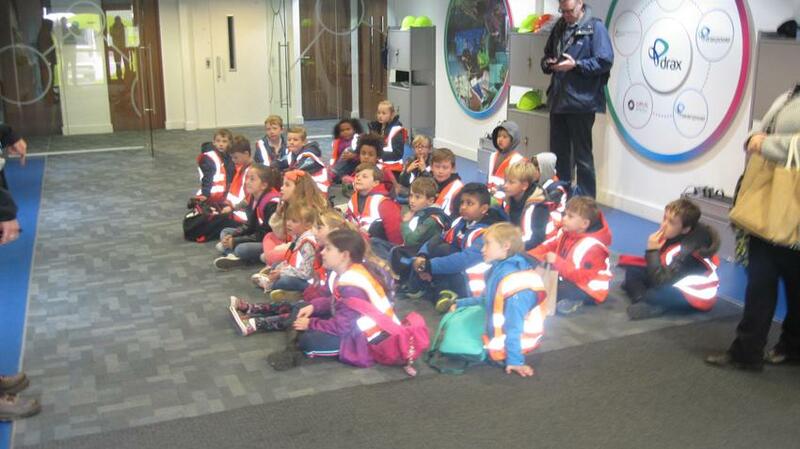 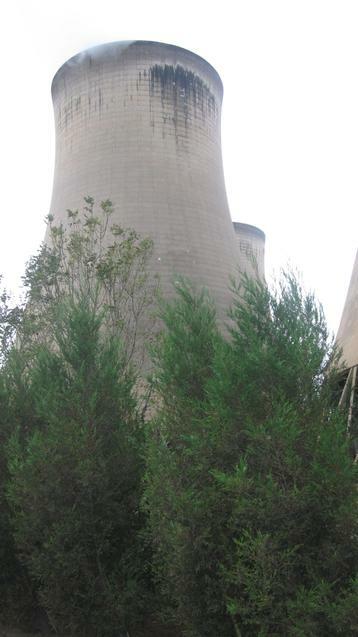 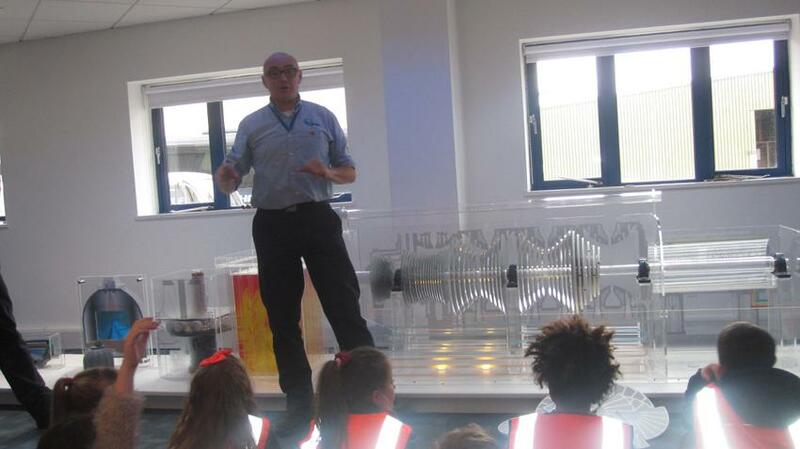 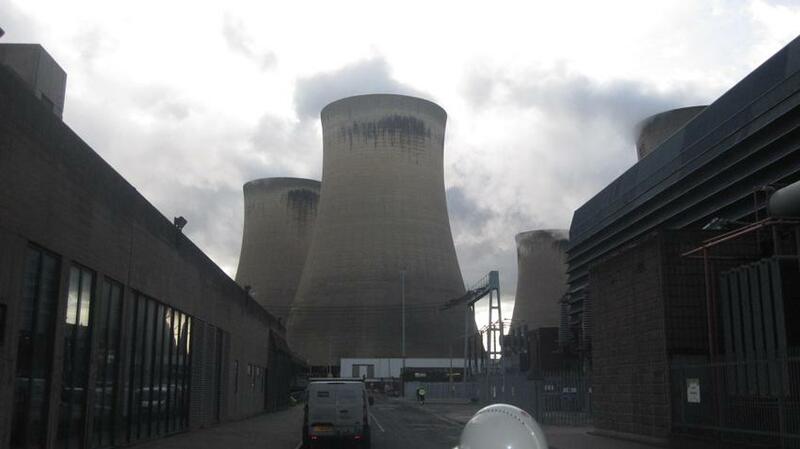 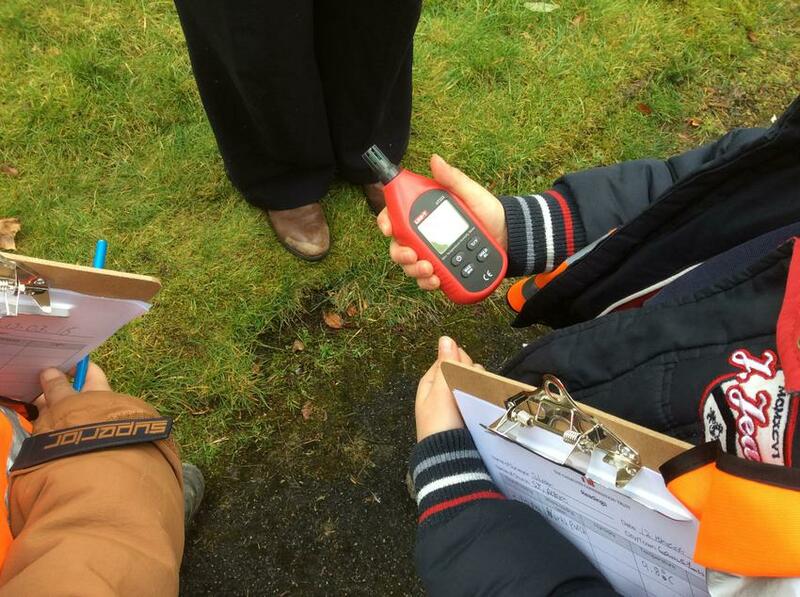 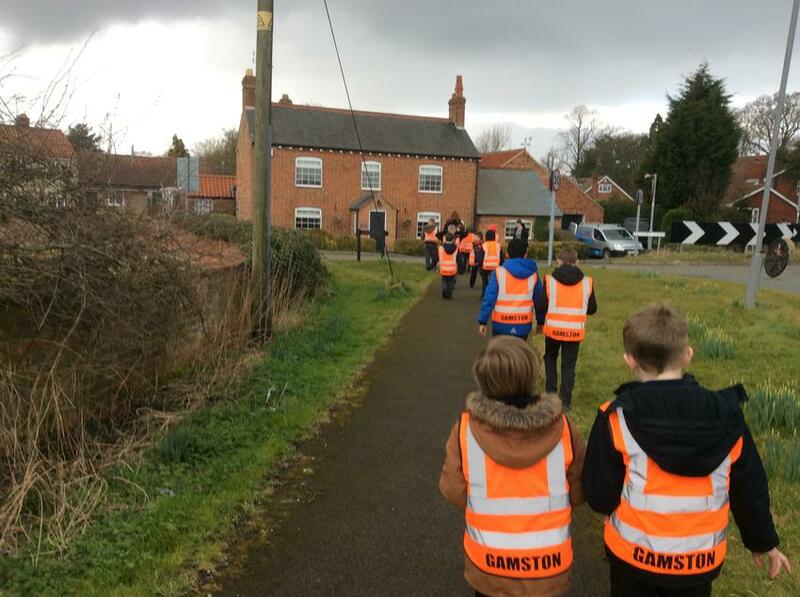 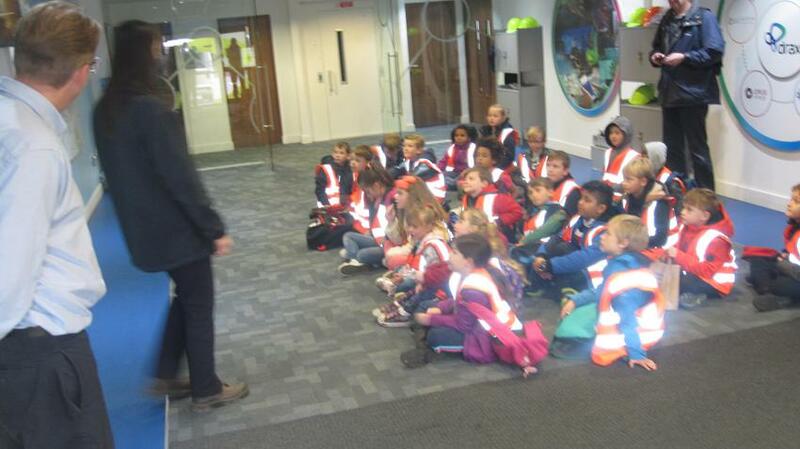 The children had the chance to explore the station and learn more about how electricity is produced using Biomass. 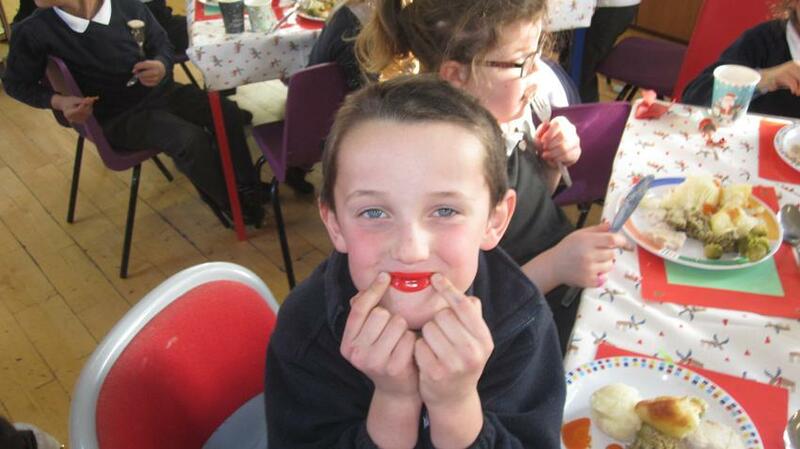 A huge thank you to all who have helped and supported. 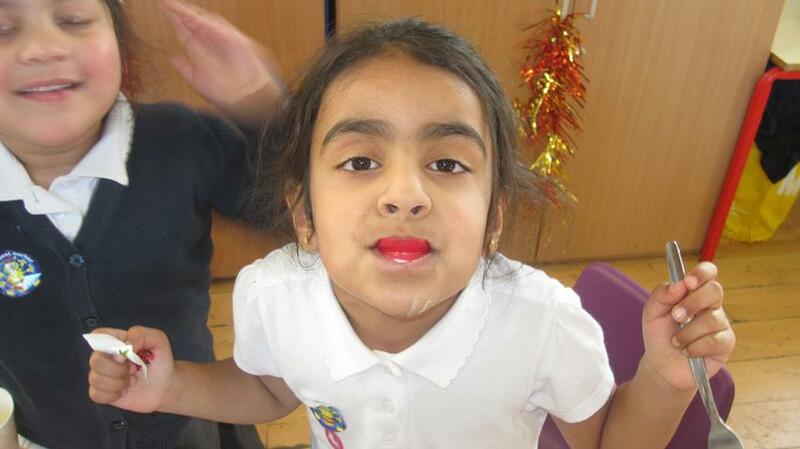 On Friday Tyndale class took part in a dance festival at Tuxford Academy. 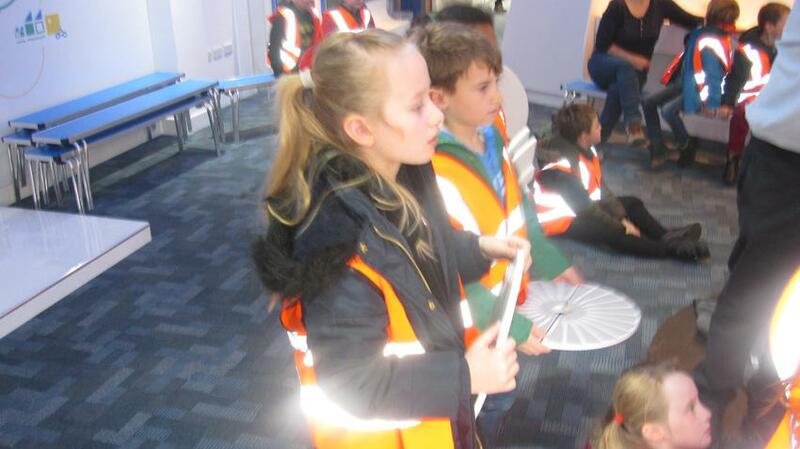 They were one of 12 schools to compete in front of a large audience. 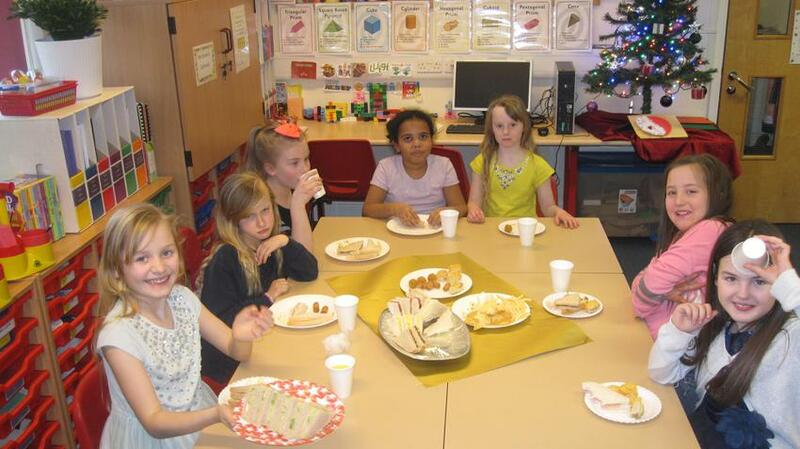 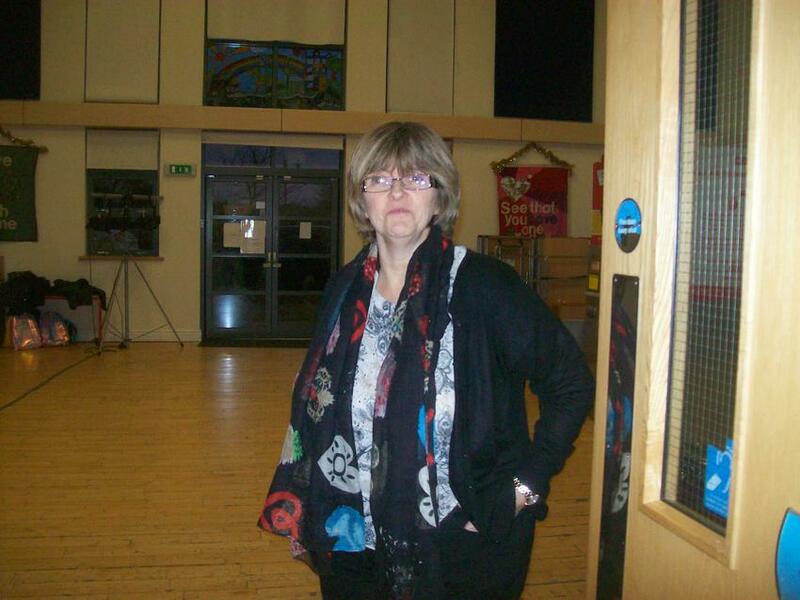 On the day they performed a routine from the Lion King supported by Mrs Burdell who choreographed the routine. 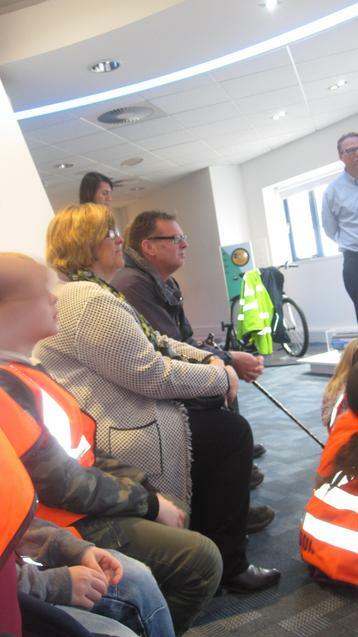 Many thenks to all those who were able to support on the day. 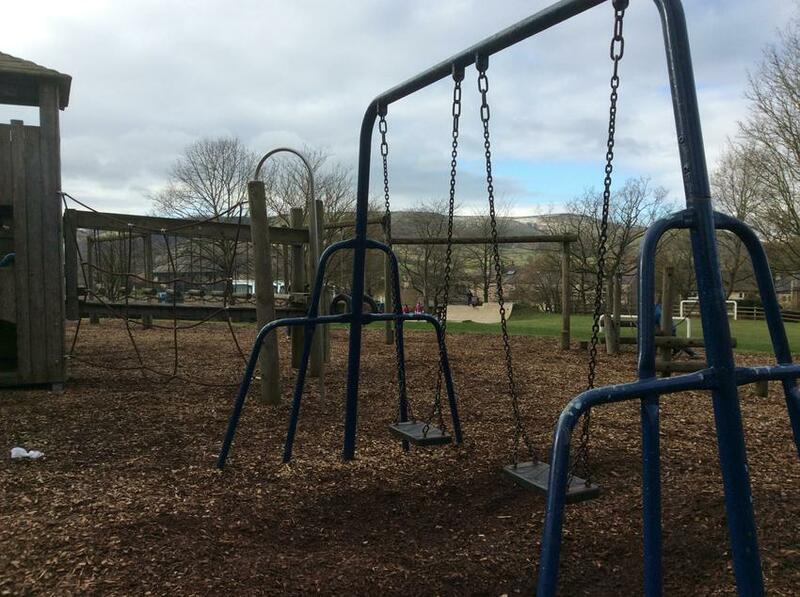 The video below is well worth a look. 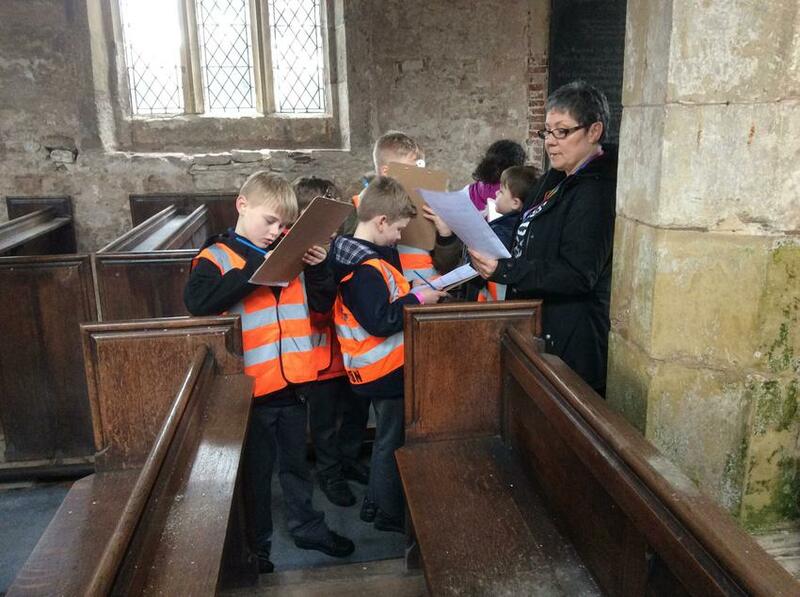 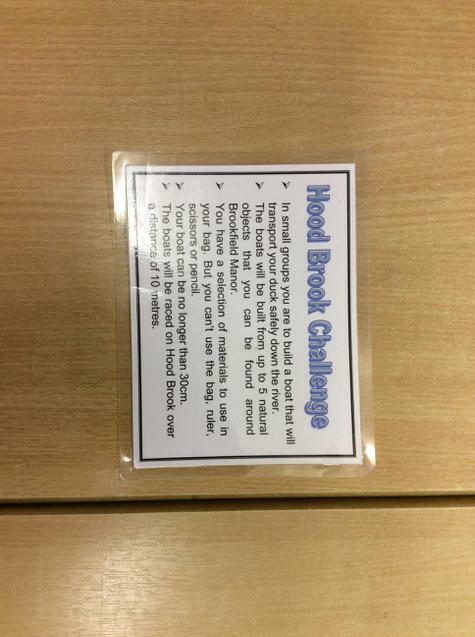 This week in Tyndale we have been writing instructions. 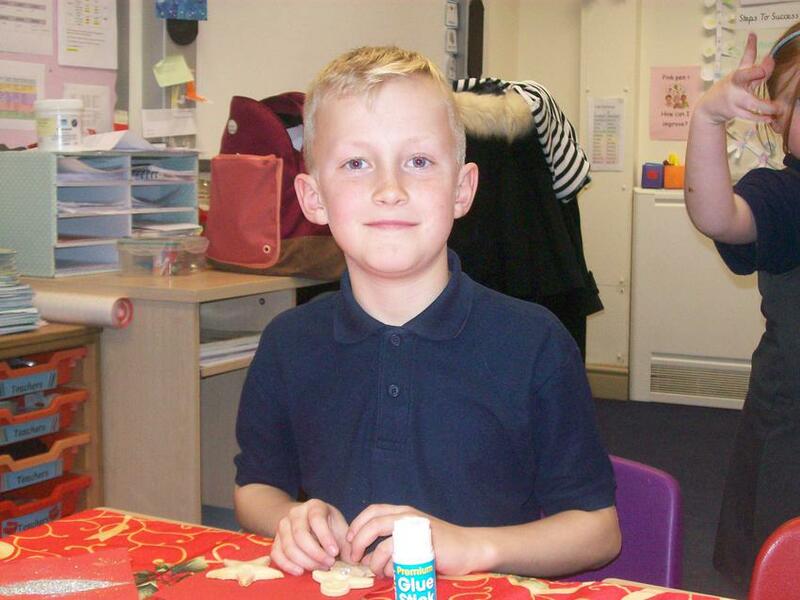 Today we made Gingerbread people in preparation for next week's Big Writing on instructions. 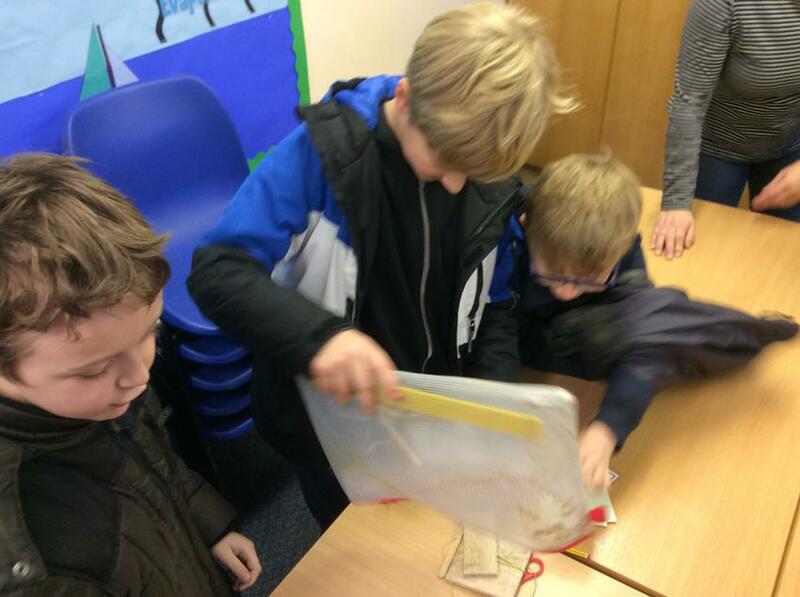 After that we worked in groups to create our BFG out of collage materials. 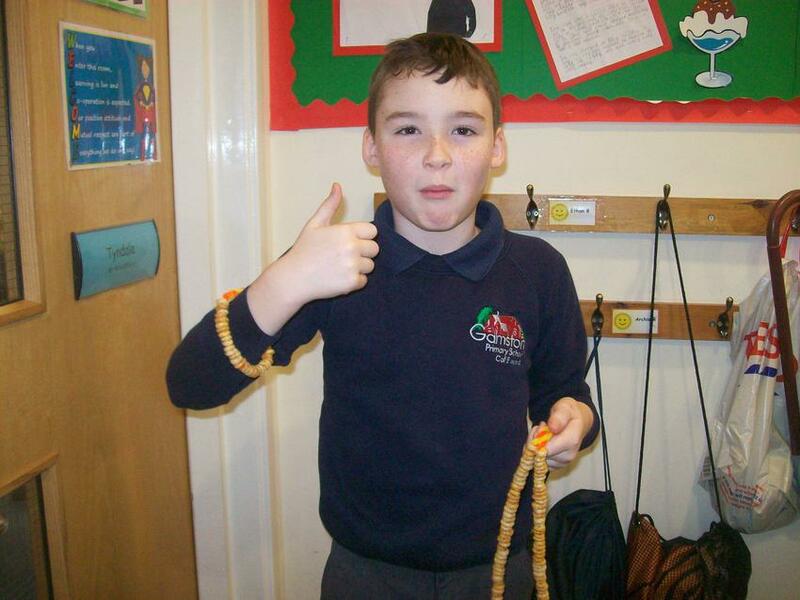 In Science we have been looking at simple circuits. 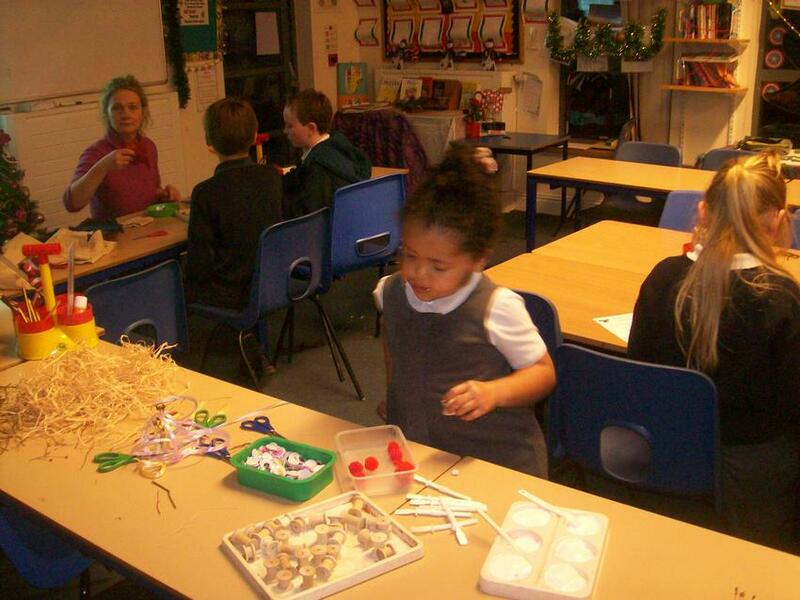 The children got to explore switches, bulbs, wires and batteries. 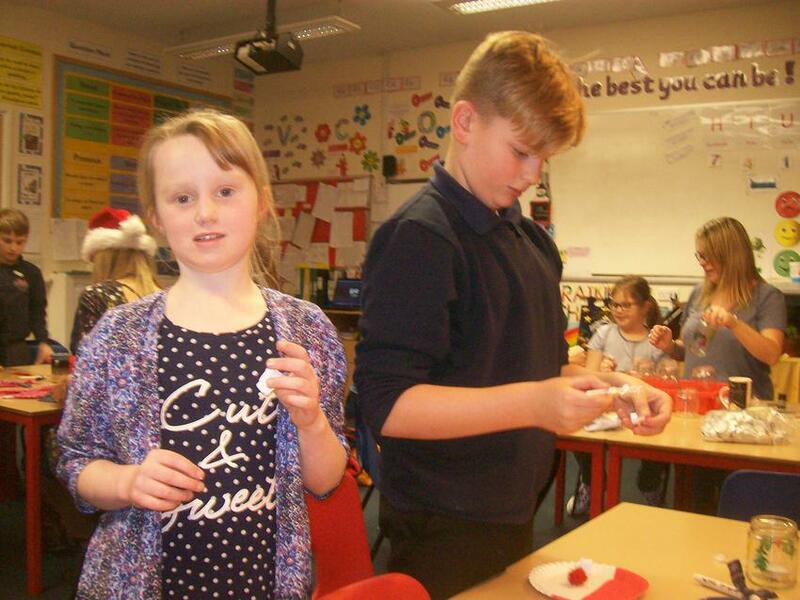 It was amazing what they came up with. 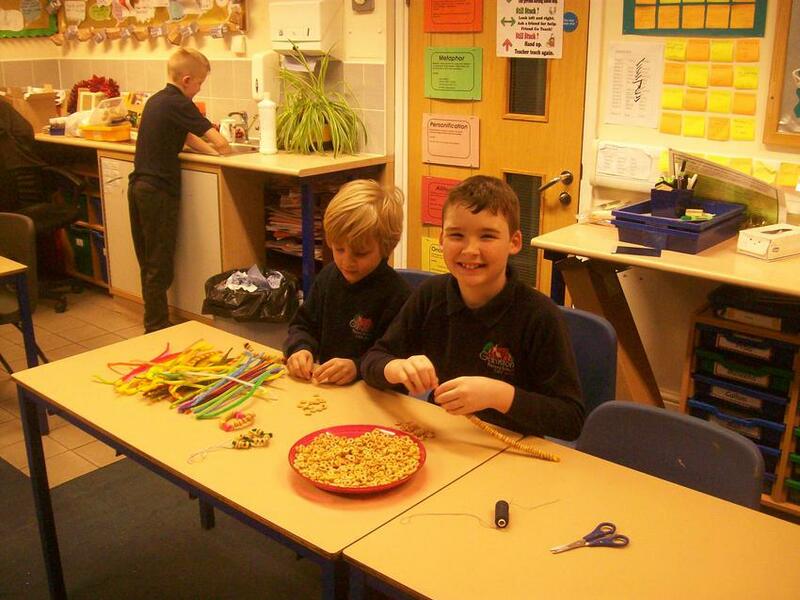 In Tyndale we like to do lots of practical maths. 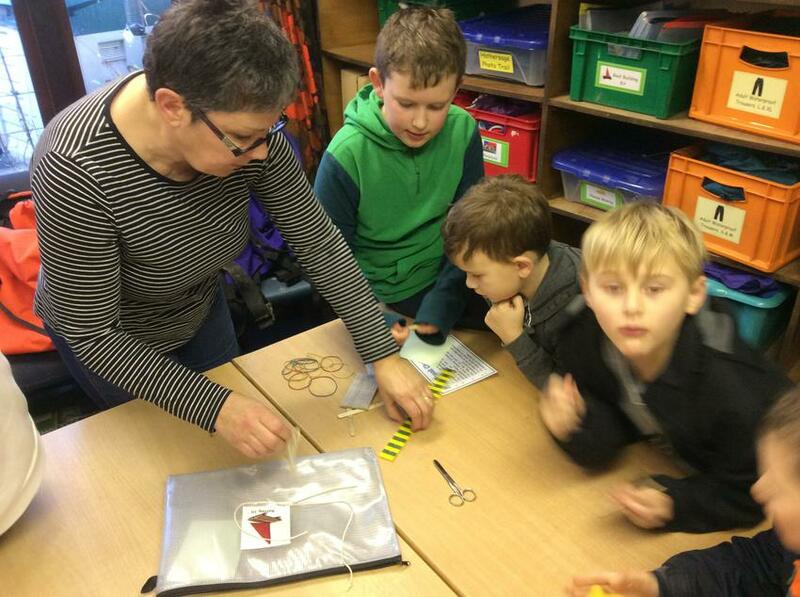 Using place value cards helps to see what each three or four digit number is made of.